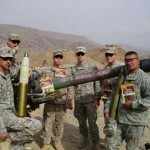 Join the Jeff’s Famous Jerky Revolution! 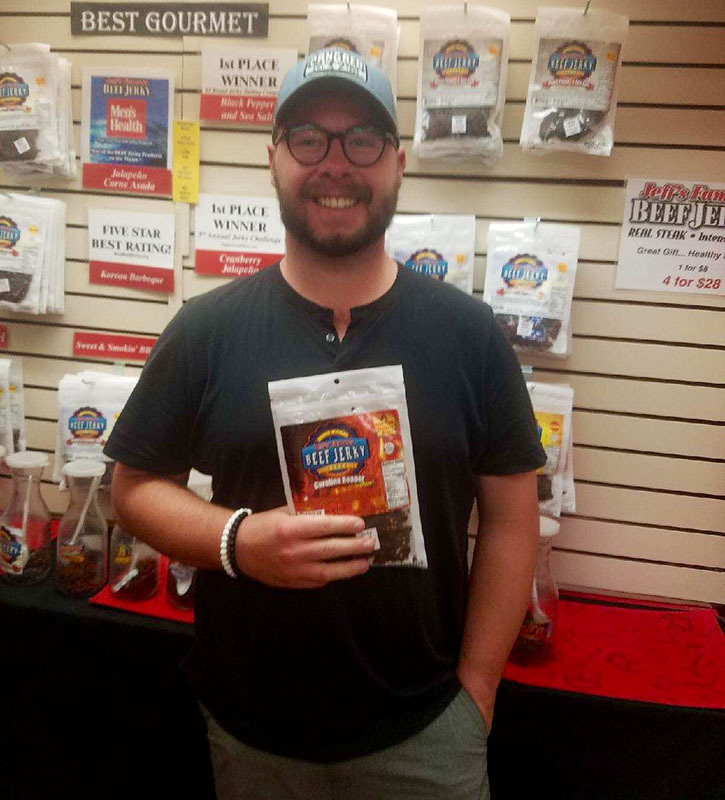 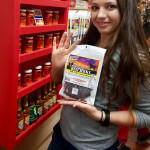 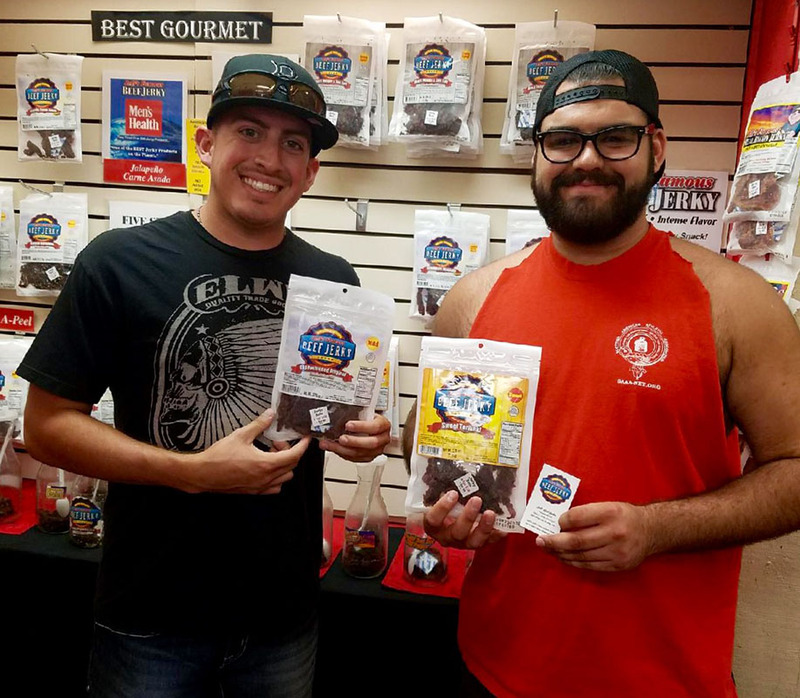 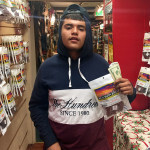 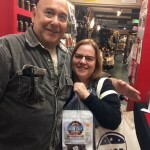 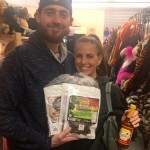 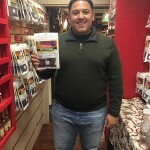 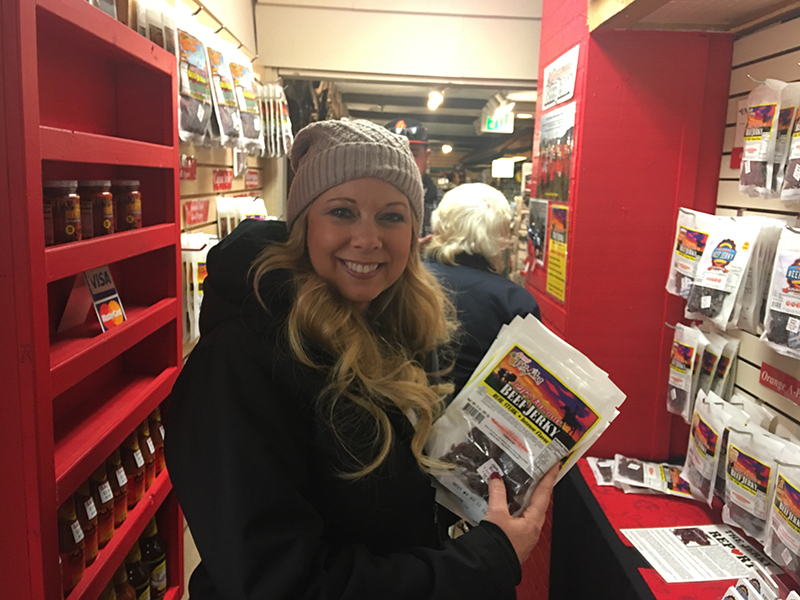 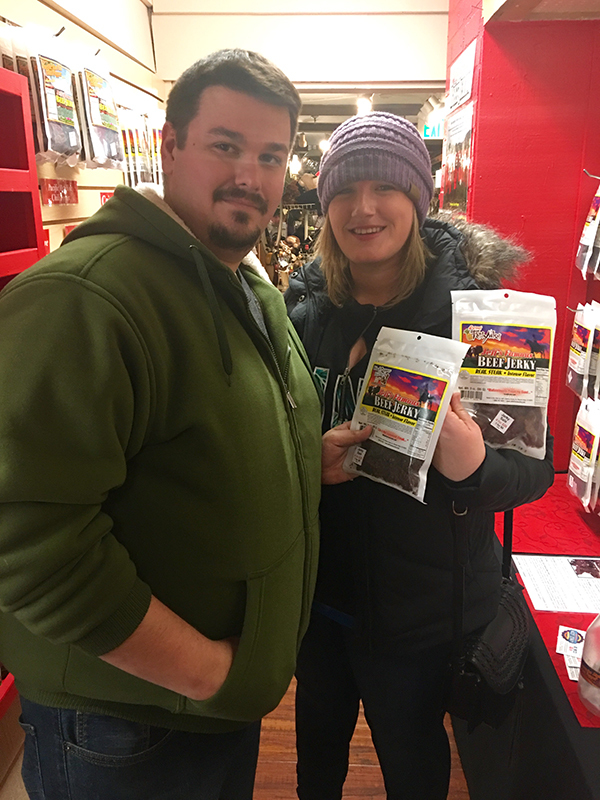 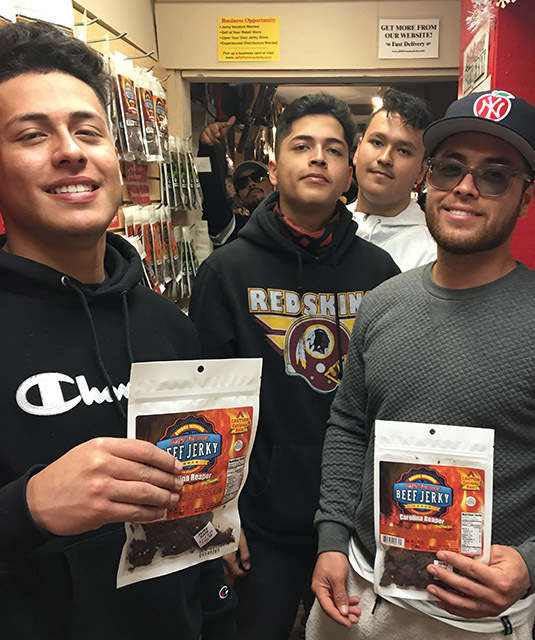 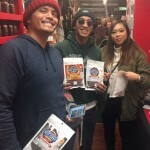 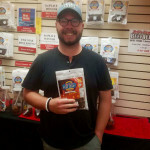 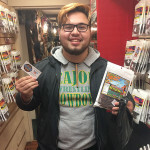 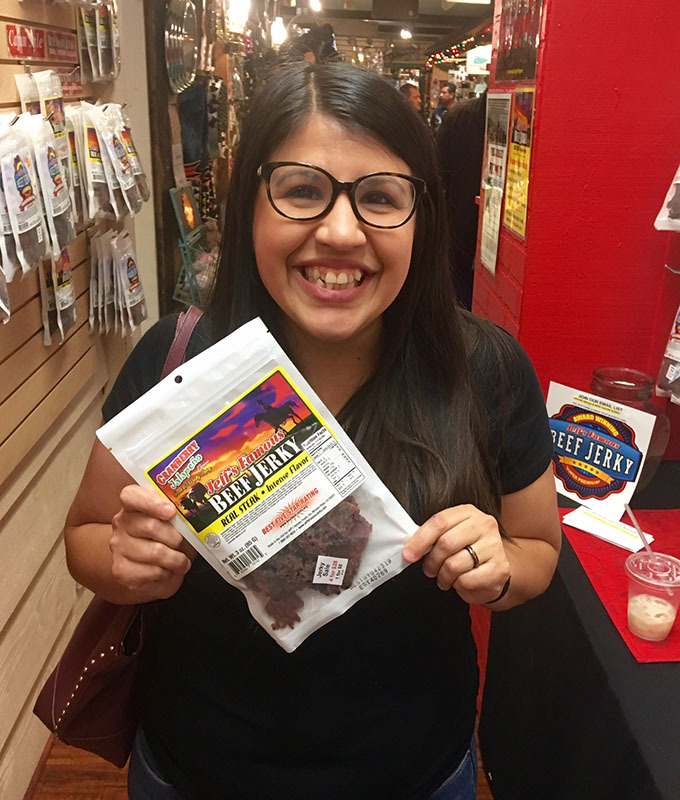 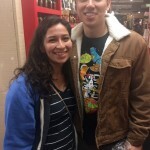 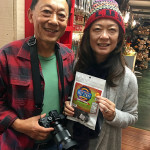 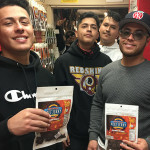 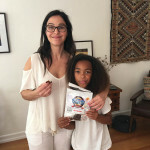 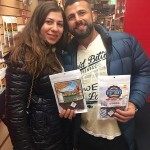 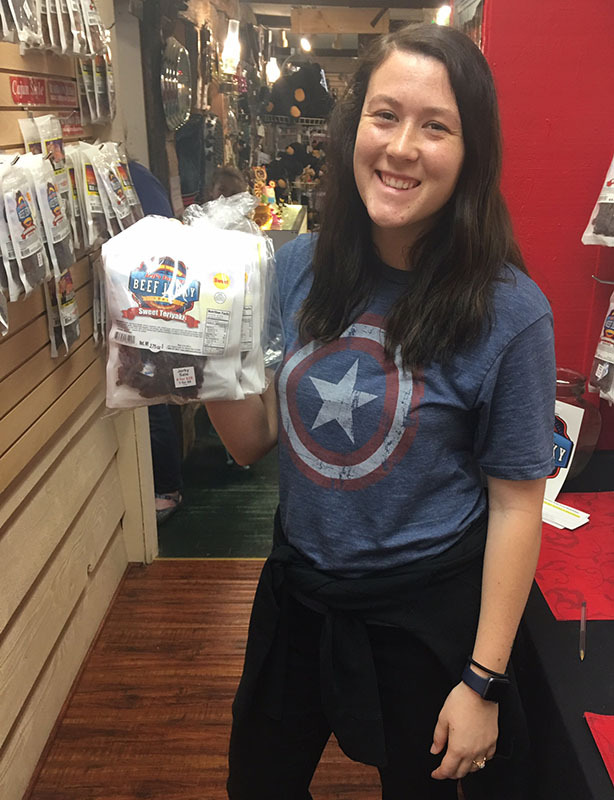 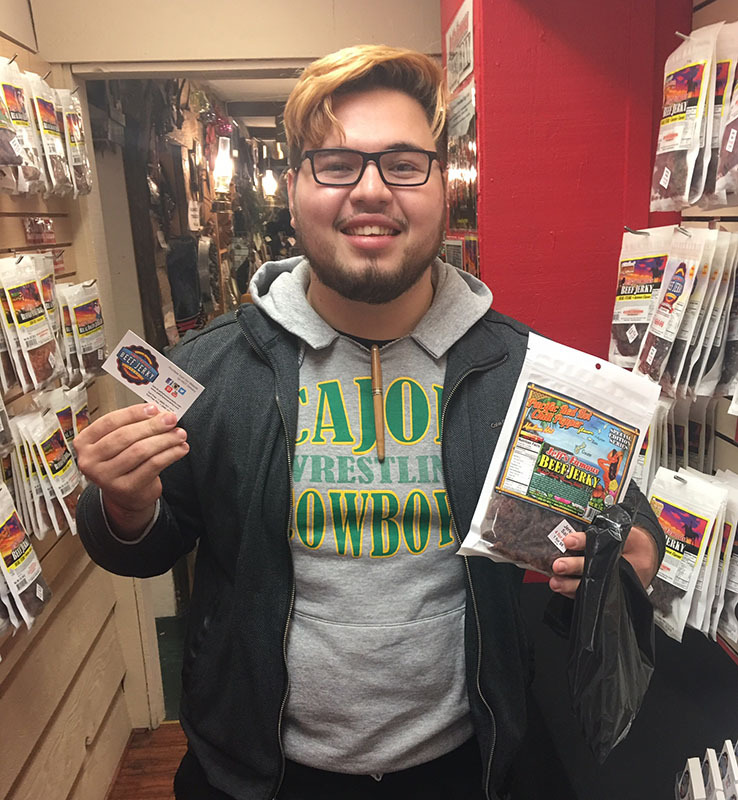 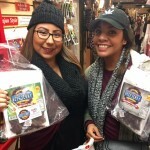 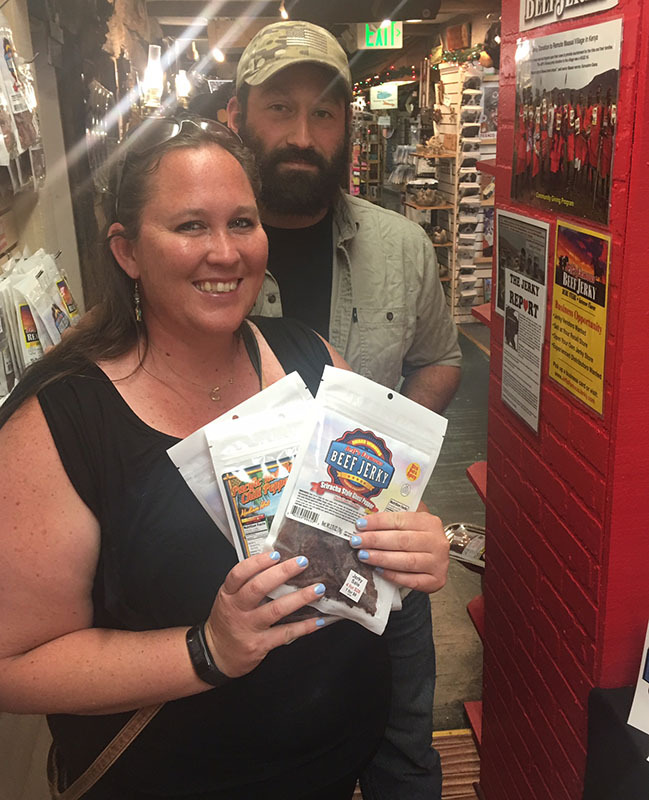 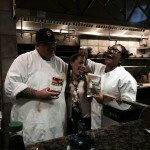 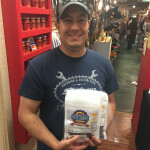 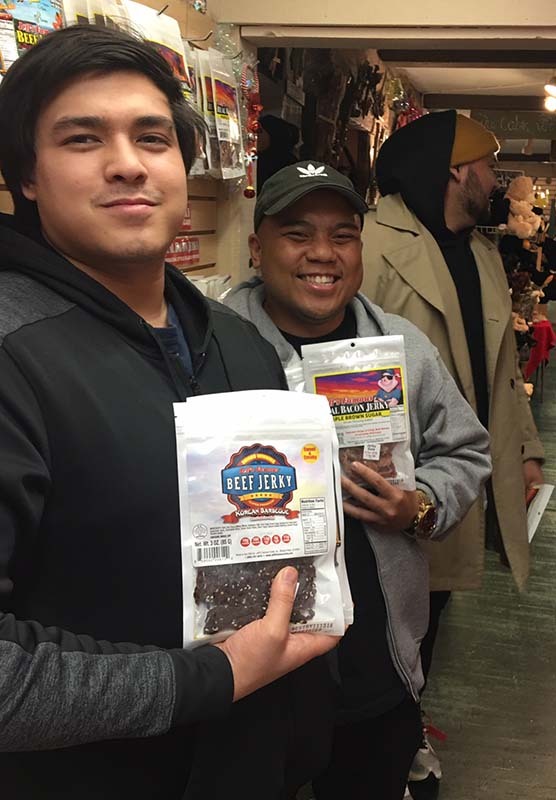 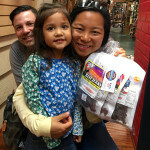 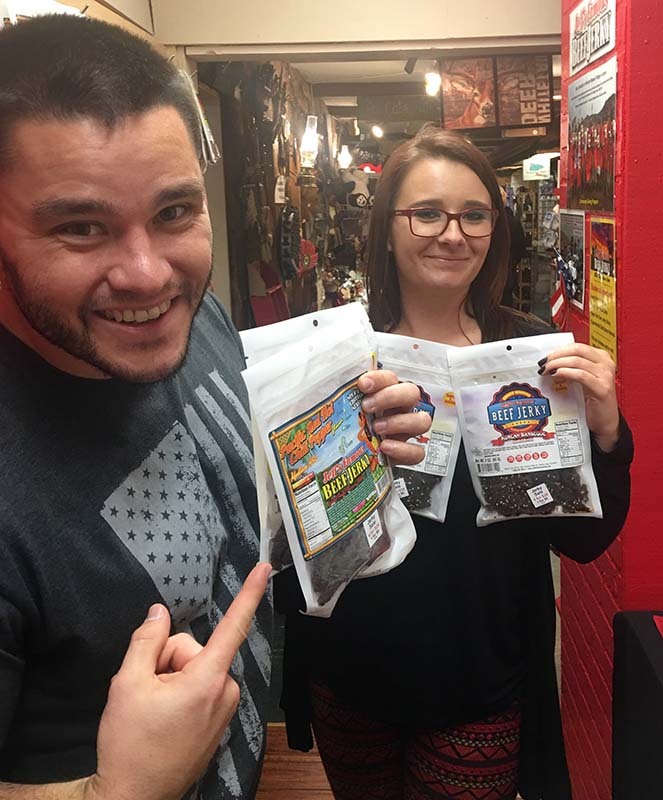 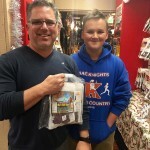 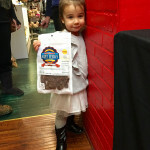 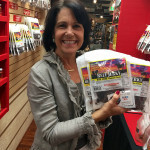 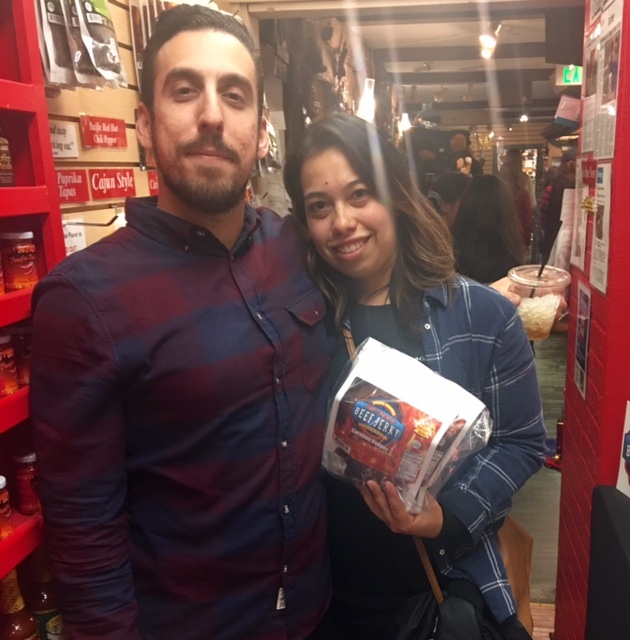 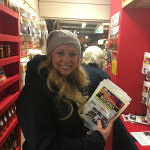 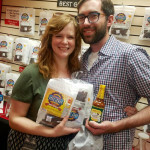 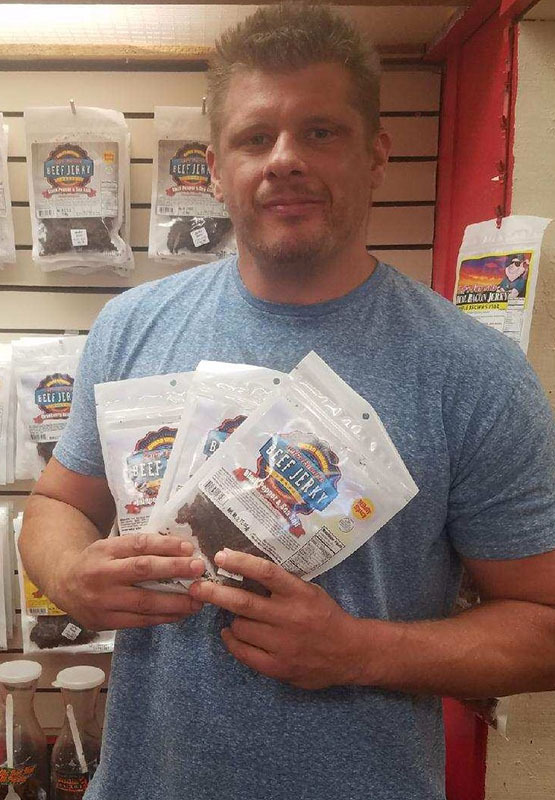 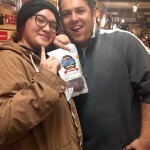 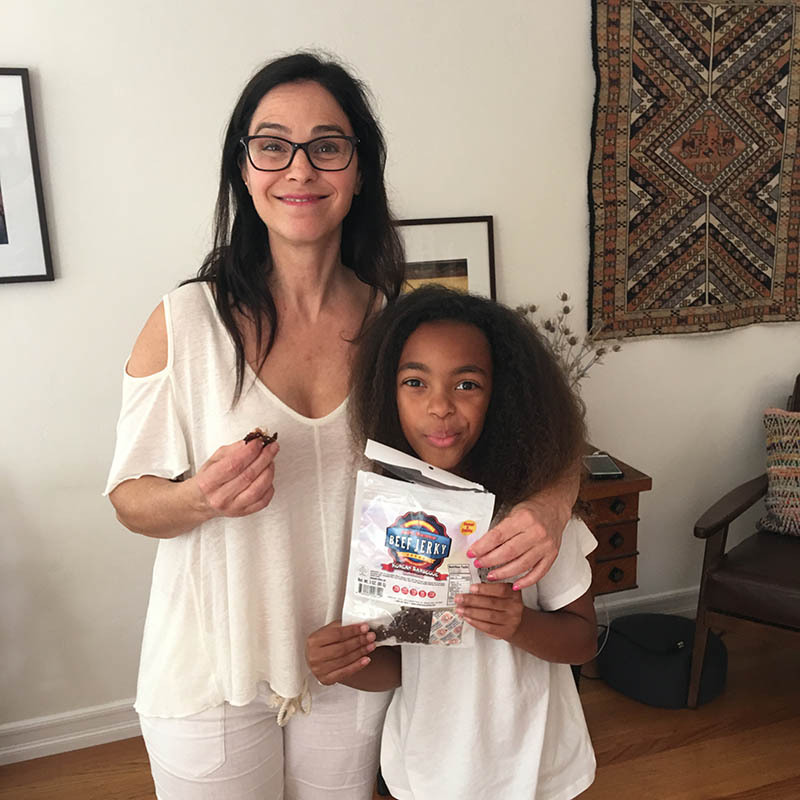 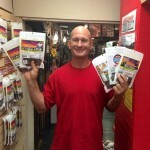 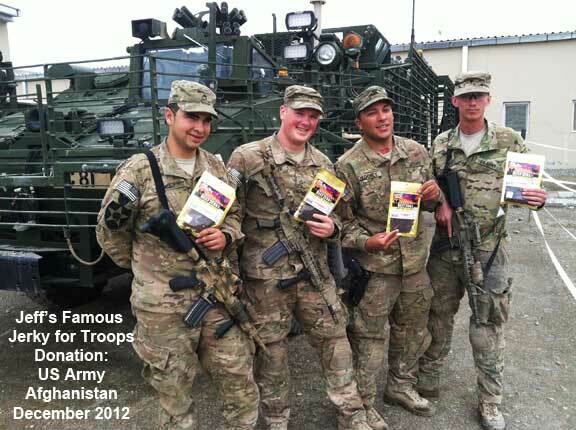 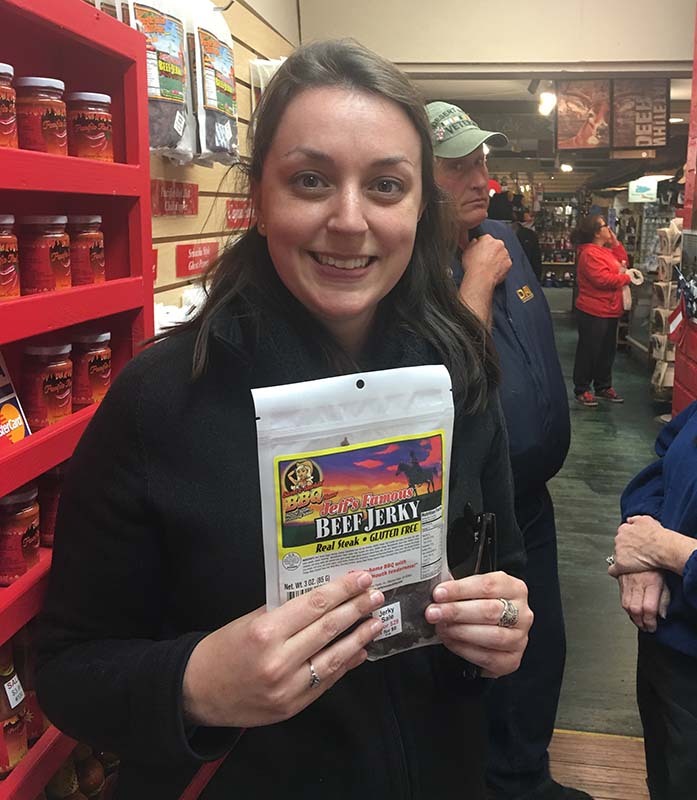 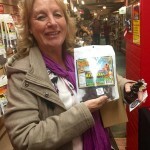 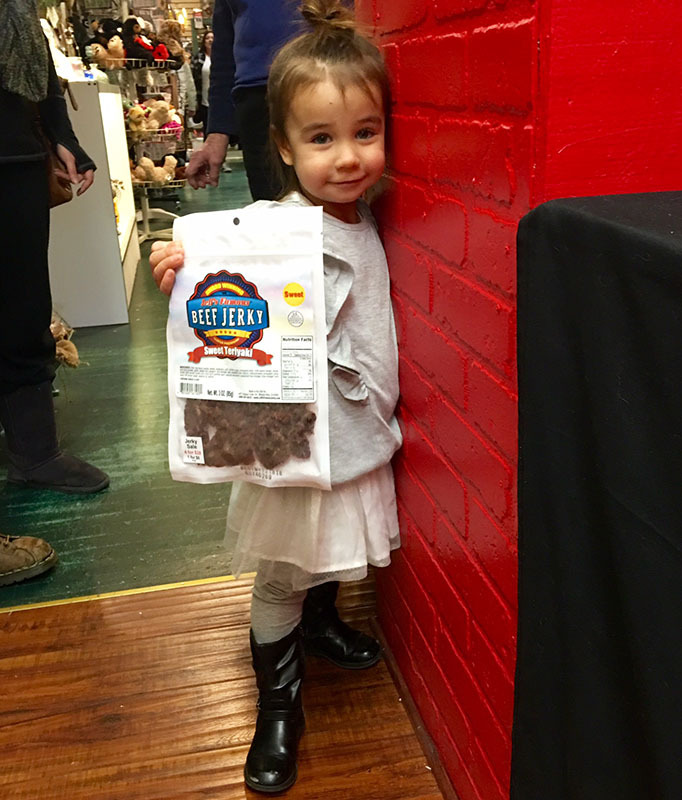 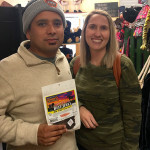 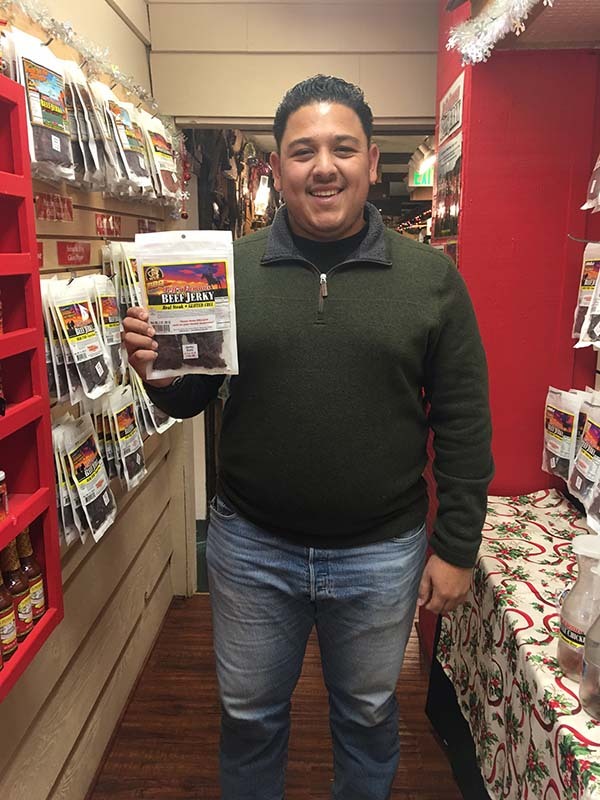 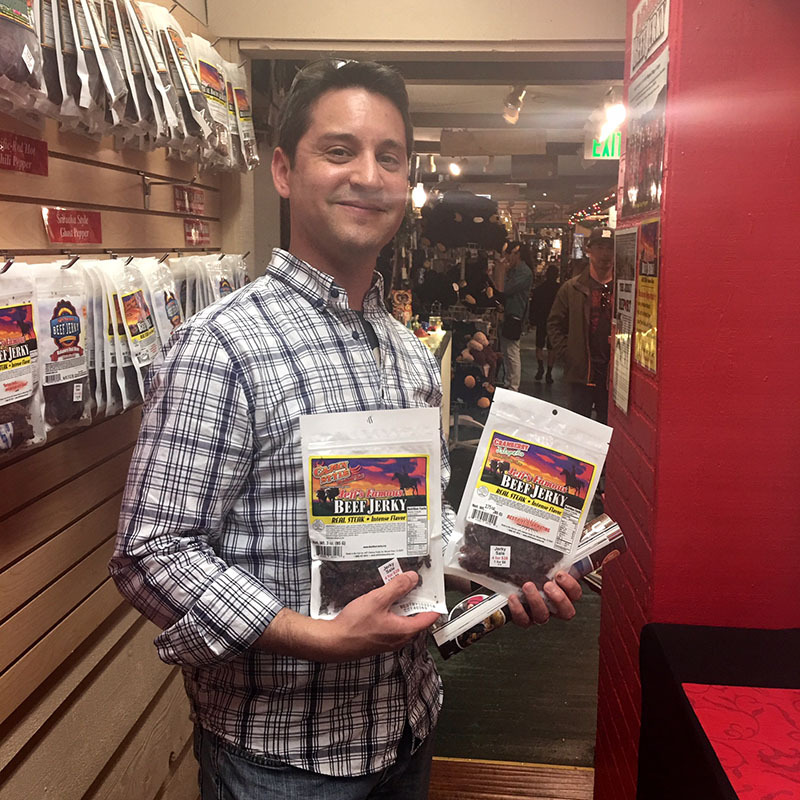 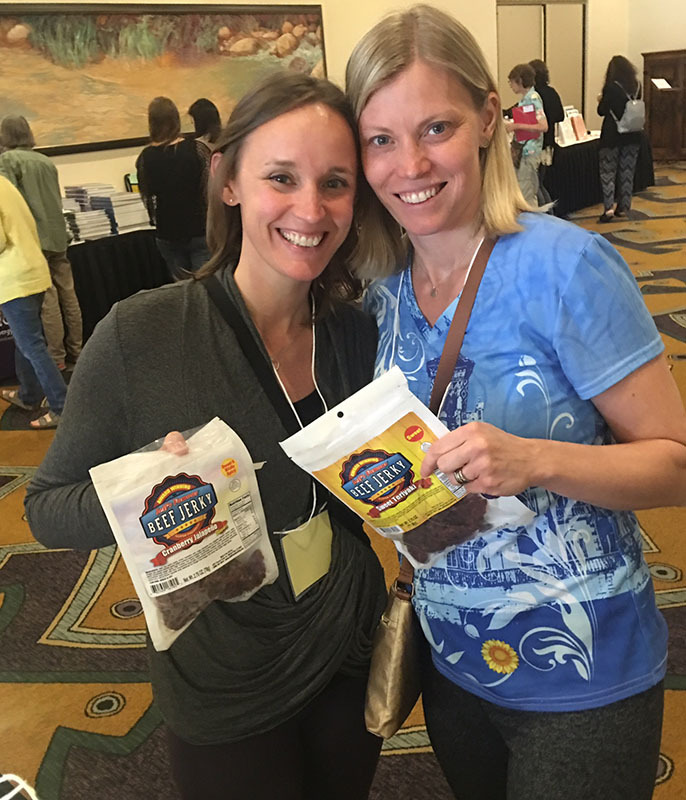 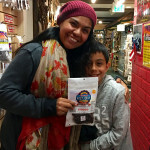 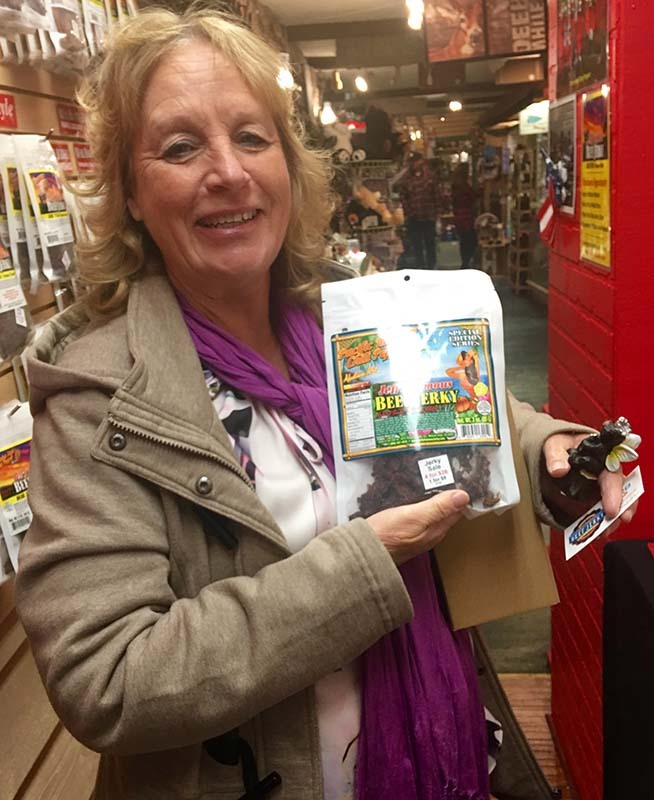 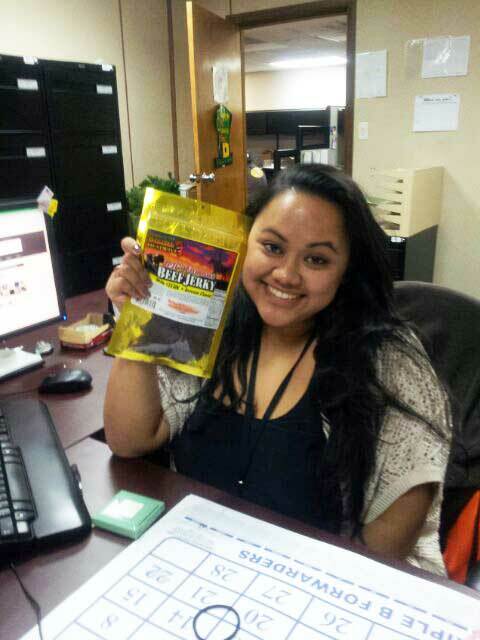 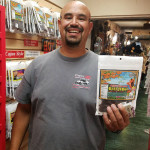 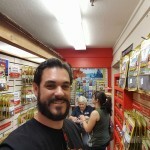 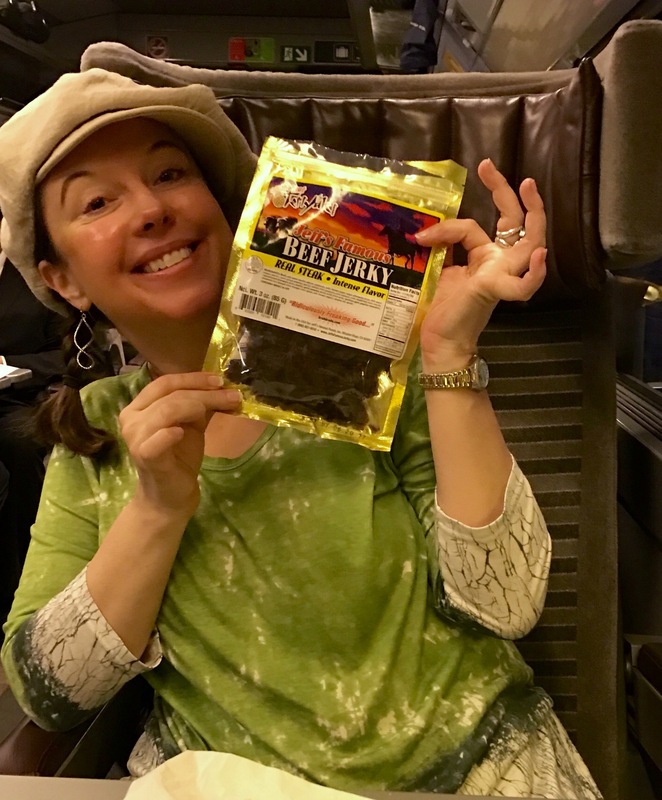 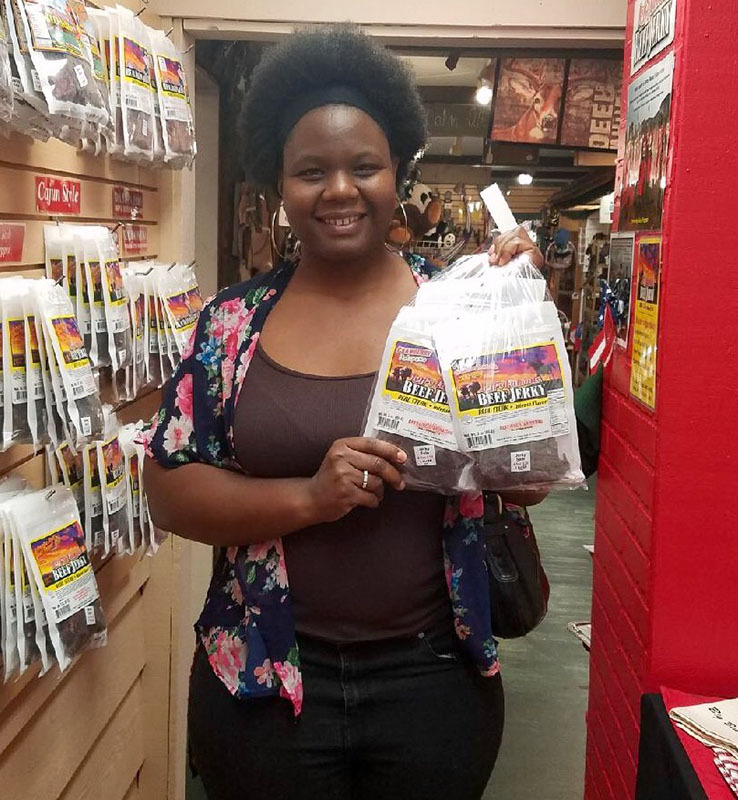 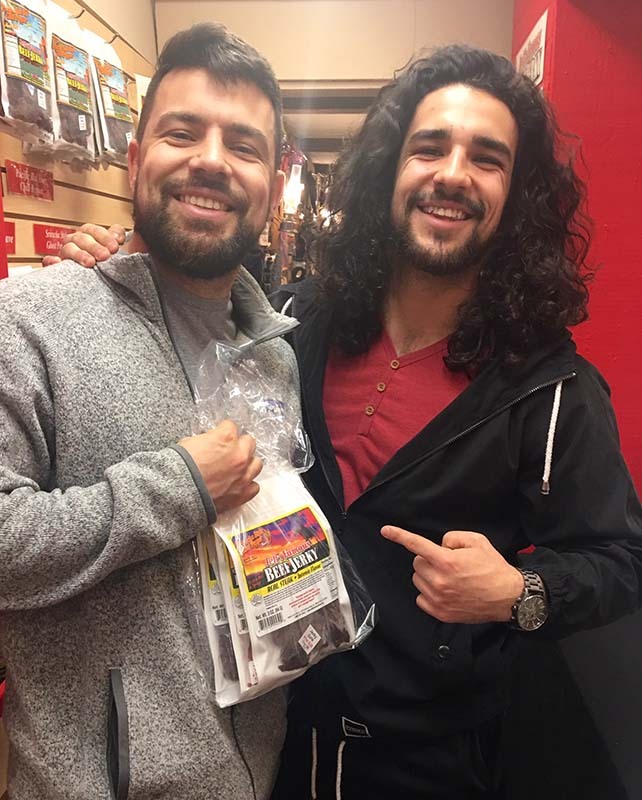 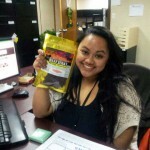 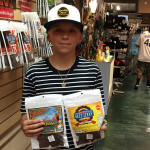 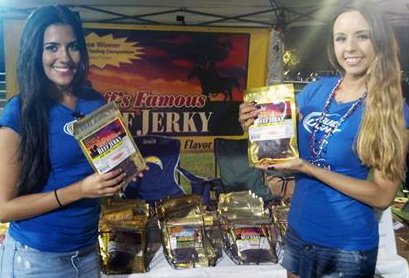 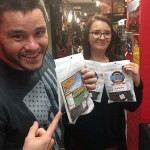 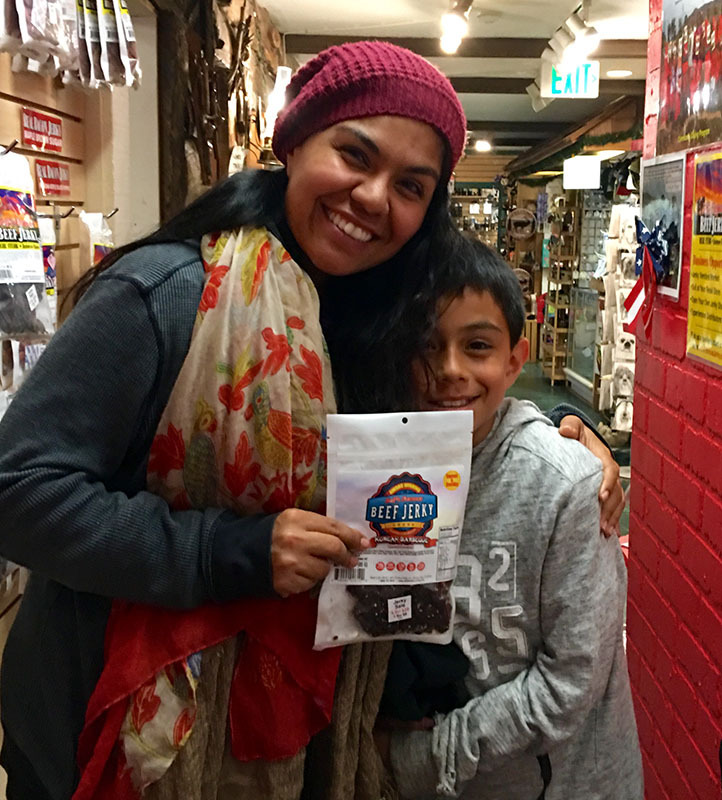 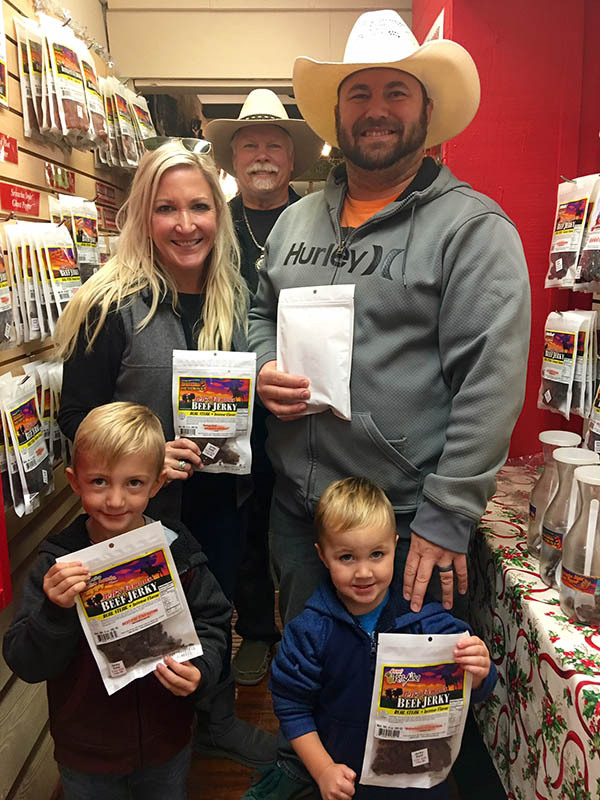 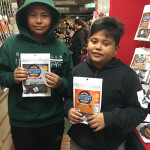 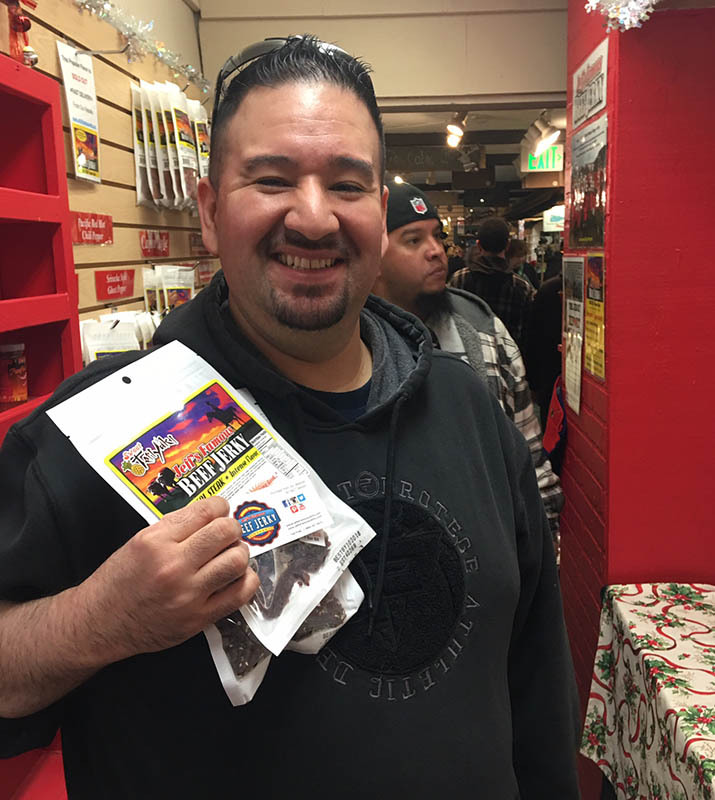 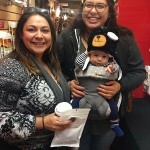 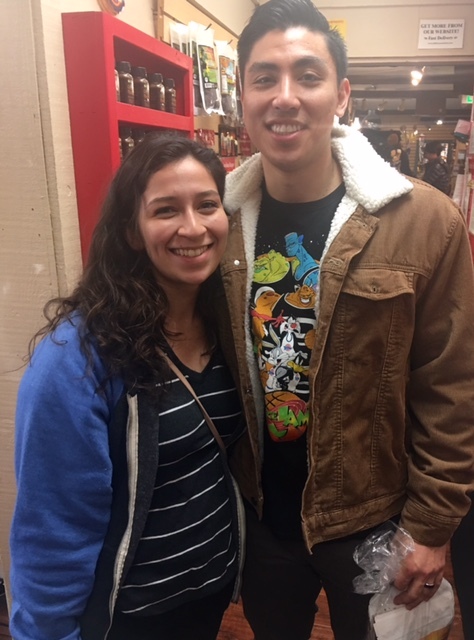 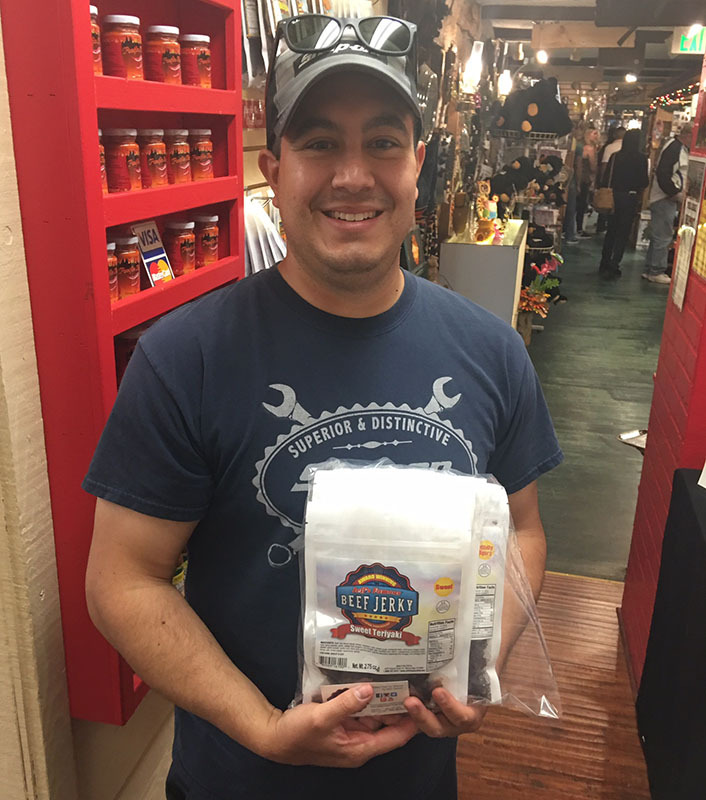 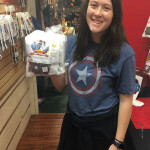 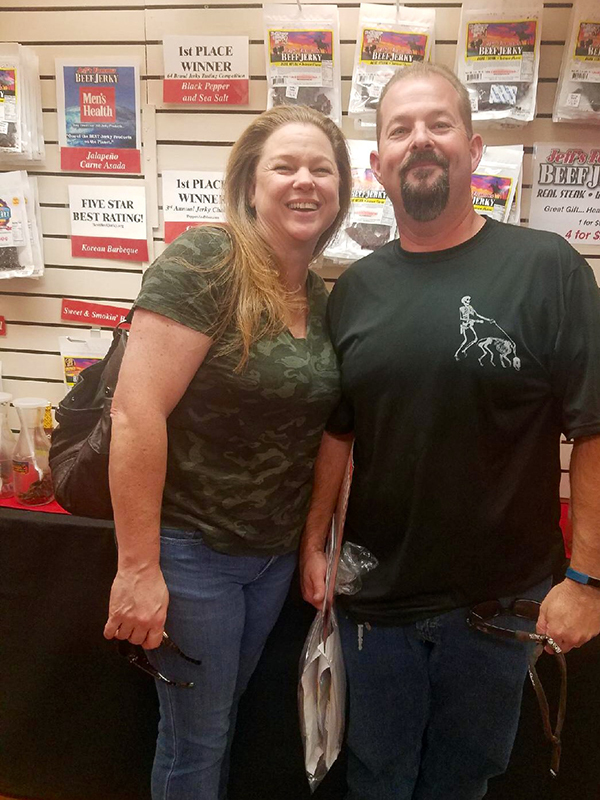 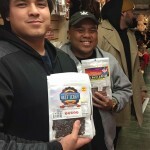 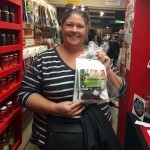 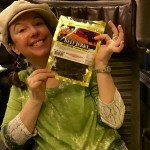 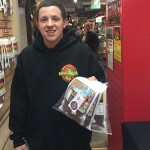 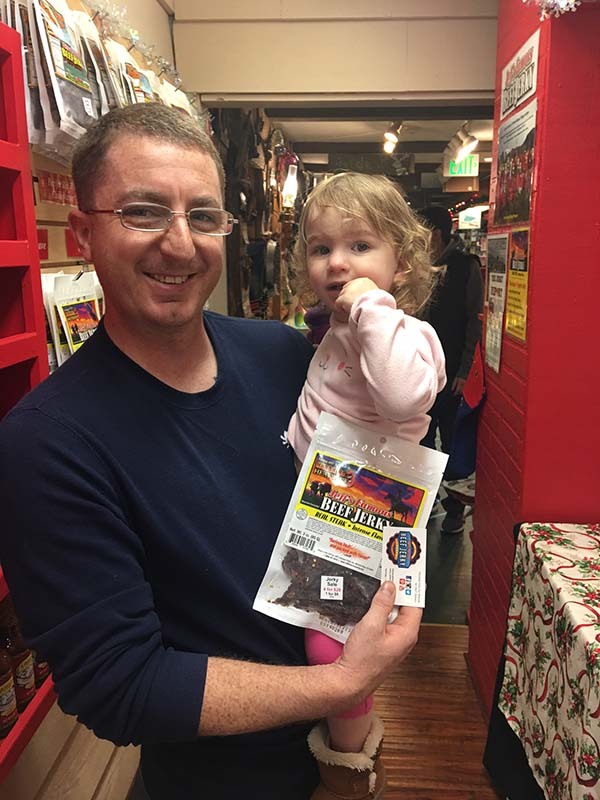 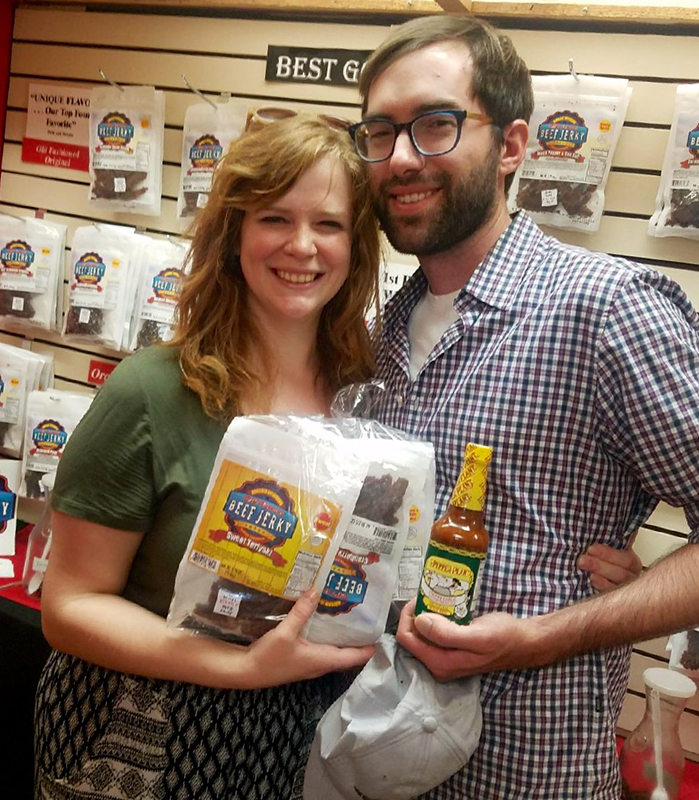 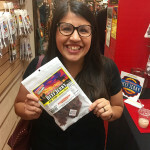 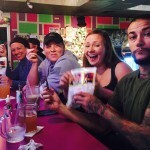 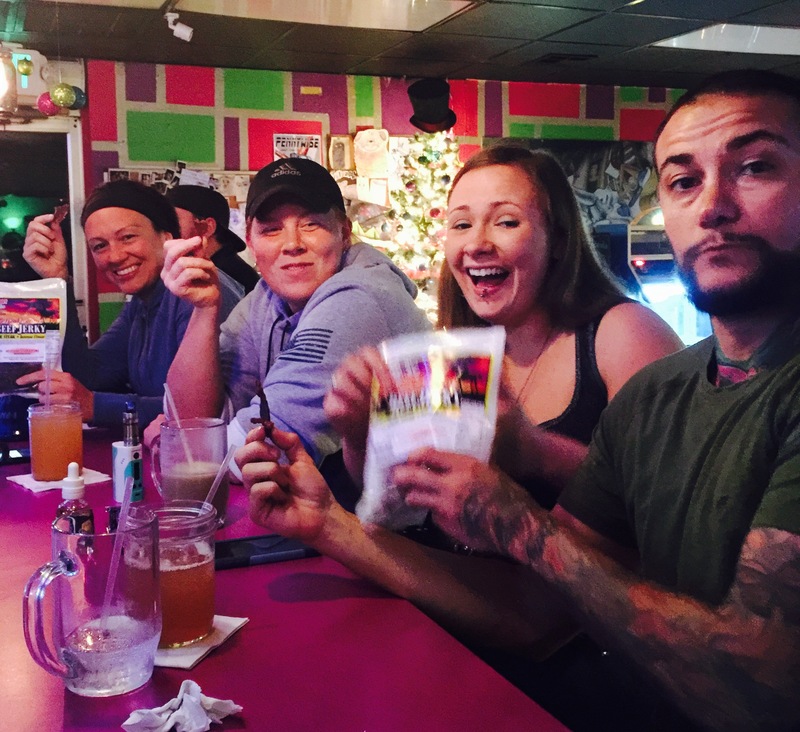 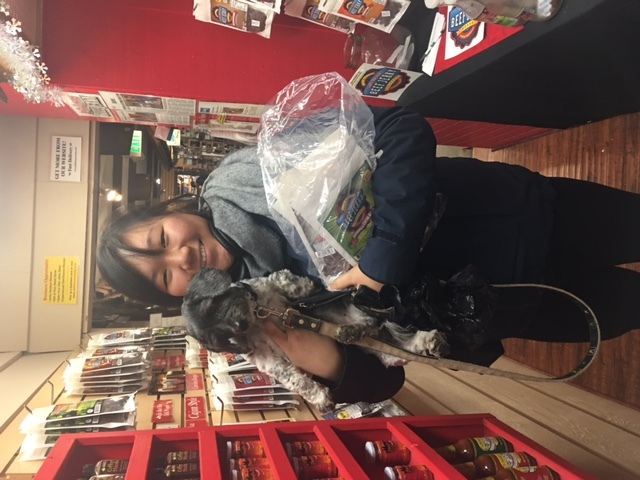 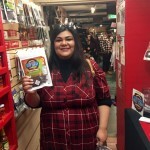 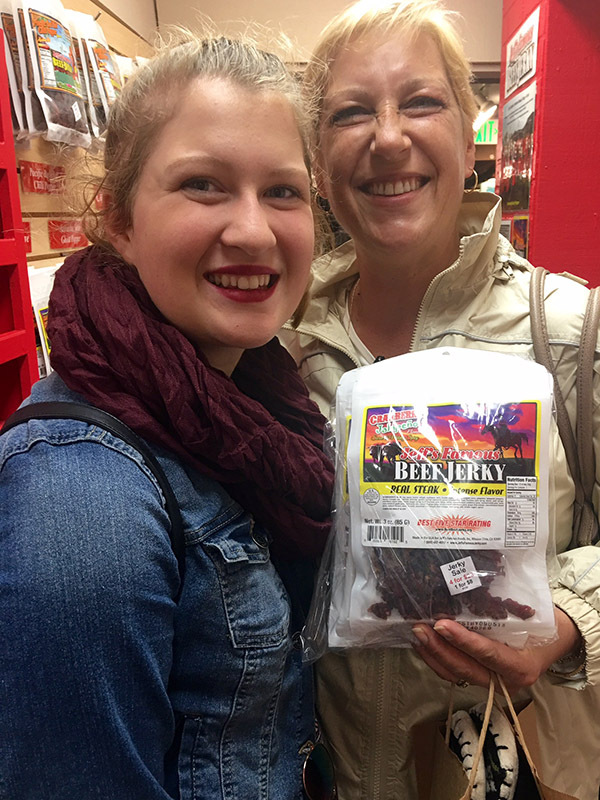 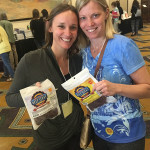 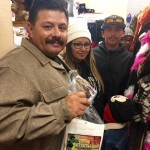 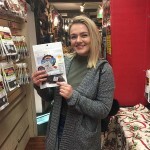 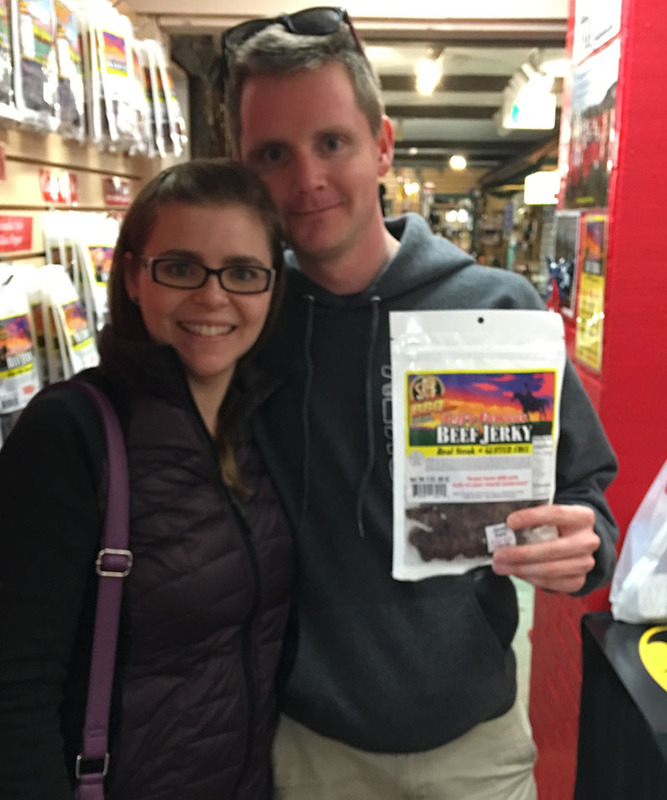 We love to see the smiling faces of our customers almost as much as we love making delicious jerky. 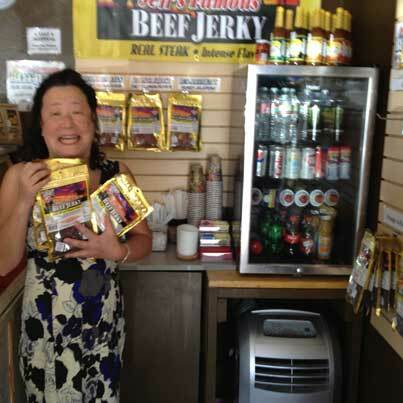 We are so proud to have the greatest customers in the world from all over the world. 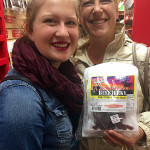 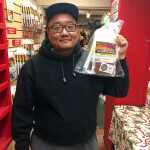 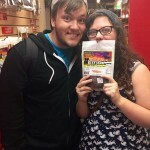 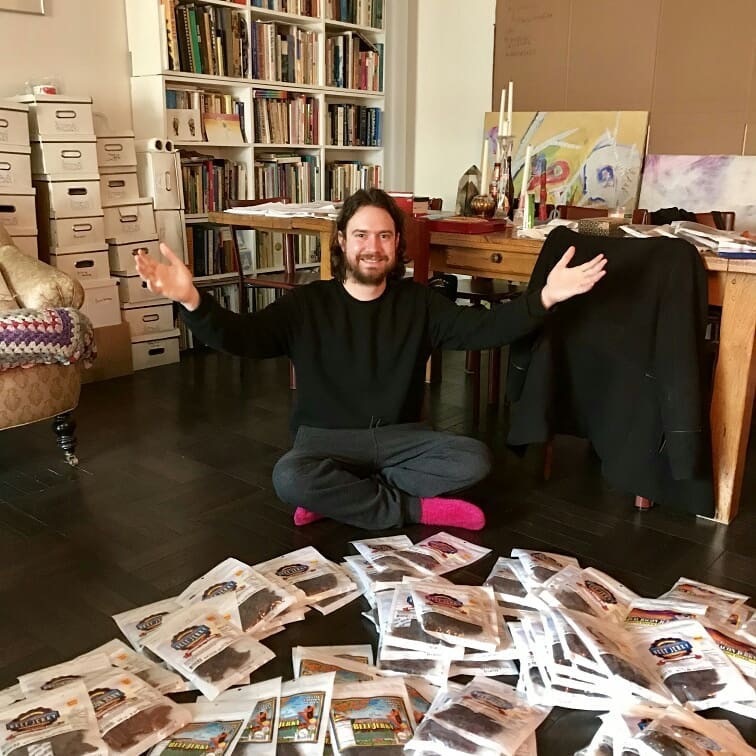 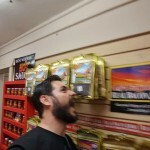 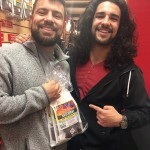 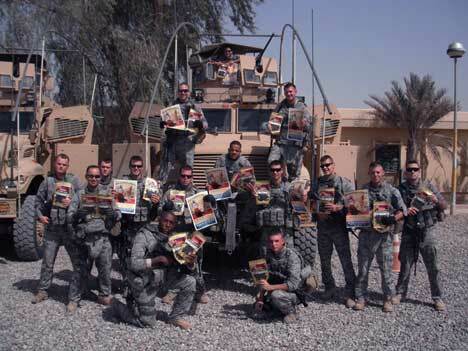 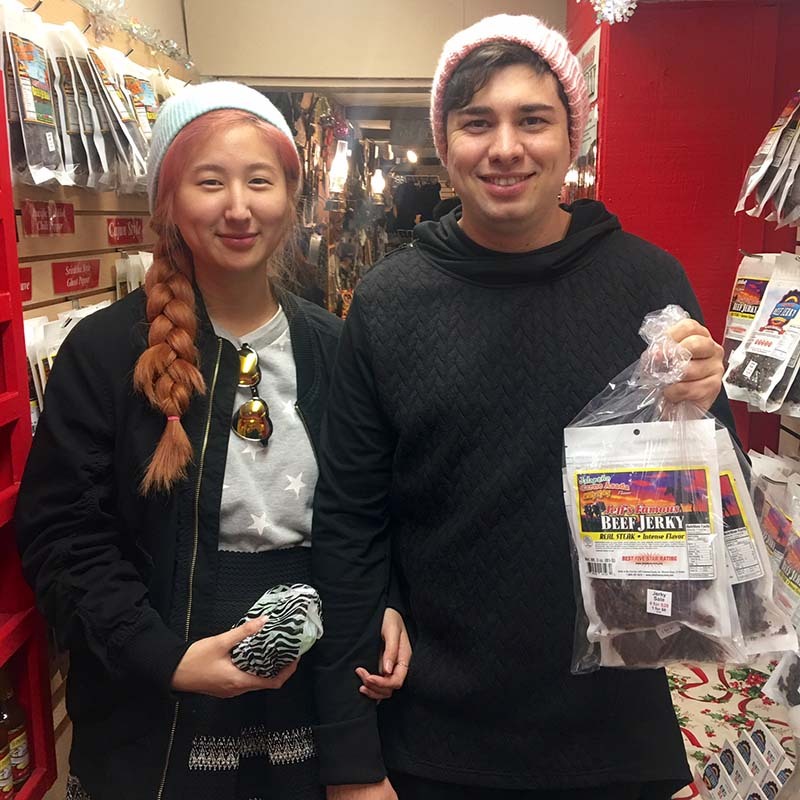 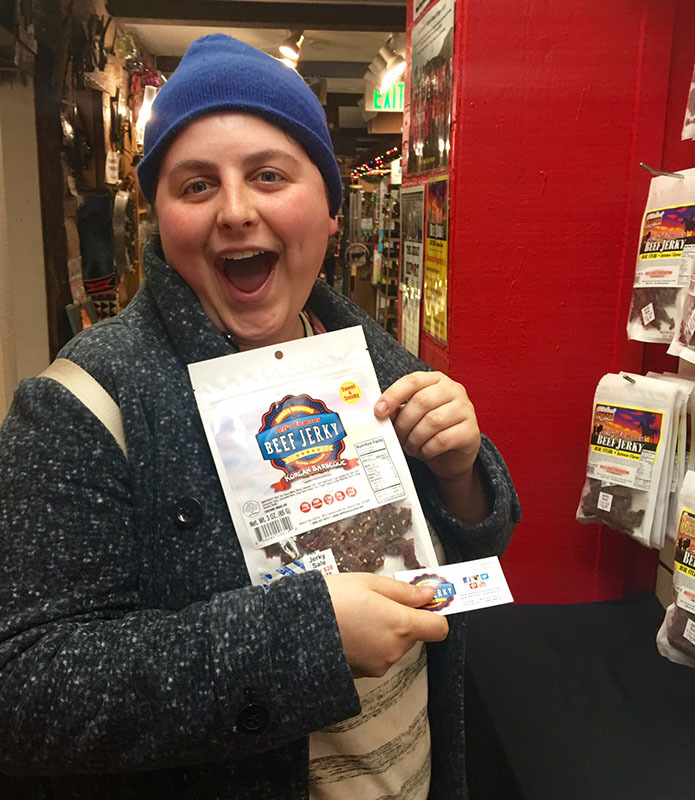 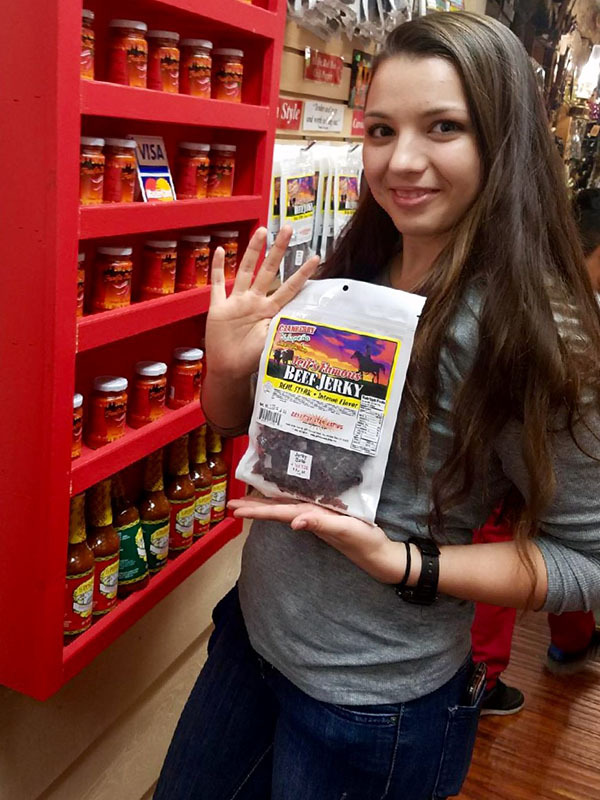 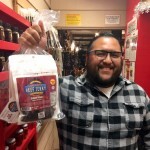 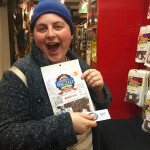 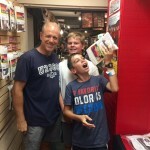 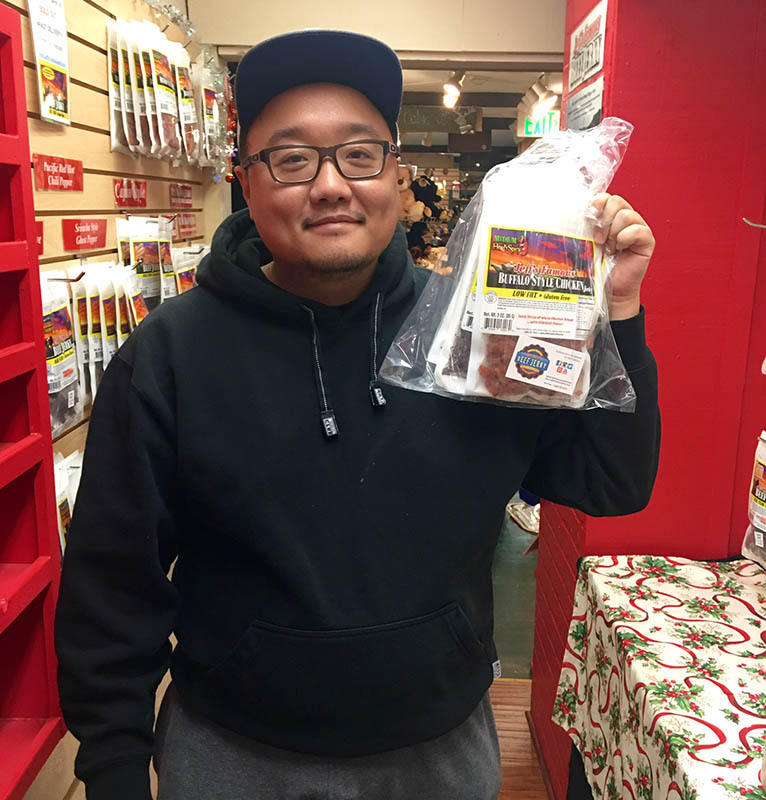 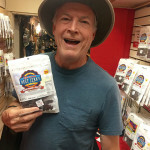 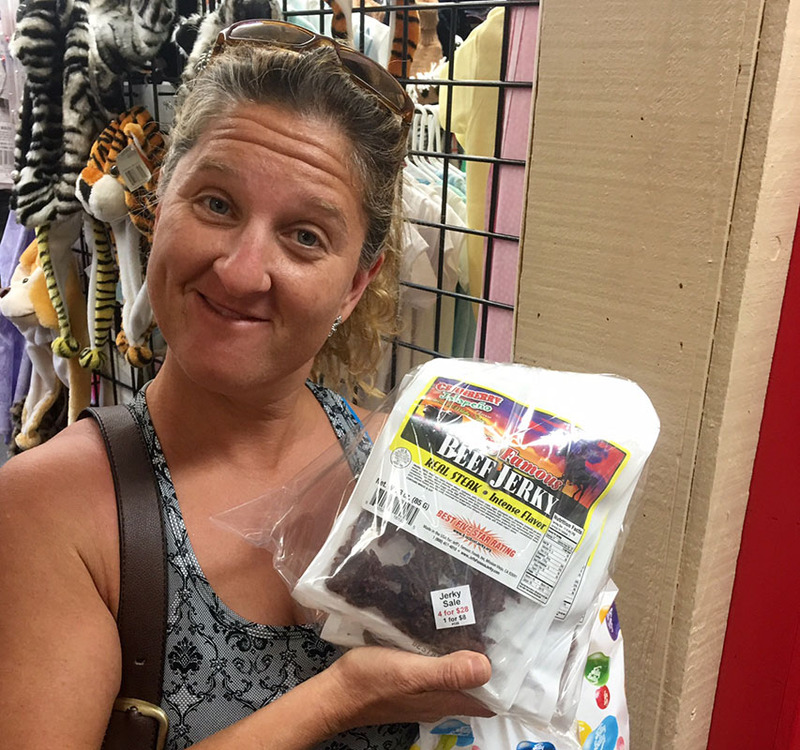 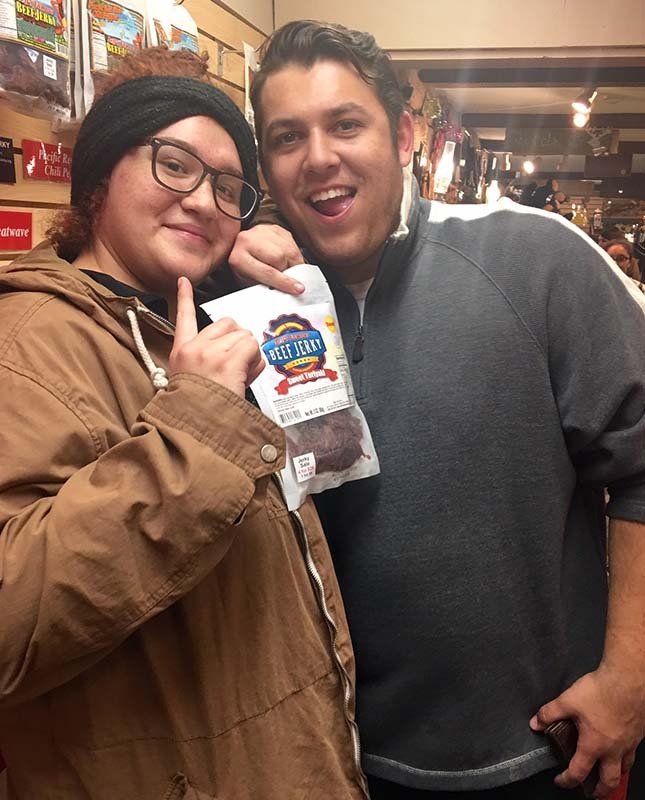 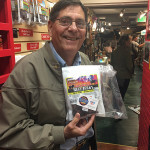 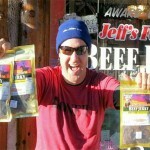 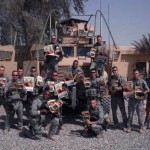 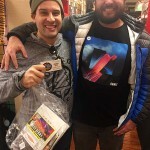 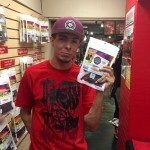 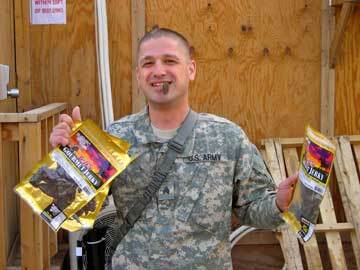 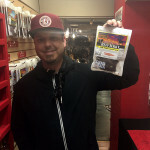 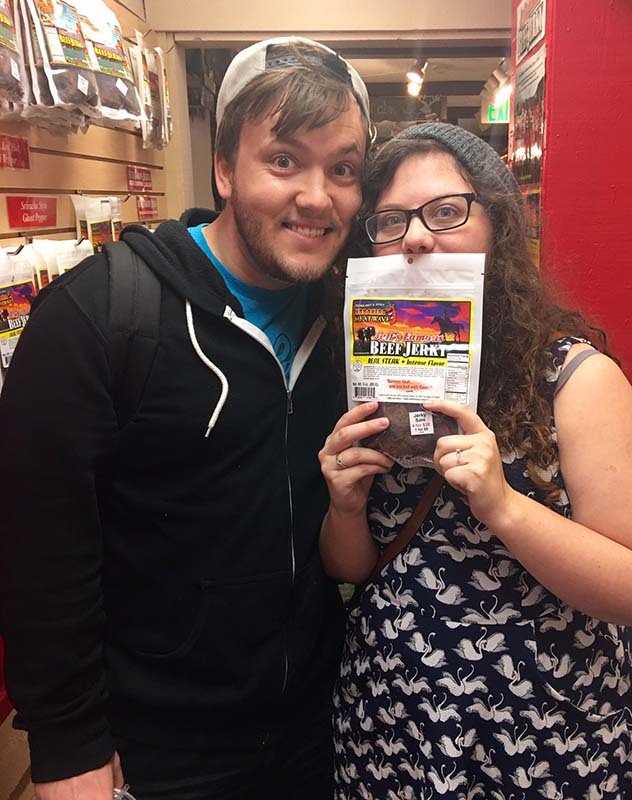 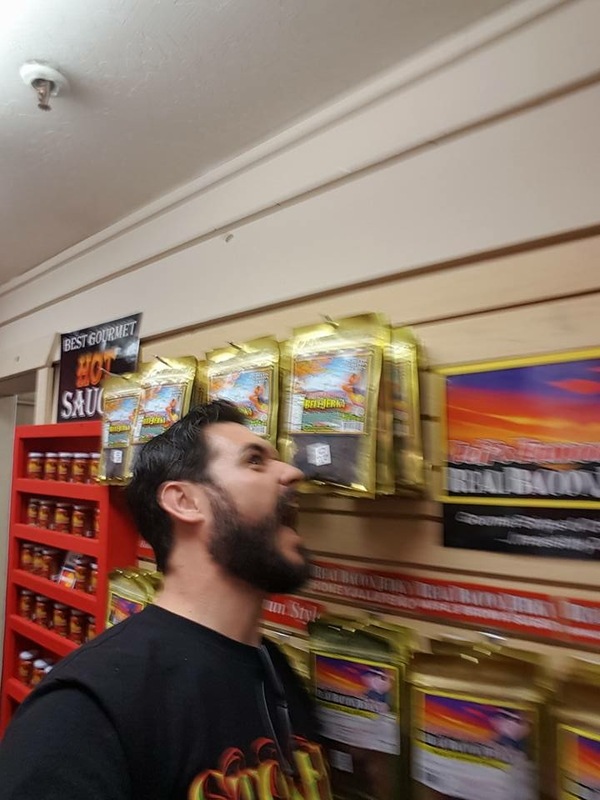 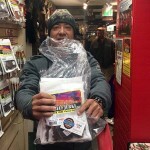 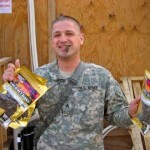 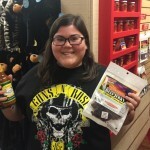 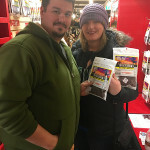 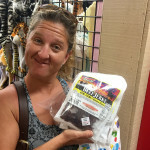 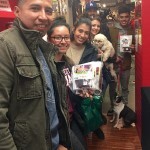 Upload your Jeff’s Famous Jerky photo so we can share your joy with everyone. 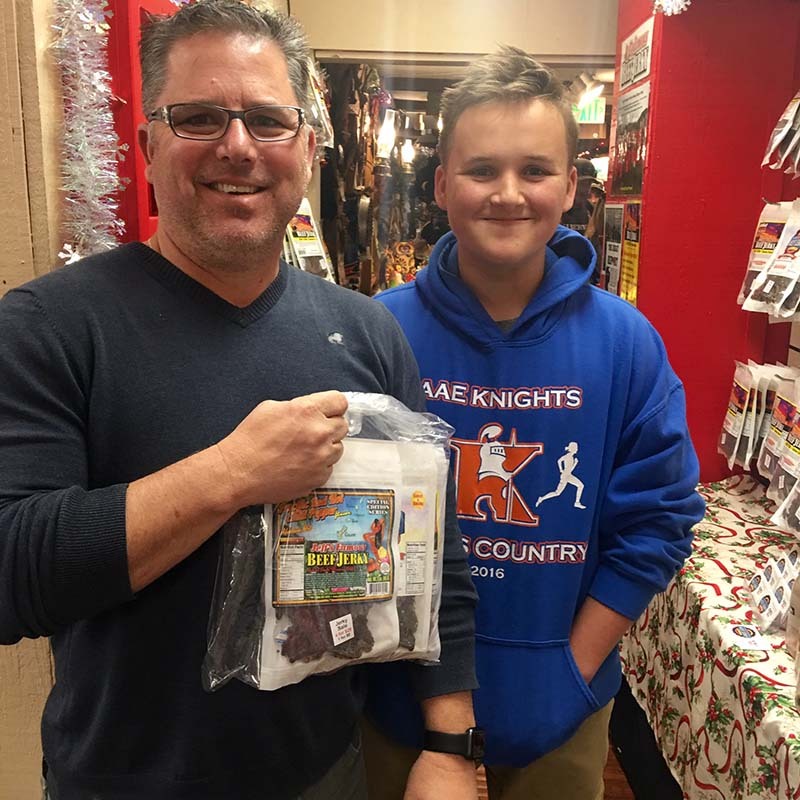 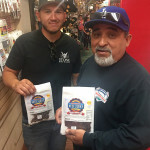 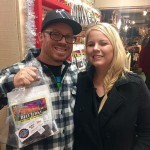 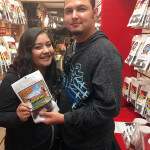 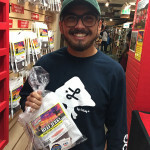 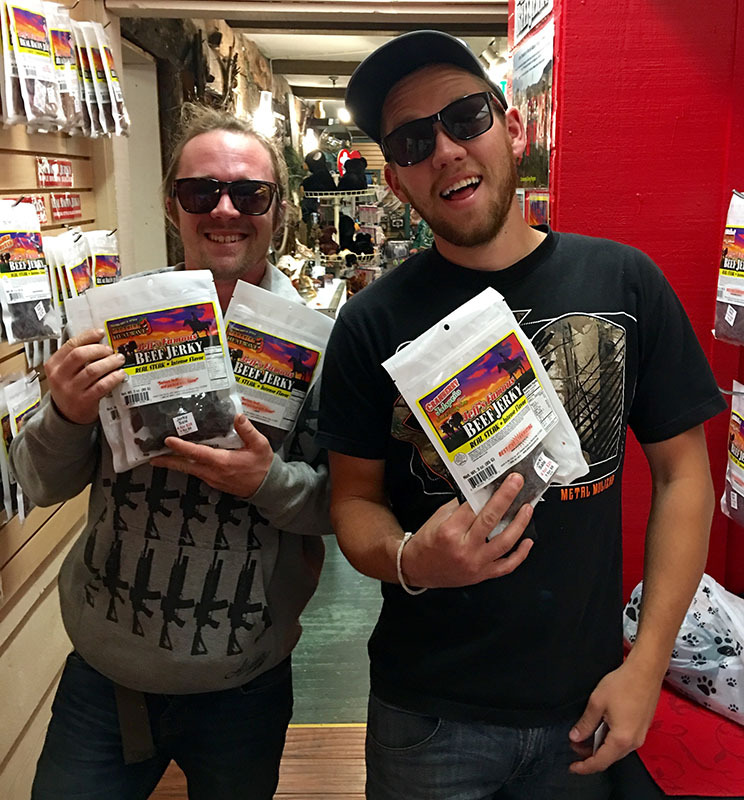 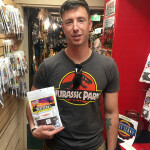 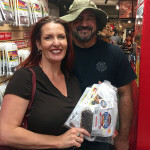 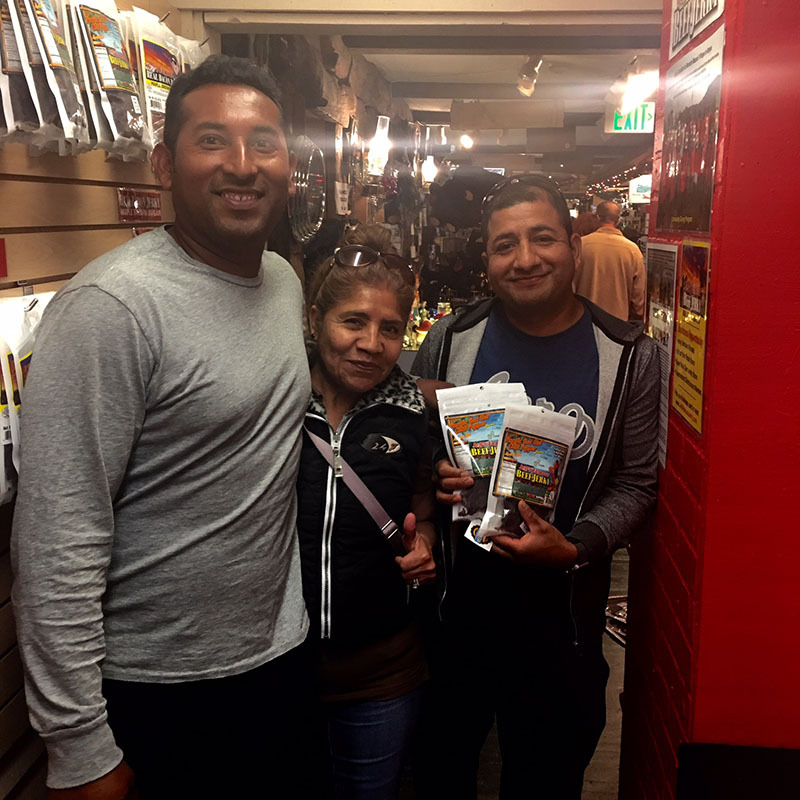 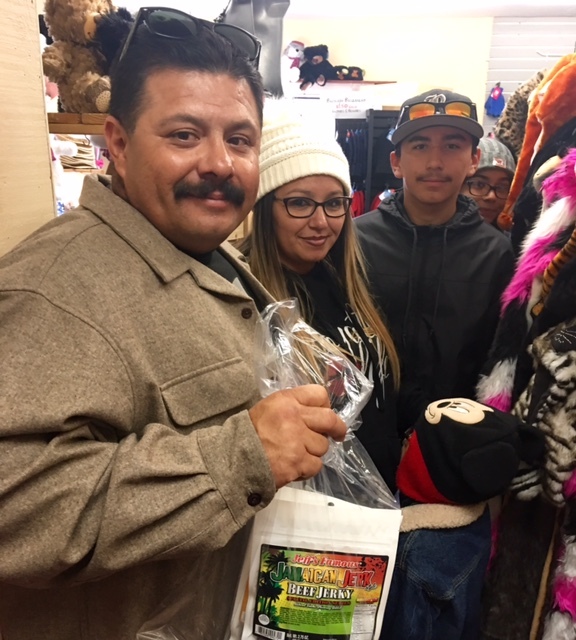 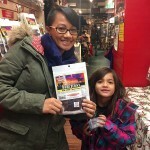 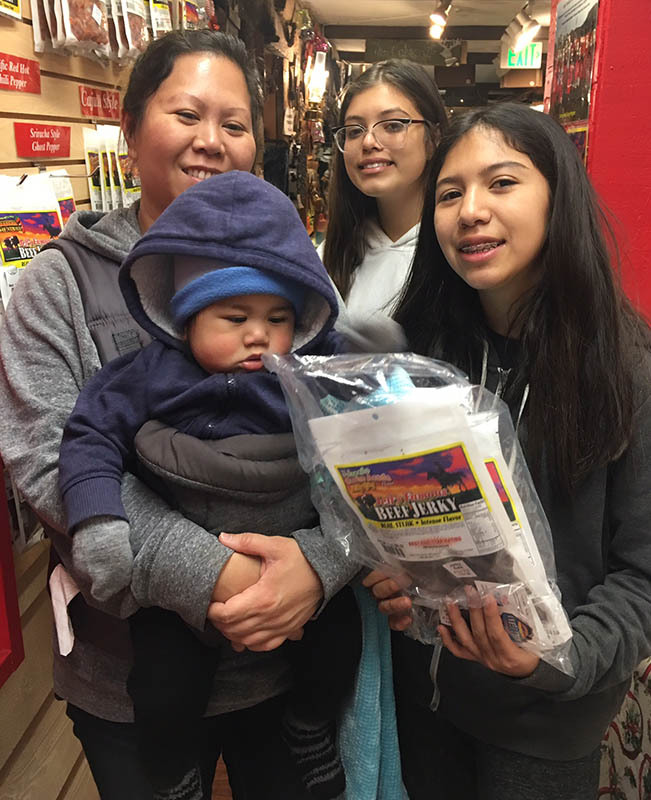 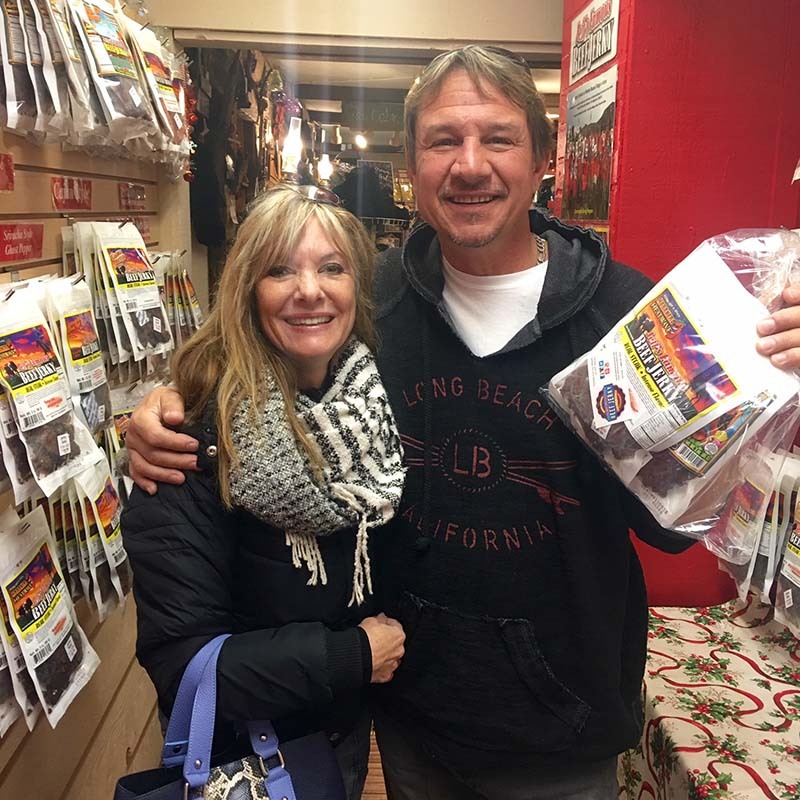 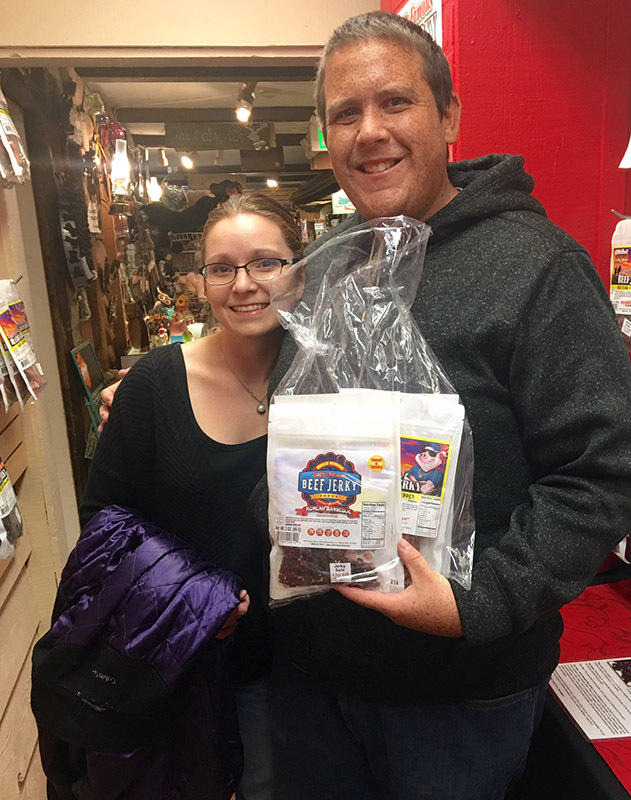 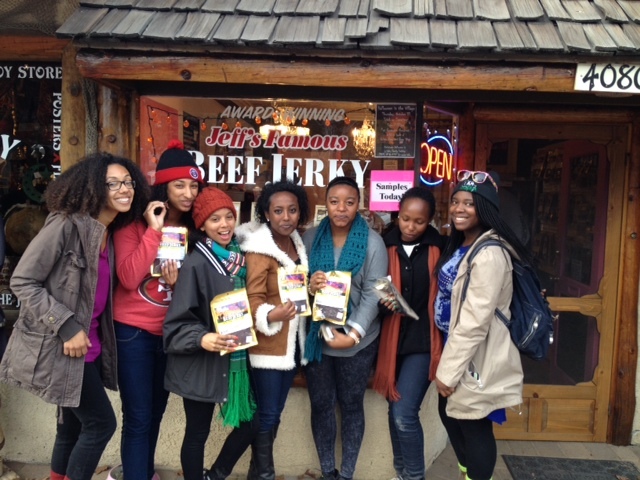 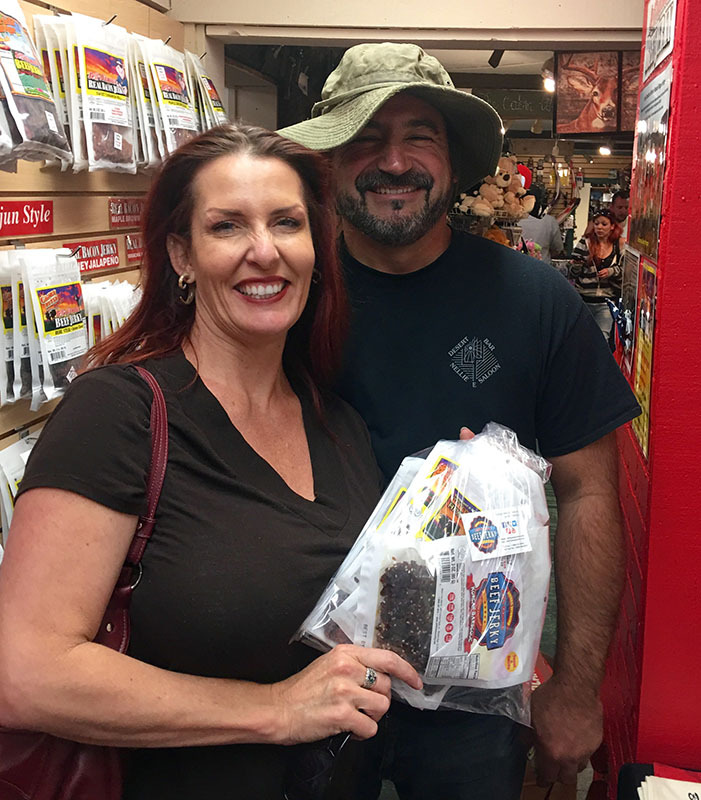 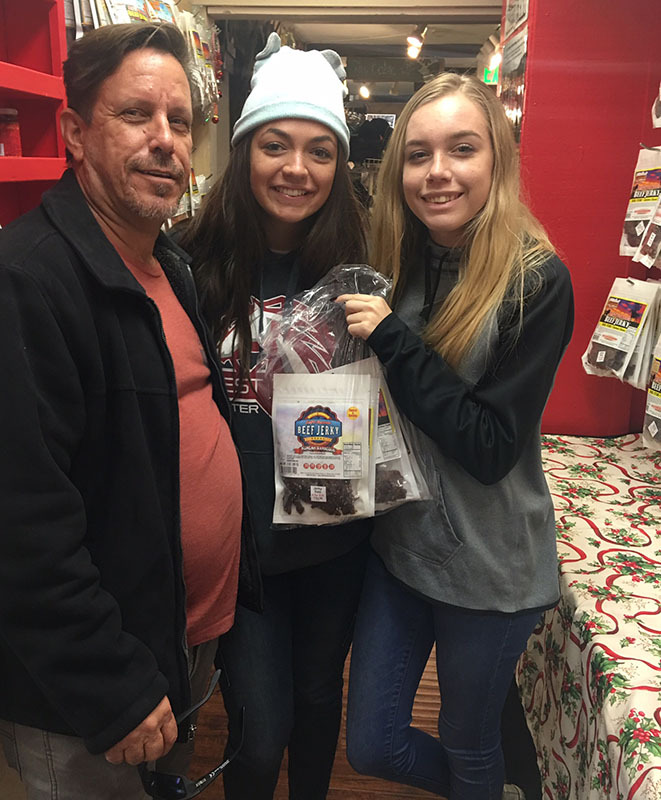 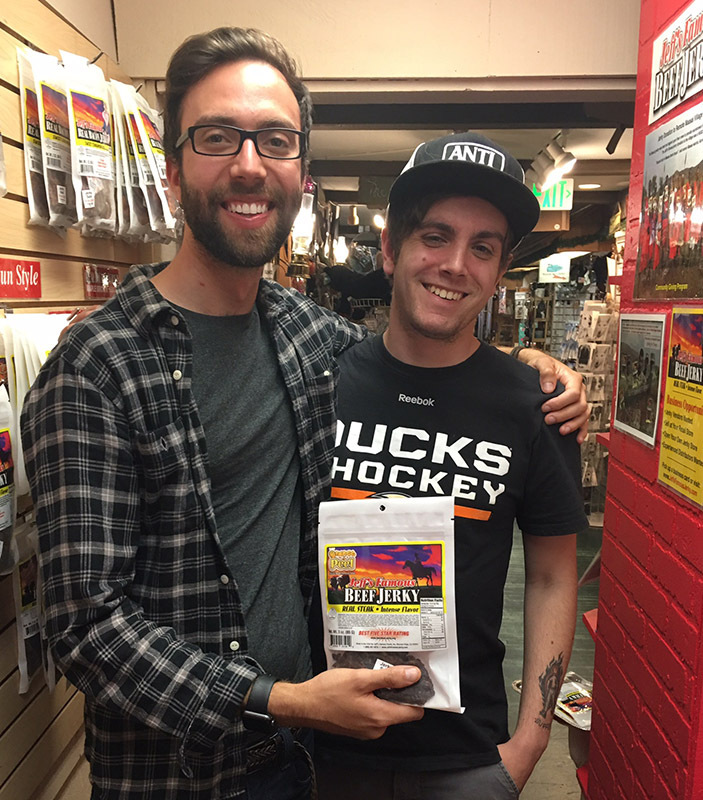 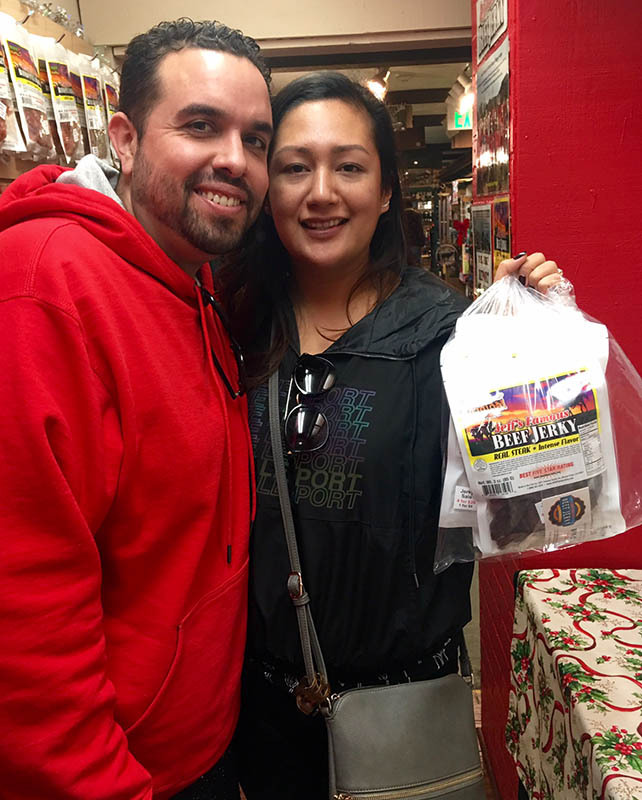 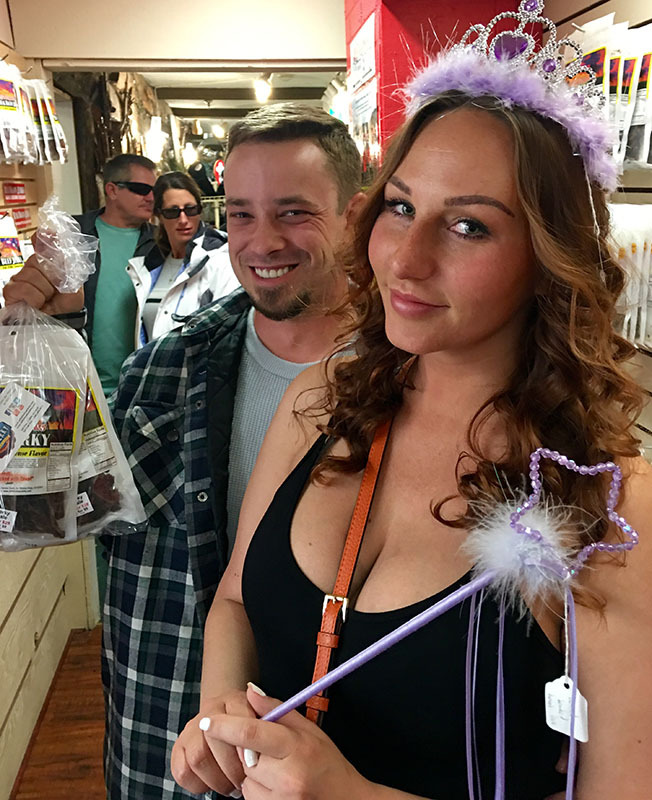 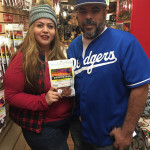 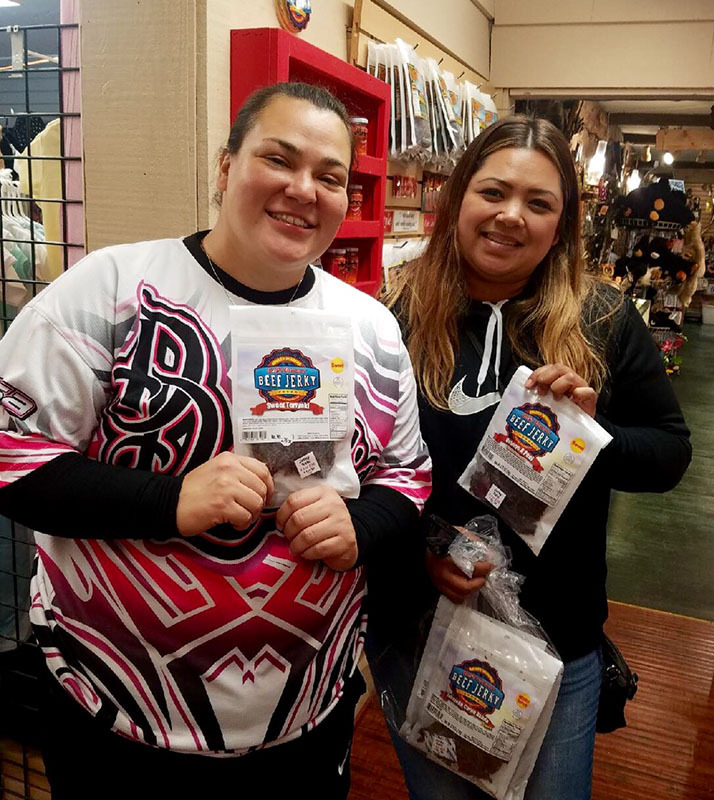 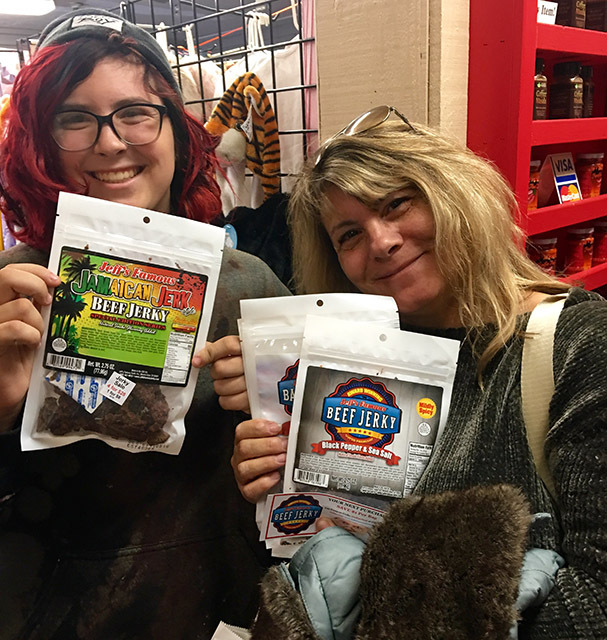 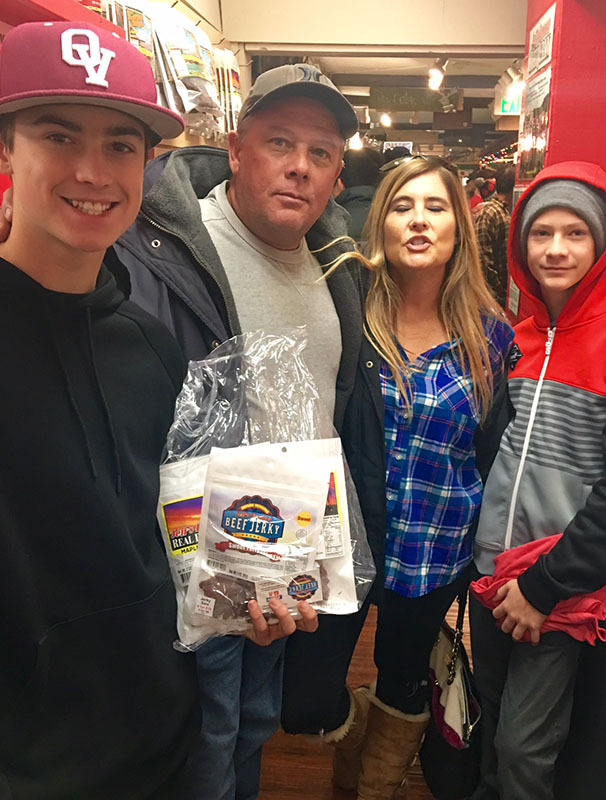 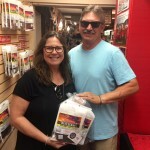 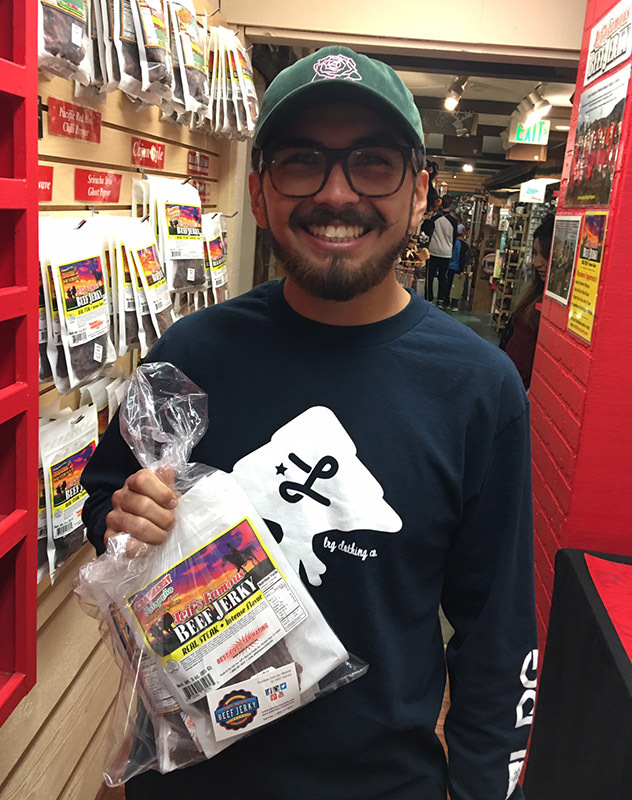 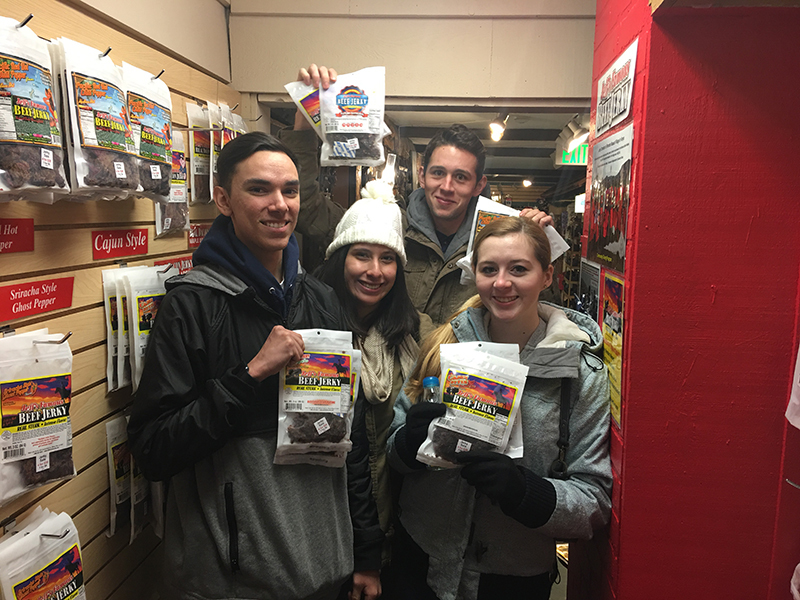 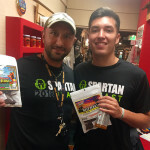 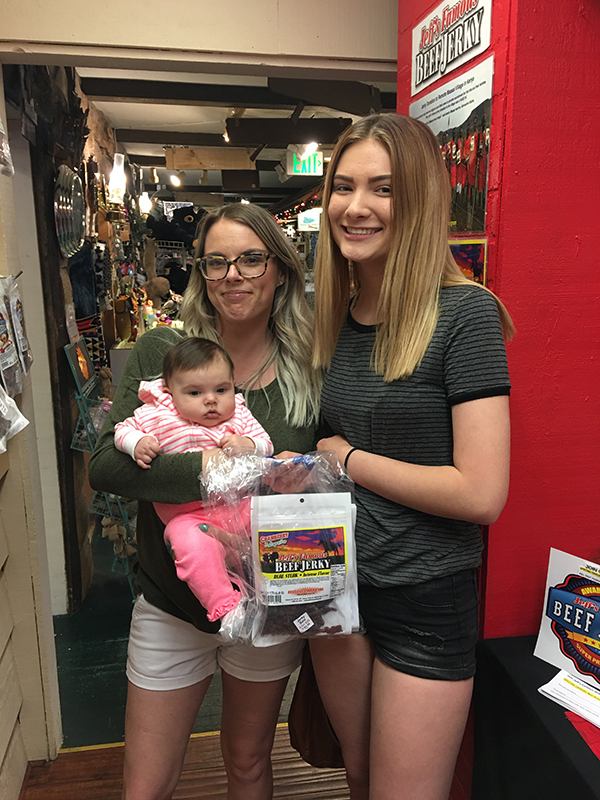 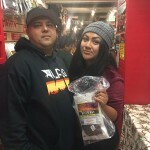 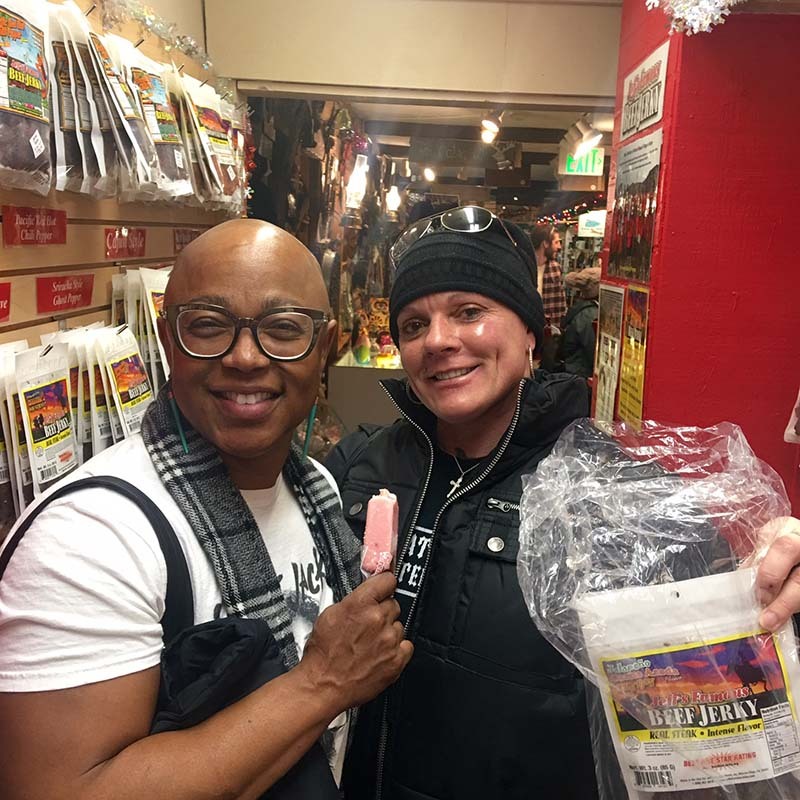 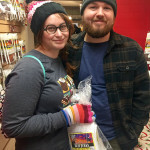 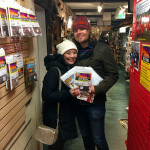 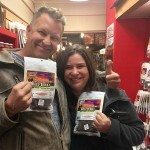 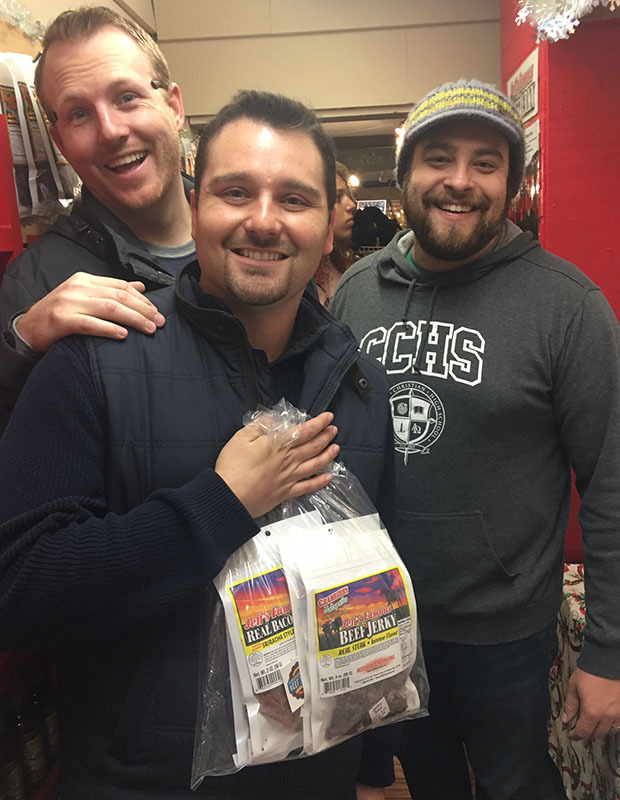 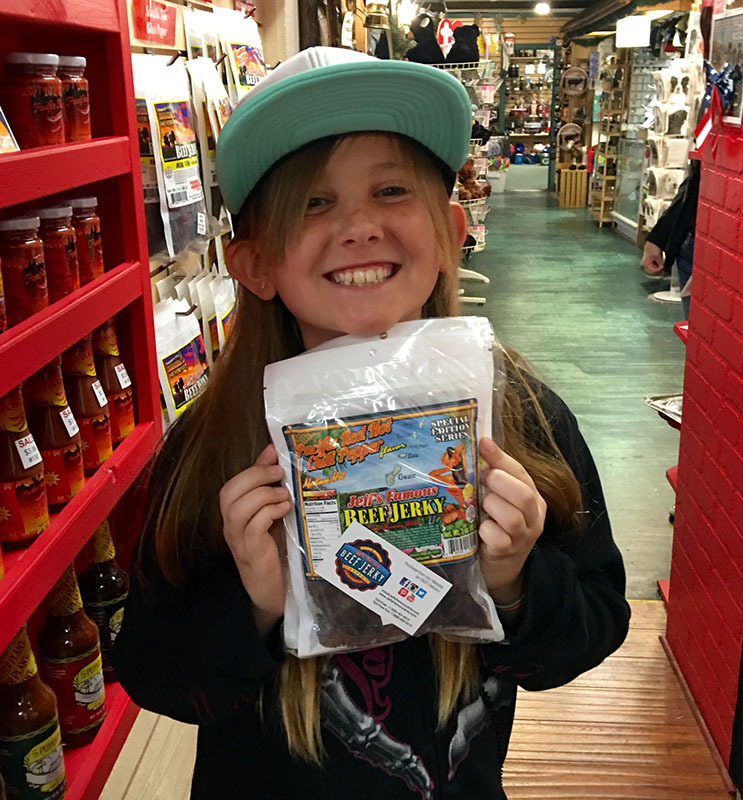 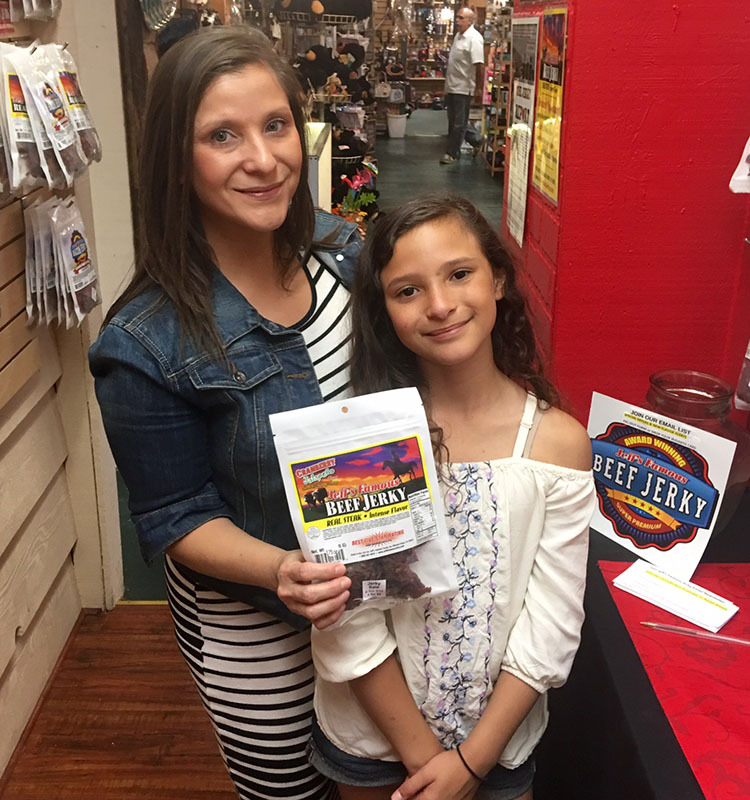 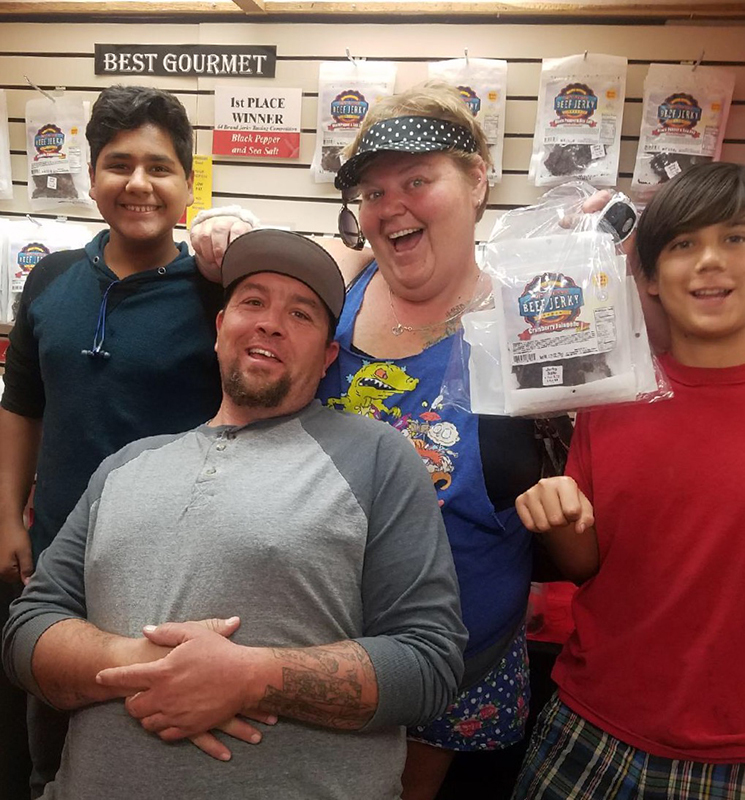 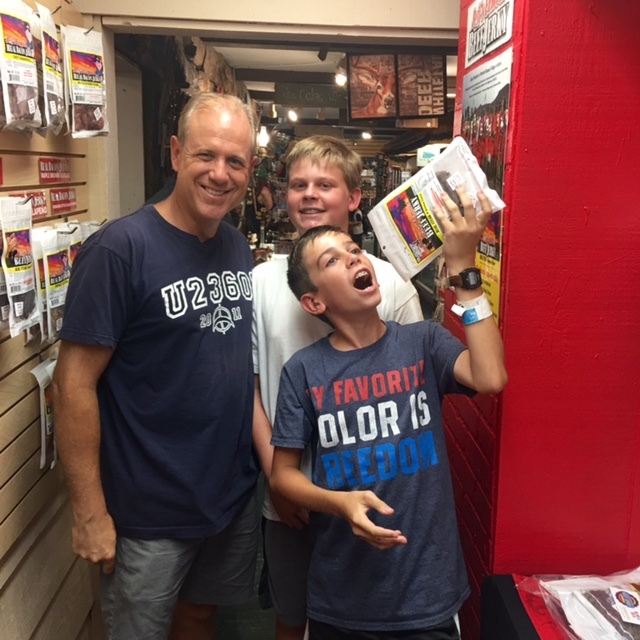 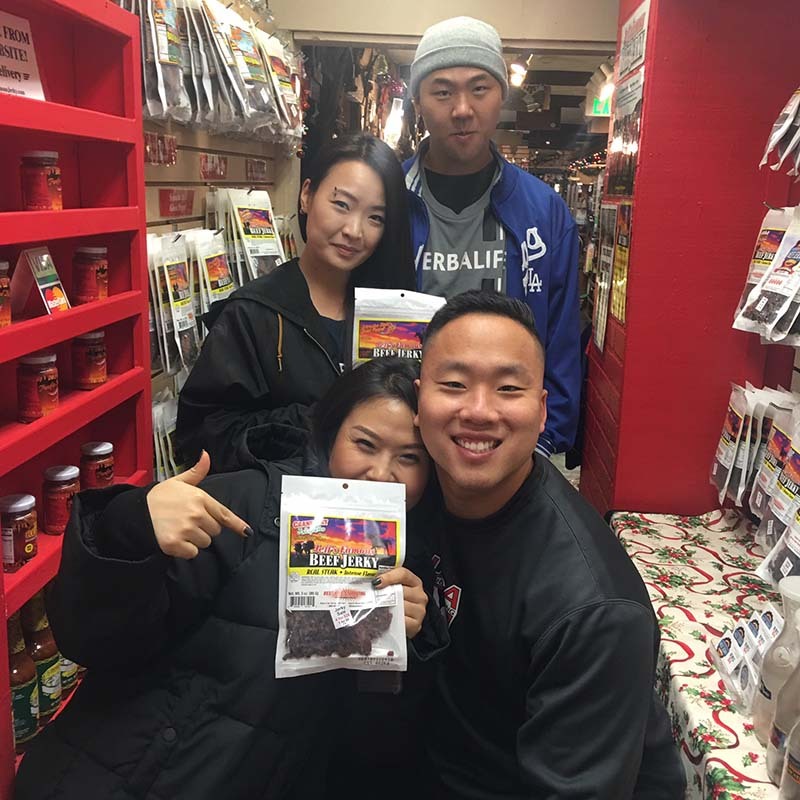 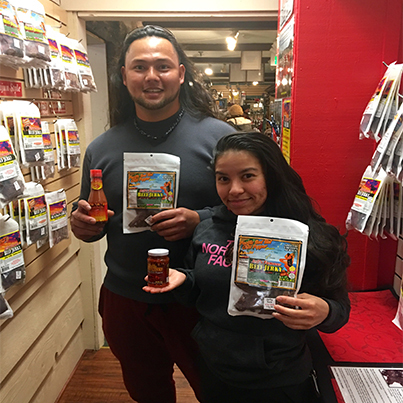 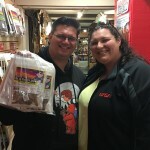 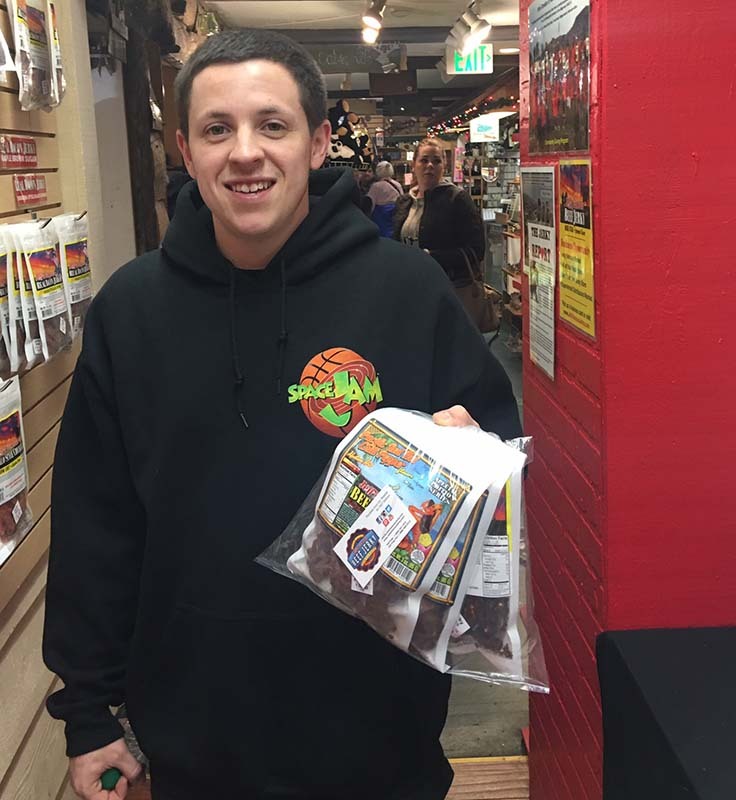 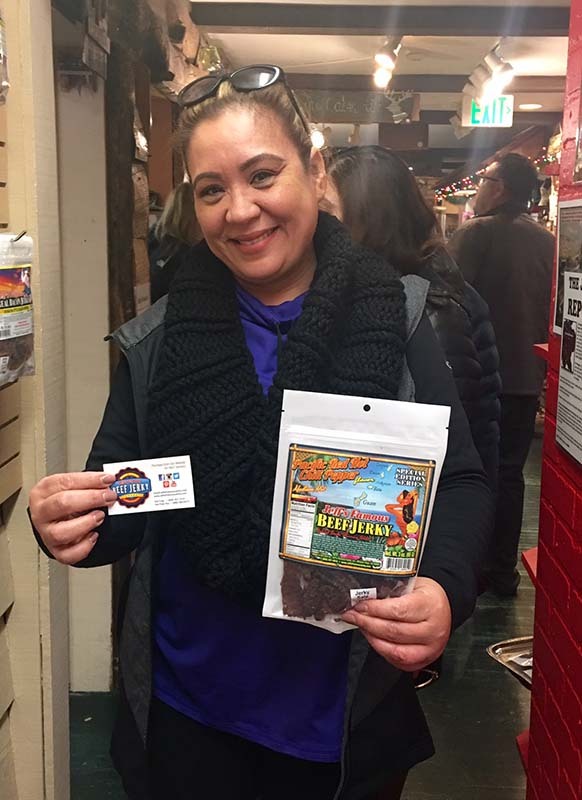 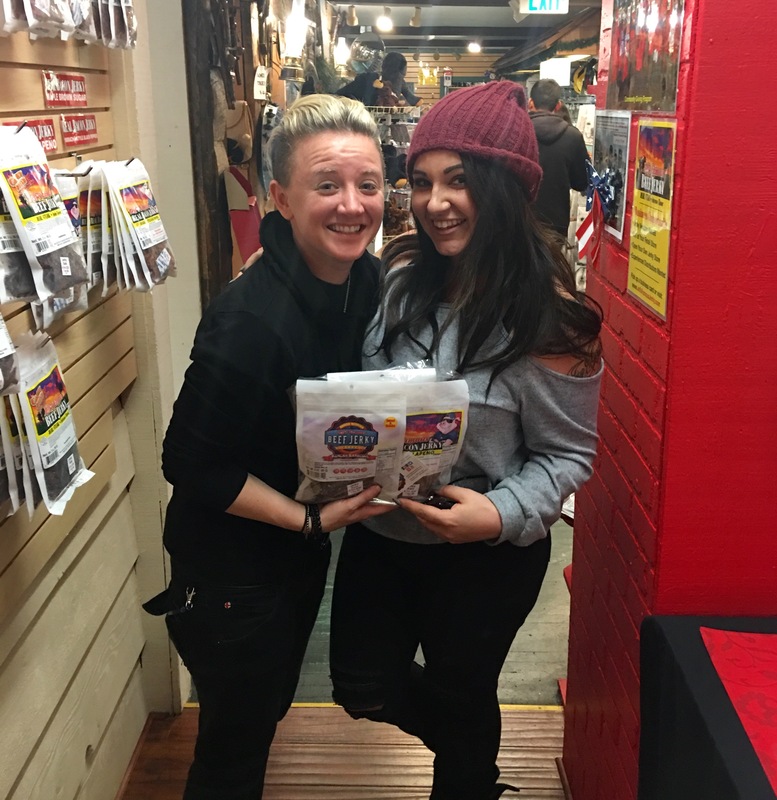 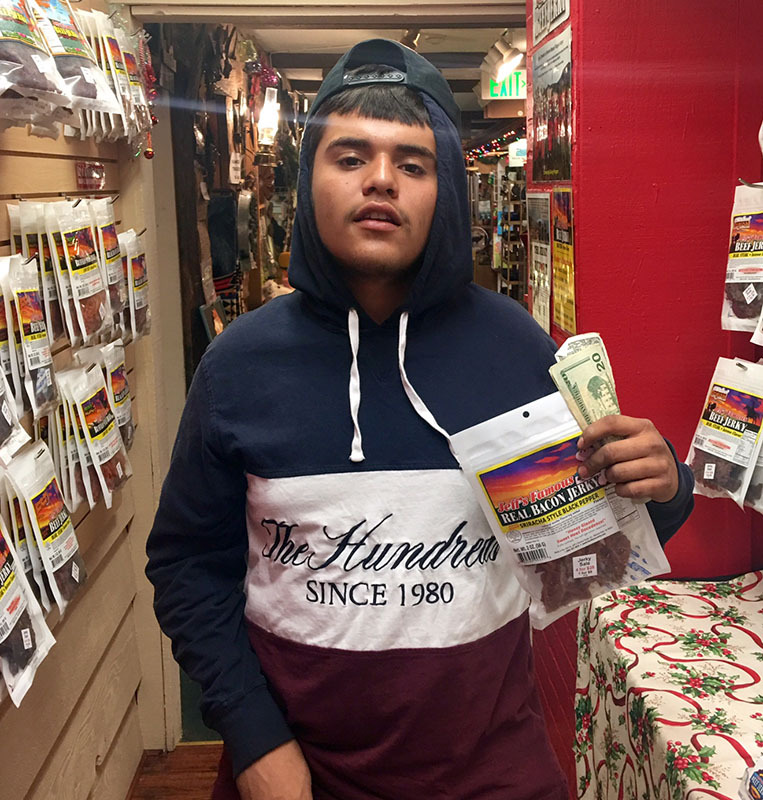 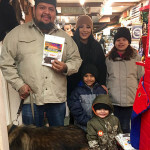 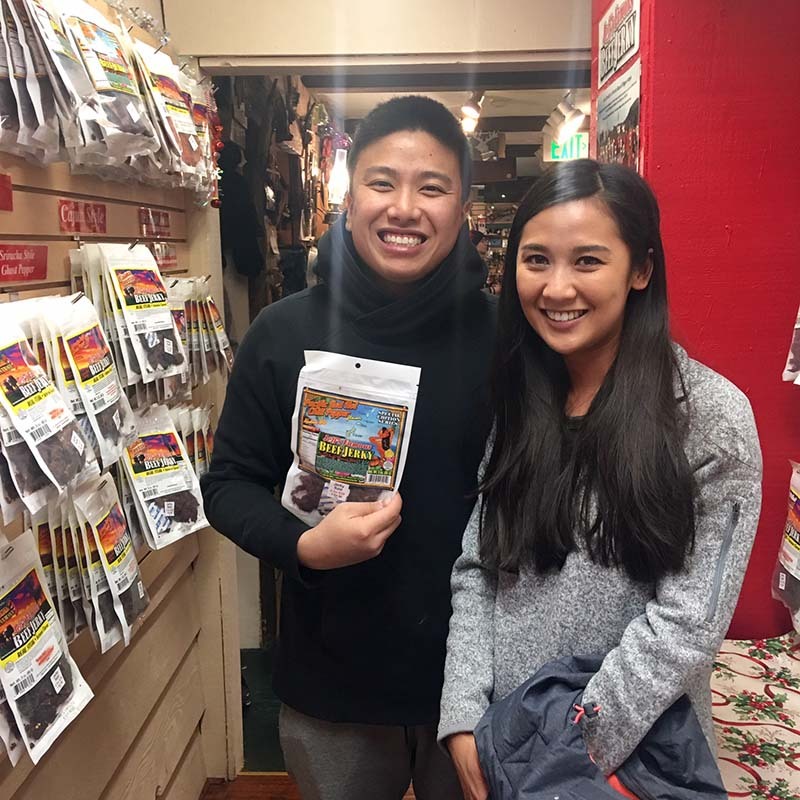 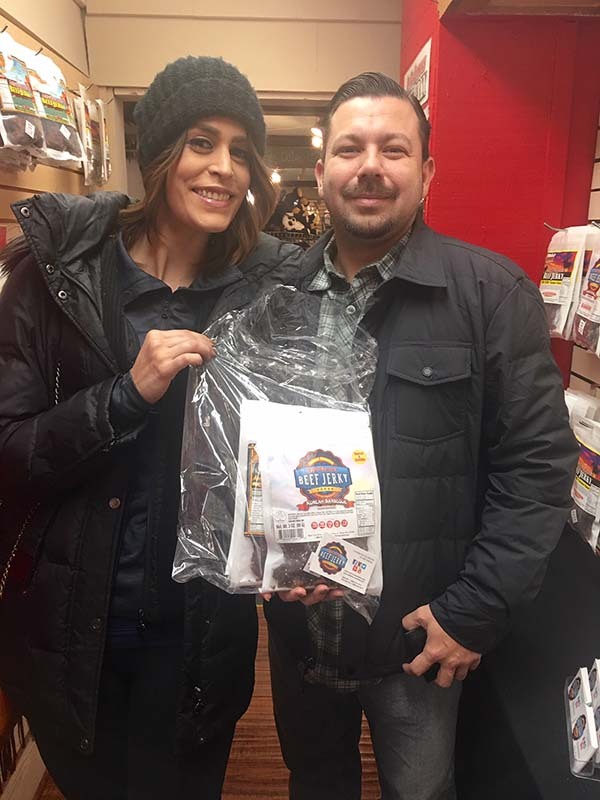 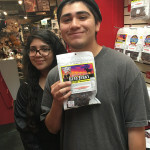 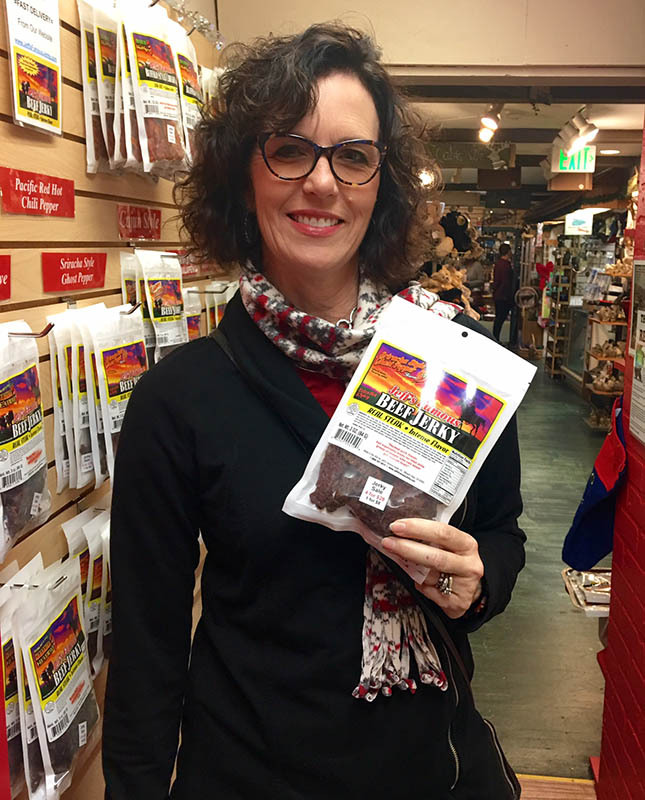 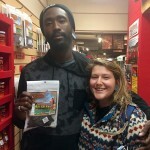 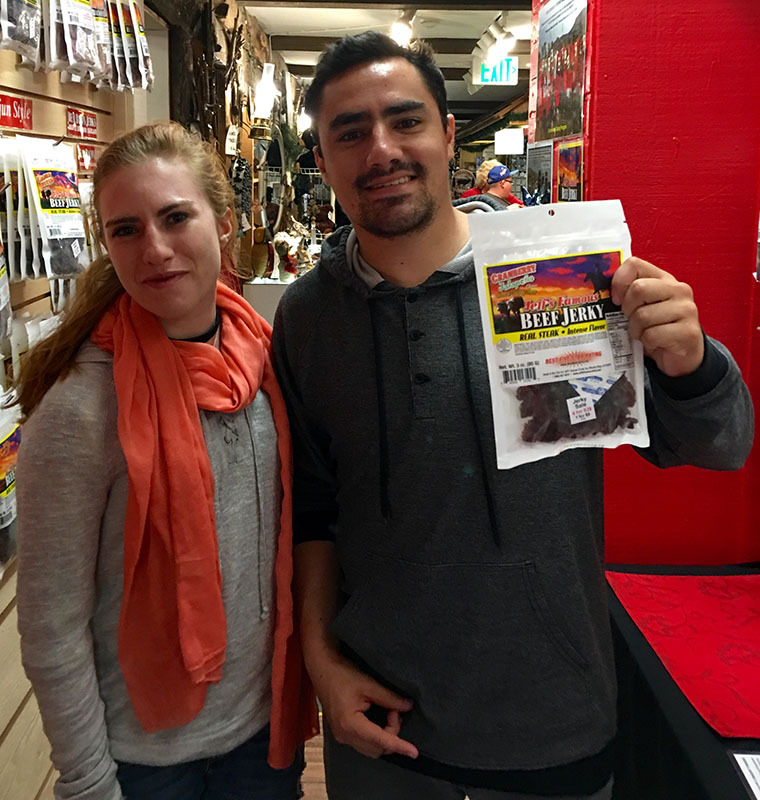 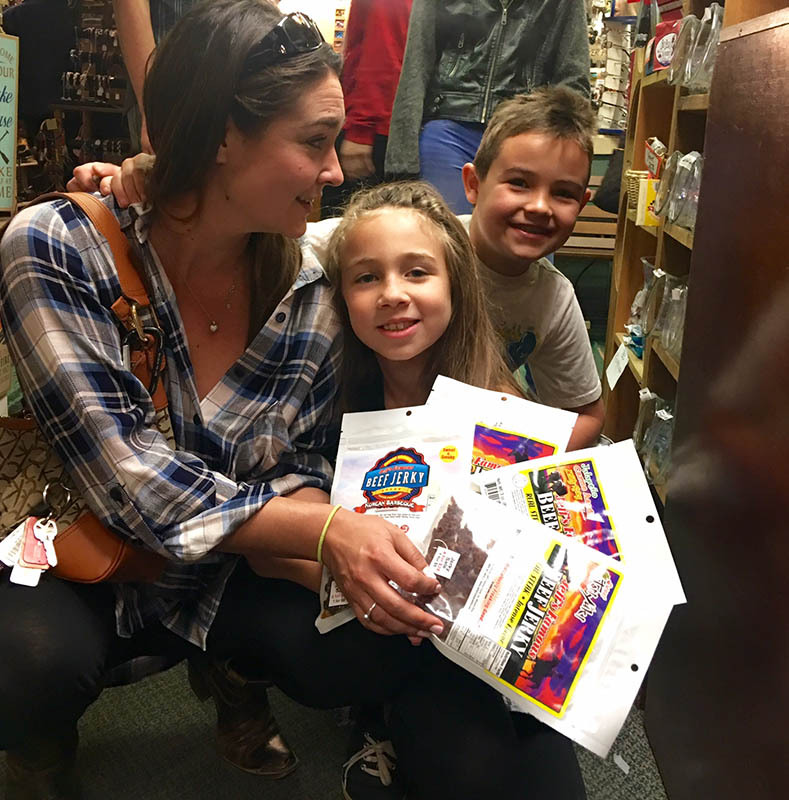 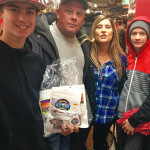 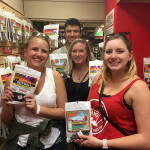 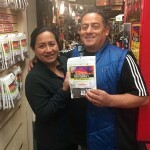 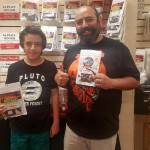 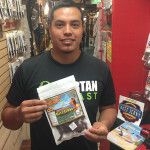 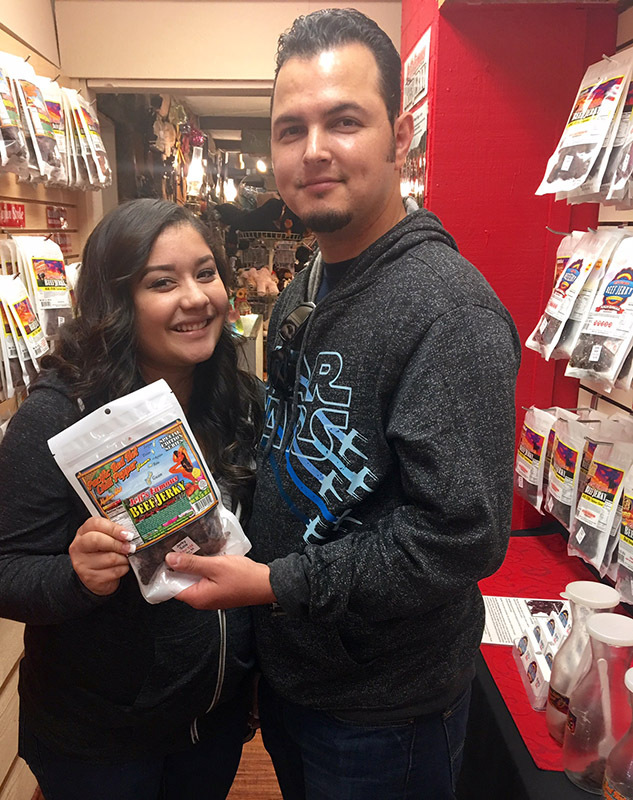 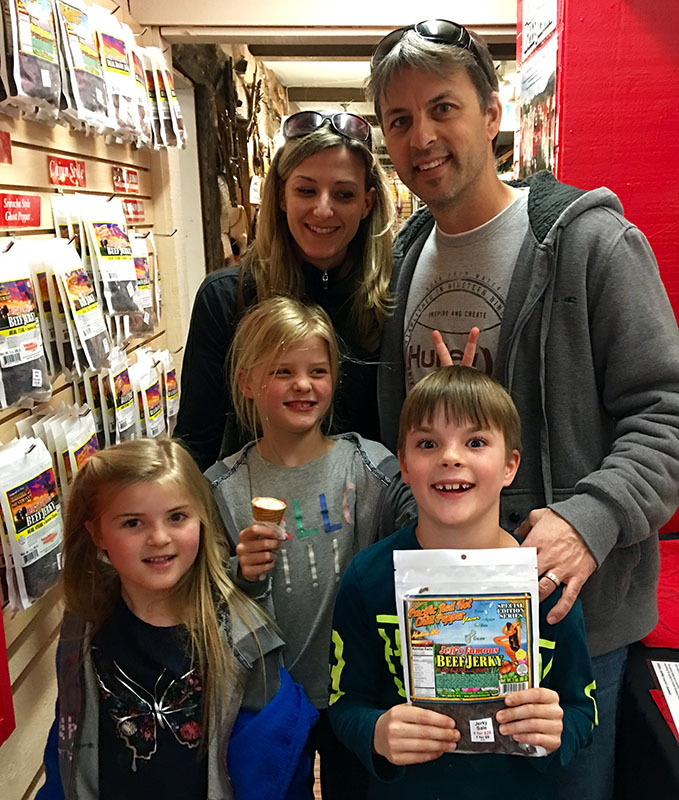 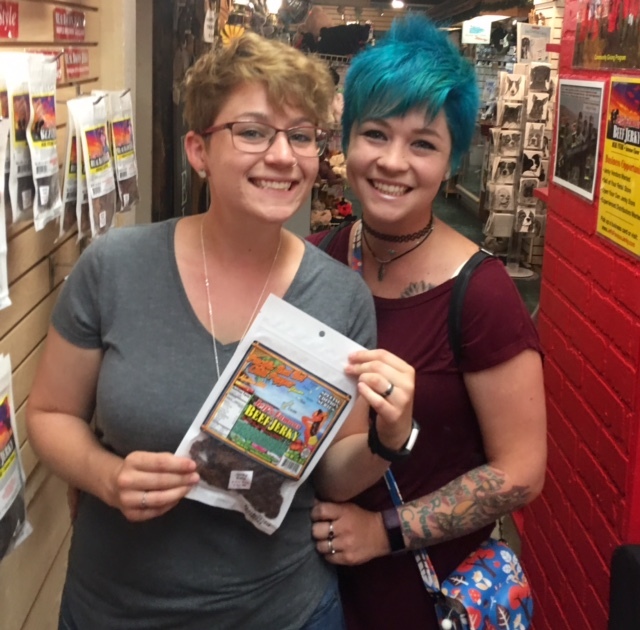 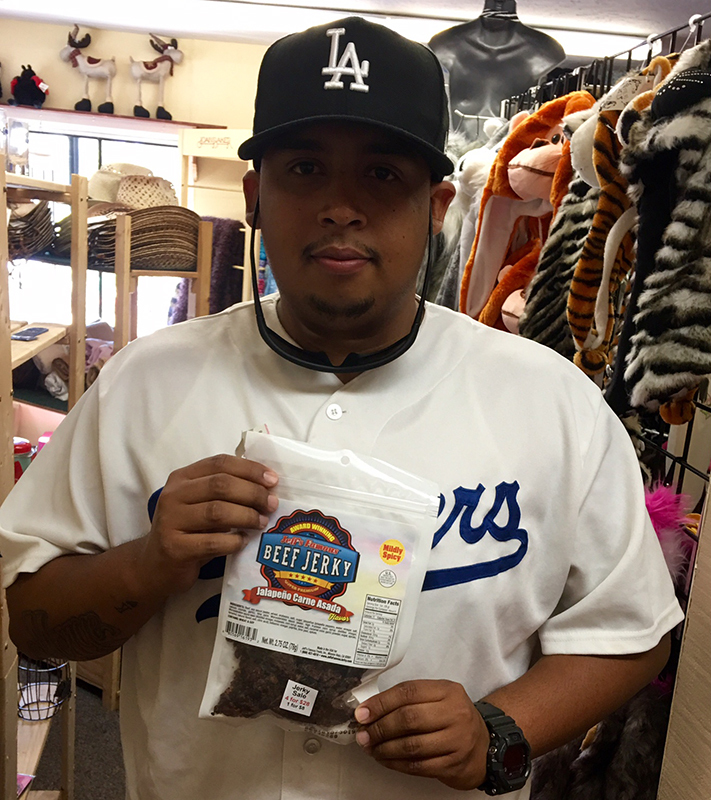 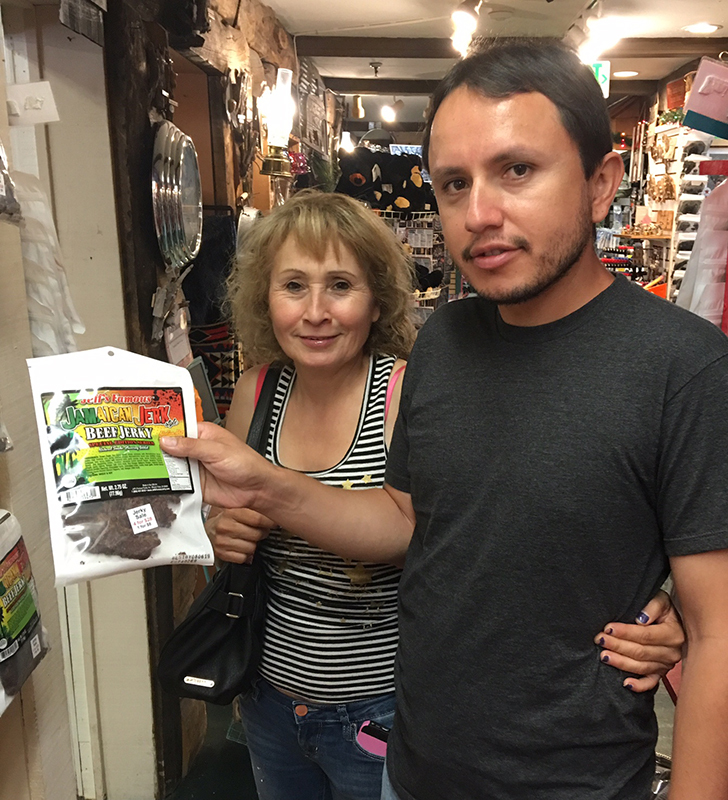 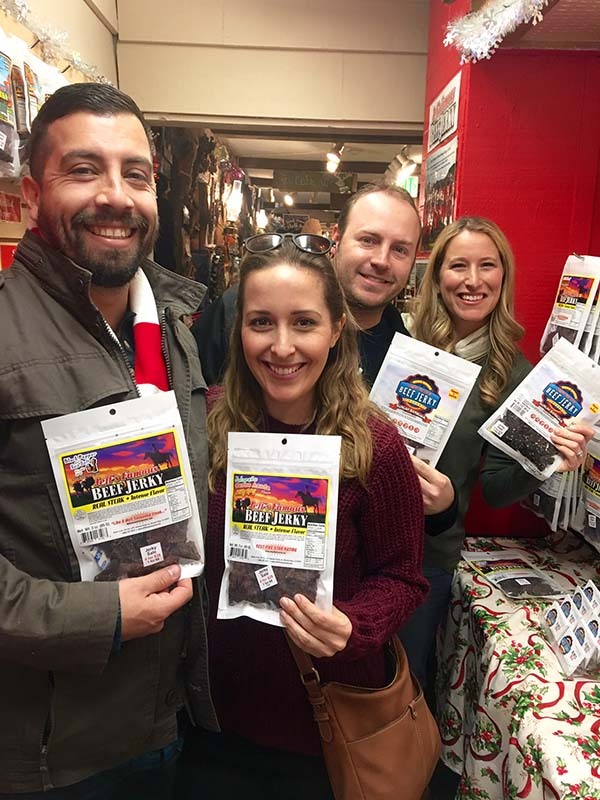 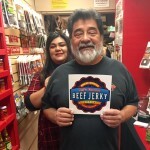 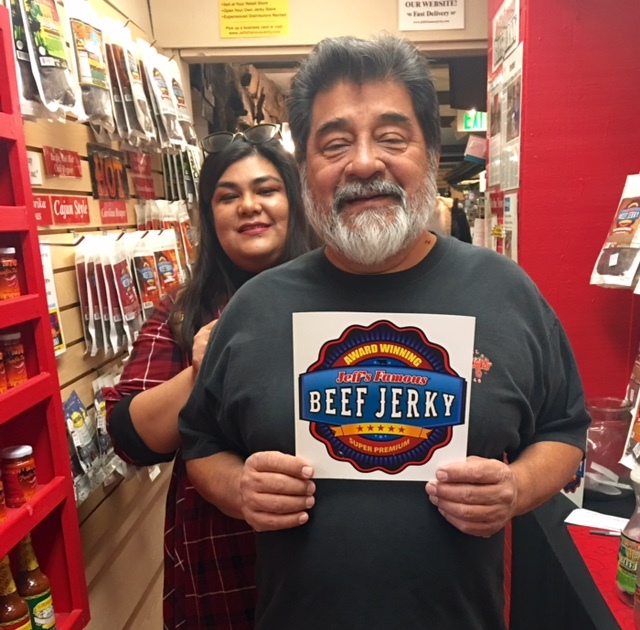 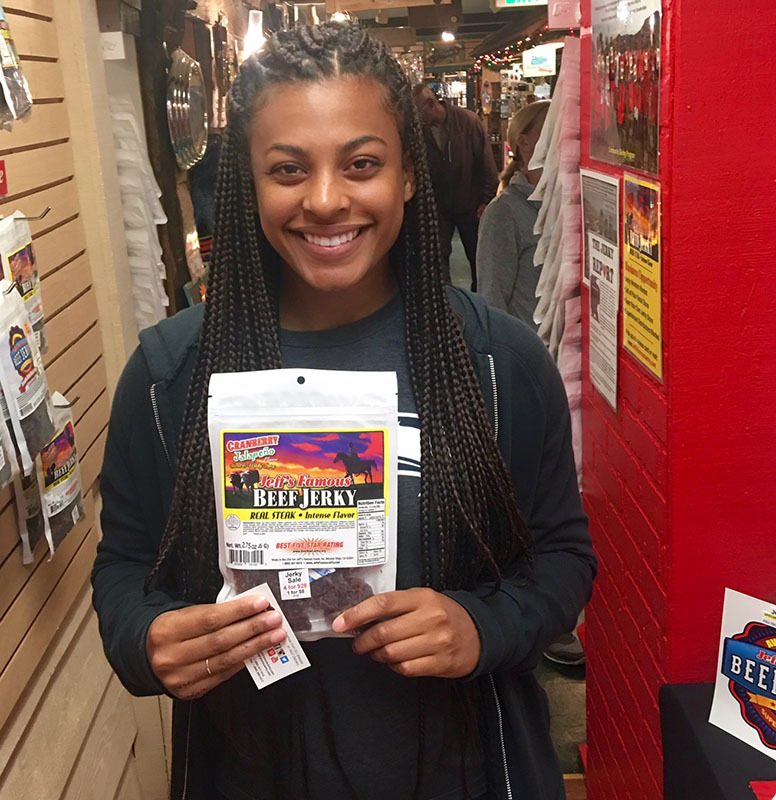 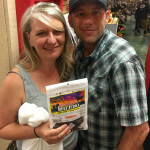 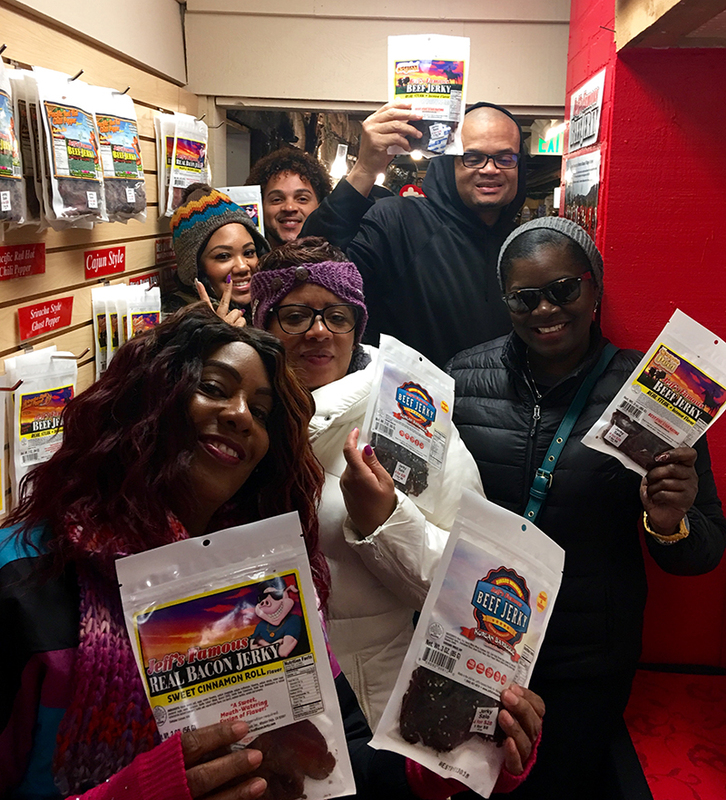 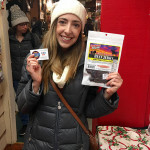 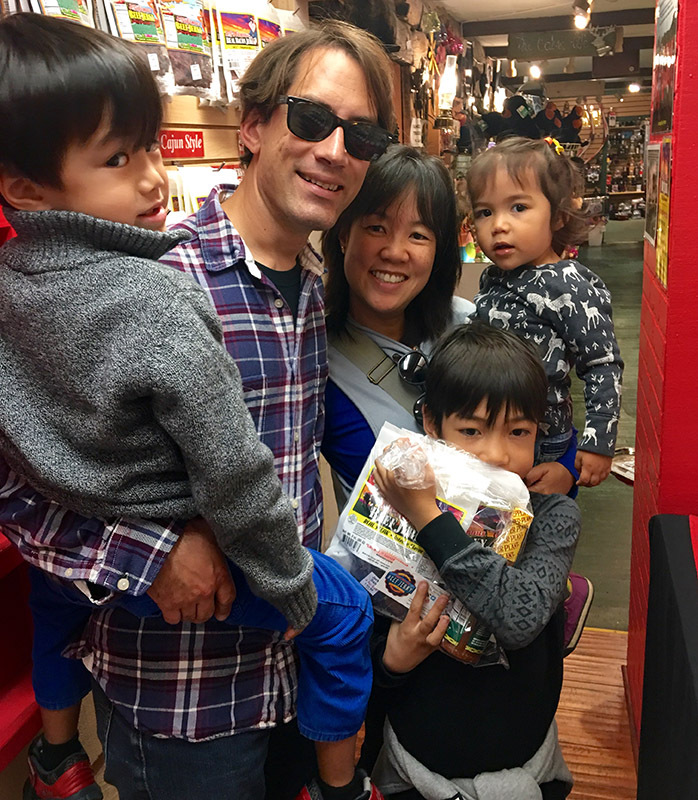 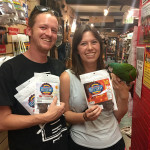 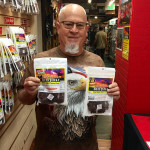 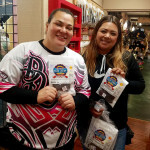 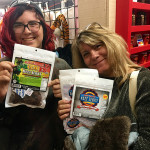 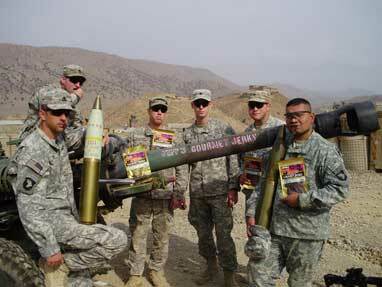 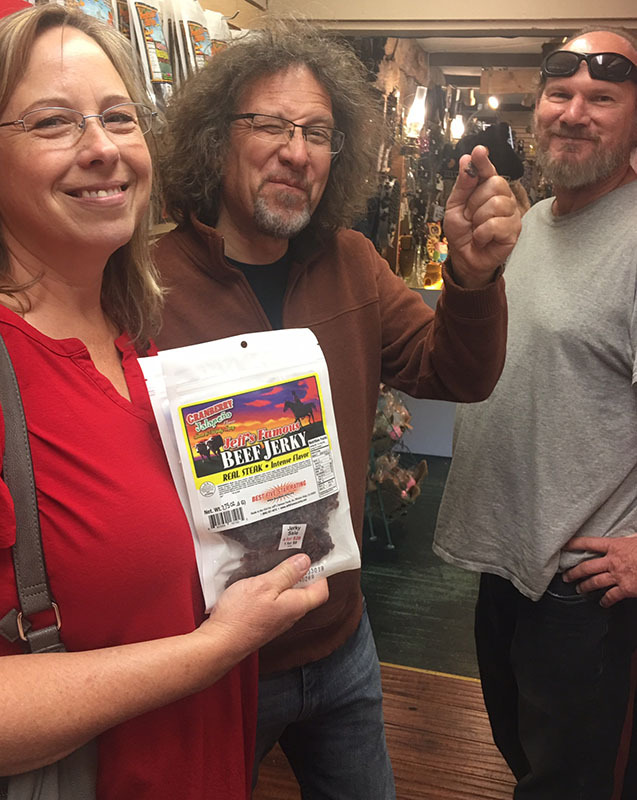 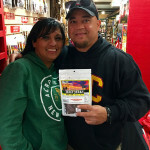 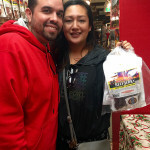 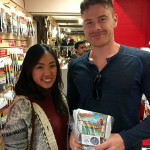 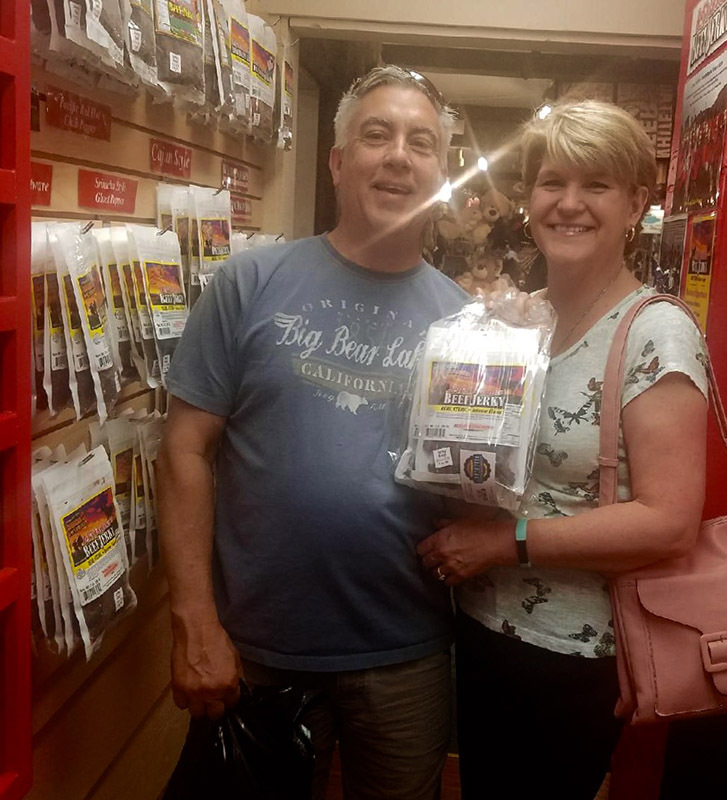 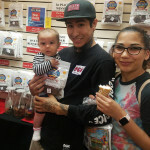 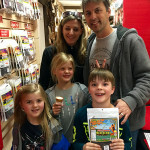 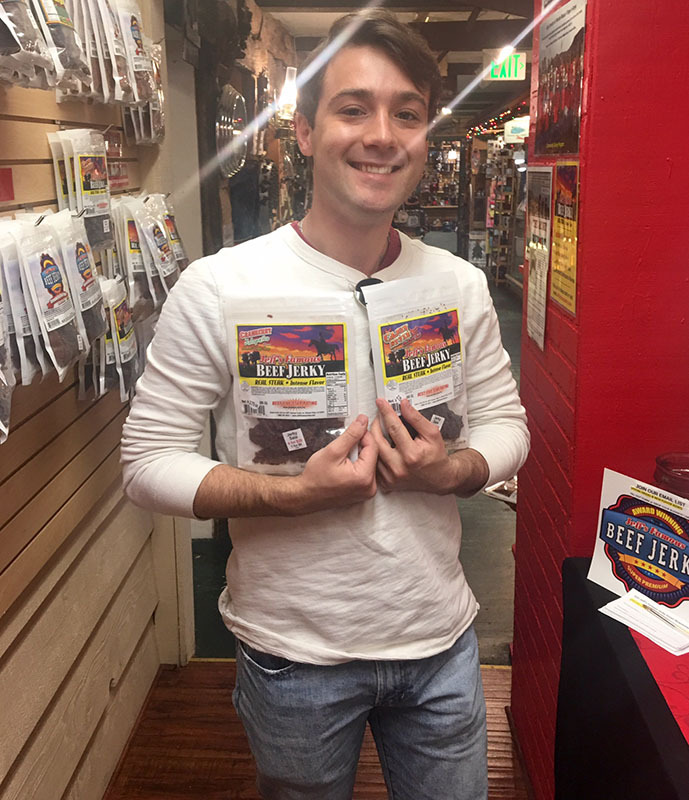 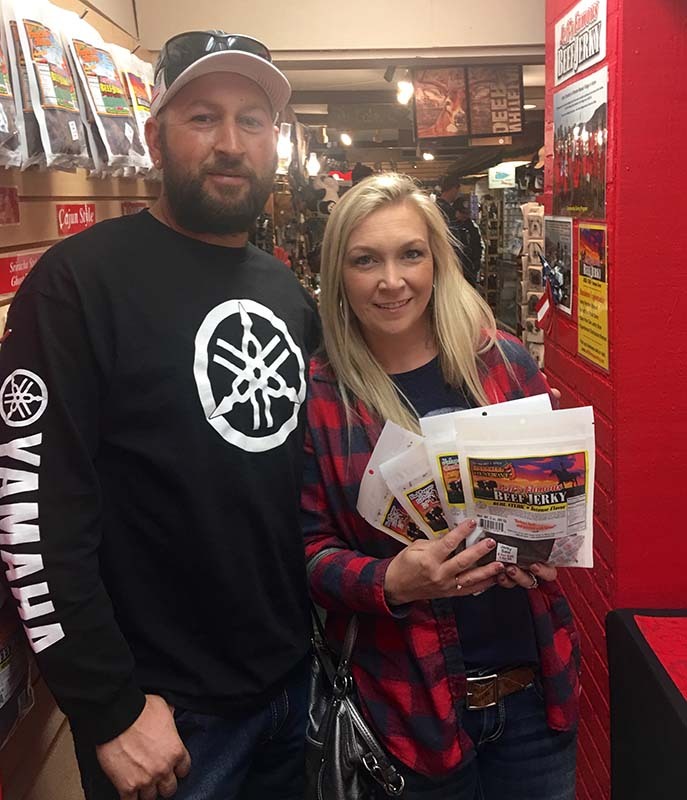 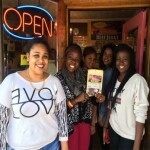 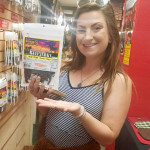 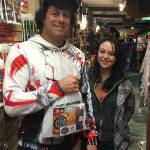 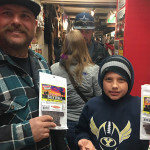 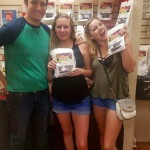 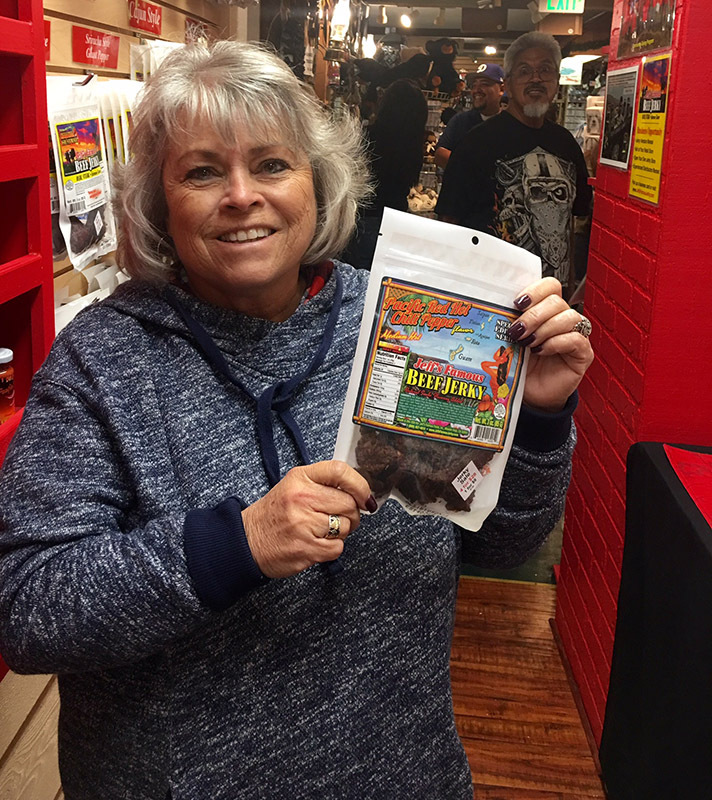 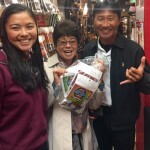 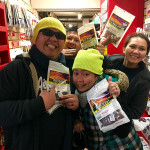 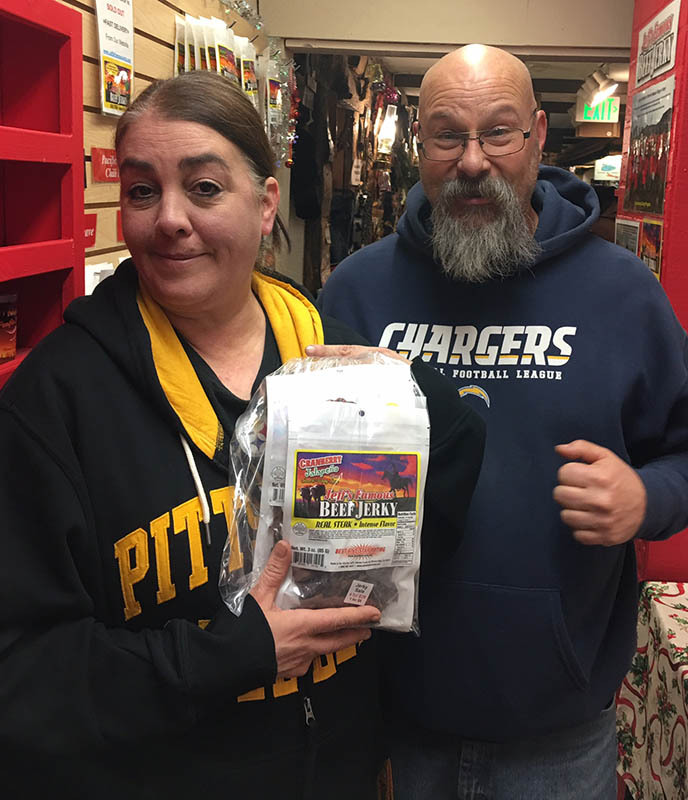 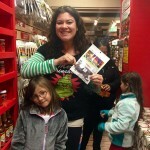 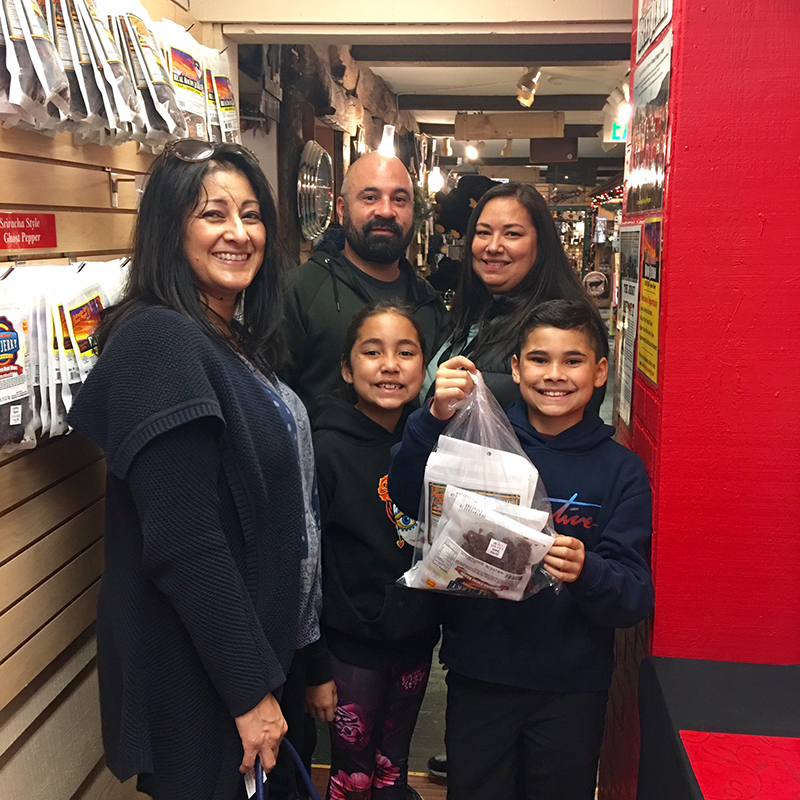 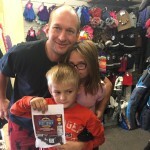 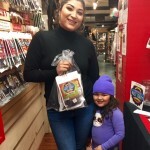 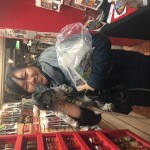 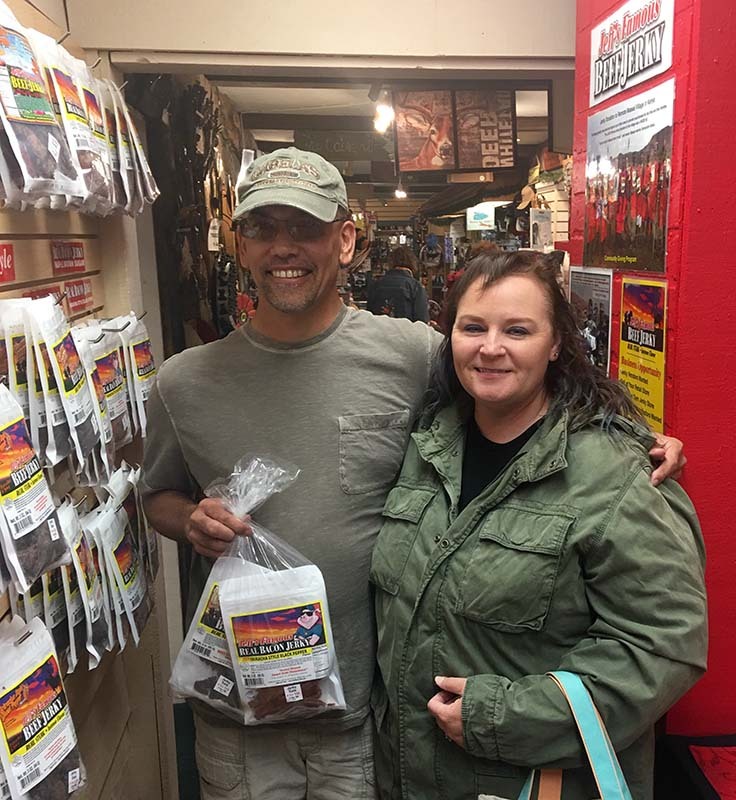 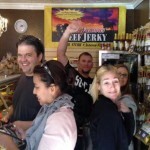 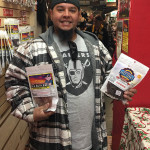 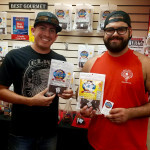 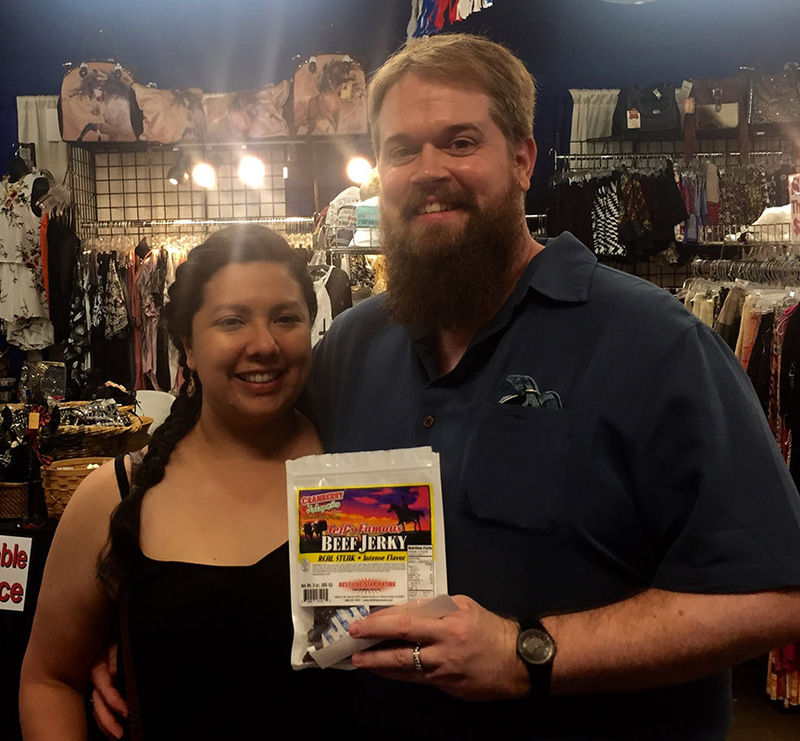 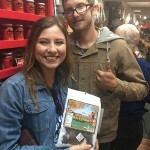 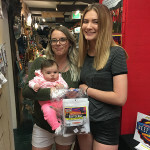 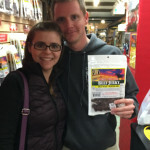 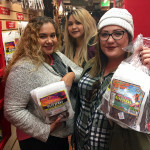 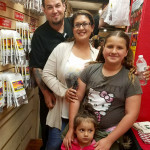 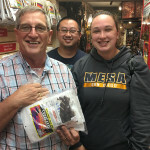 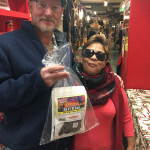 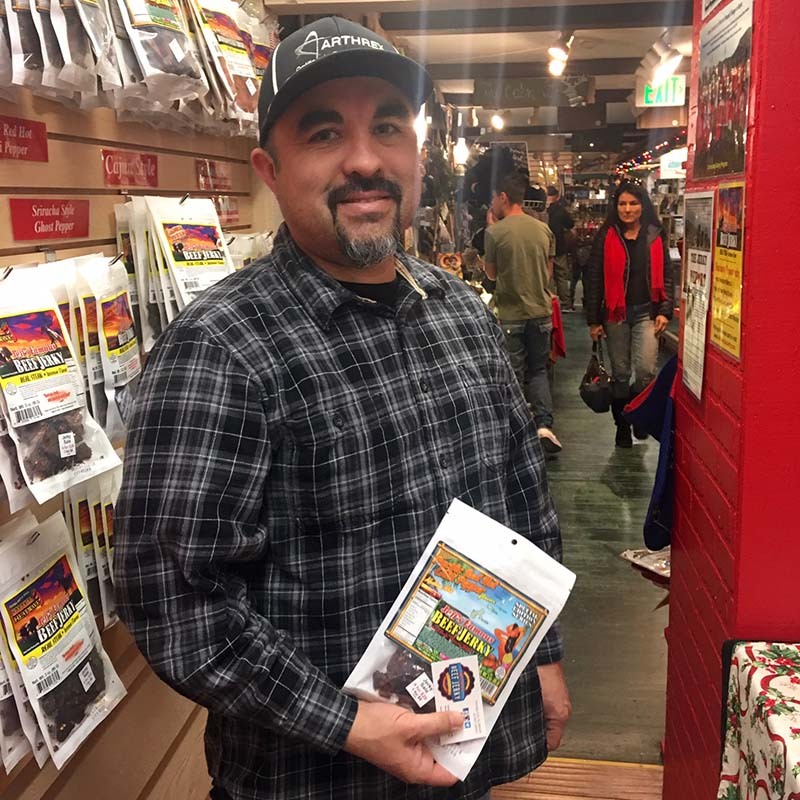 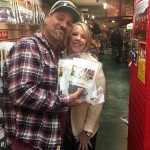 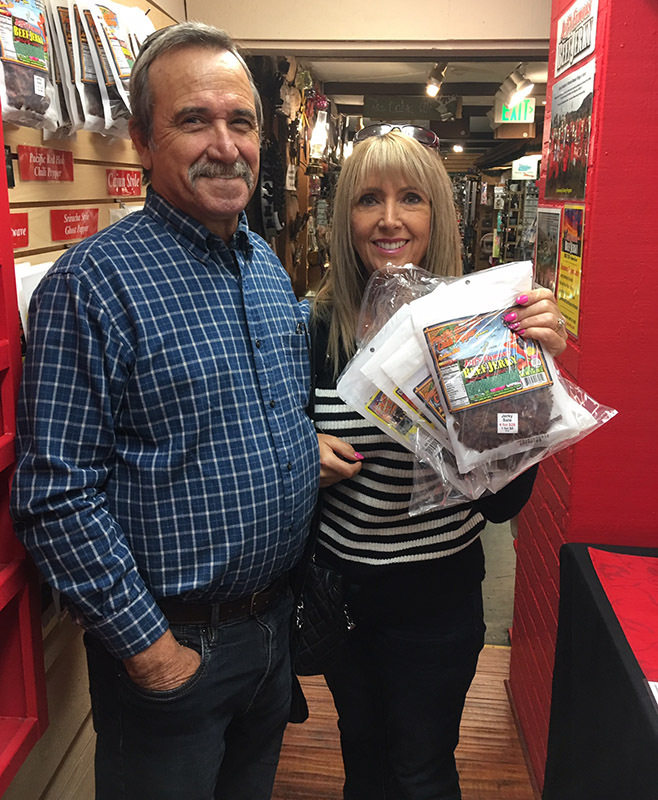 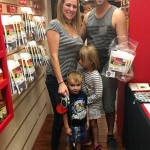 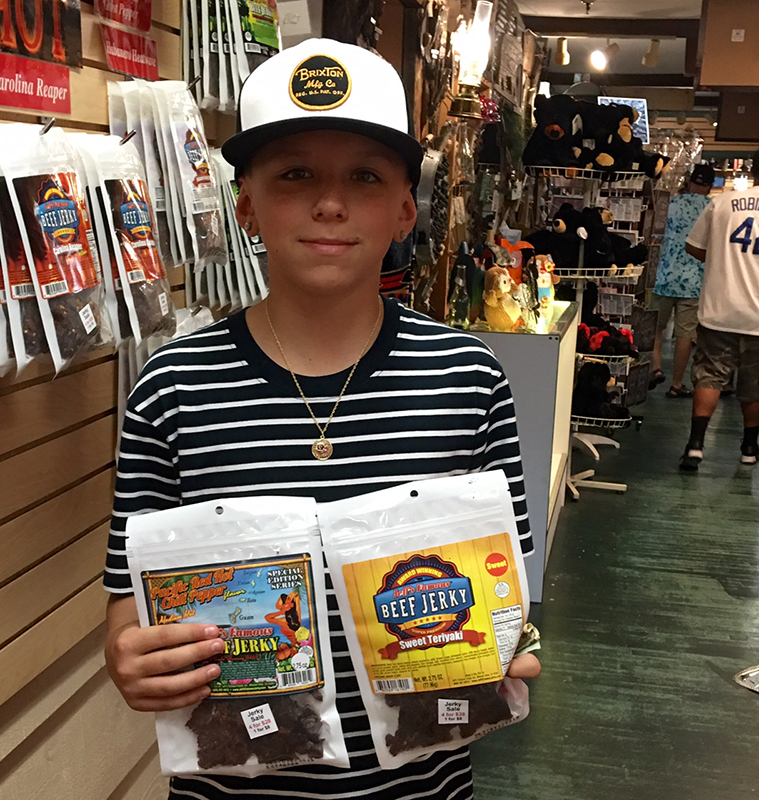 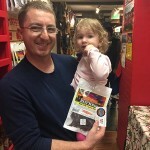 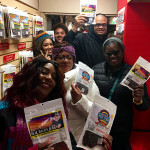 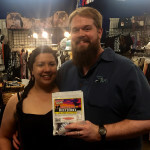 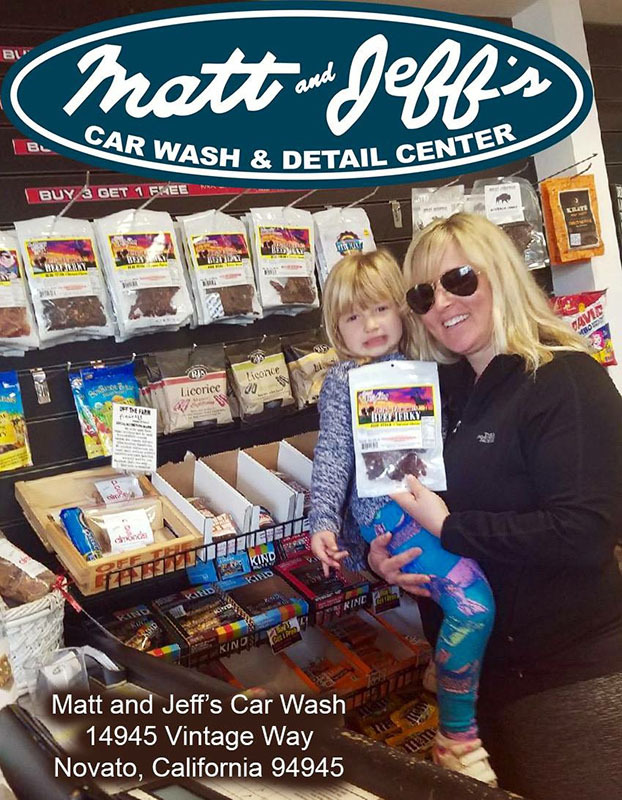 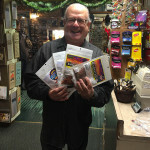 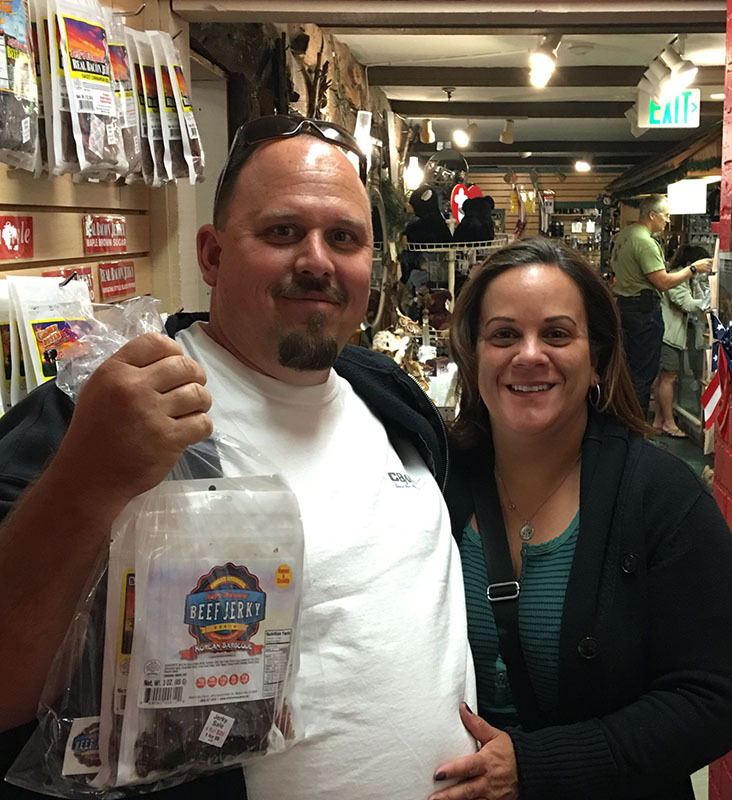 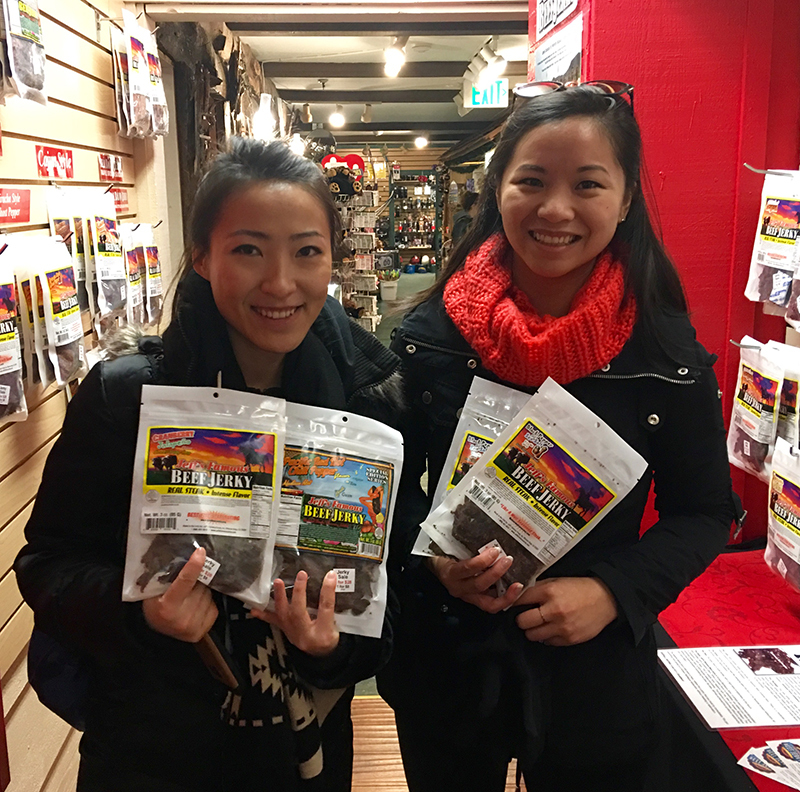 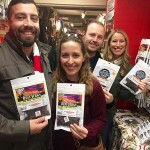 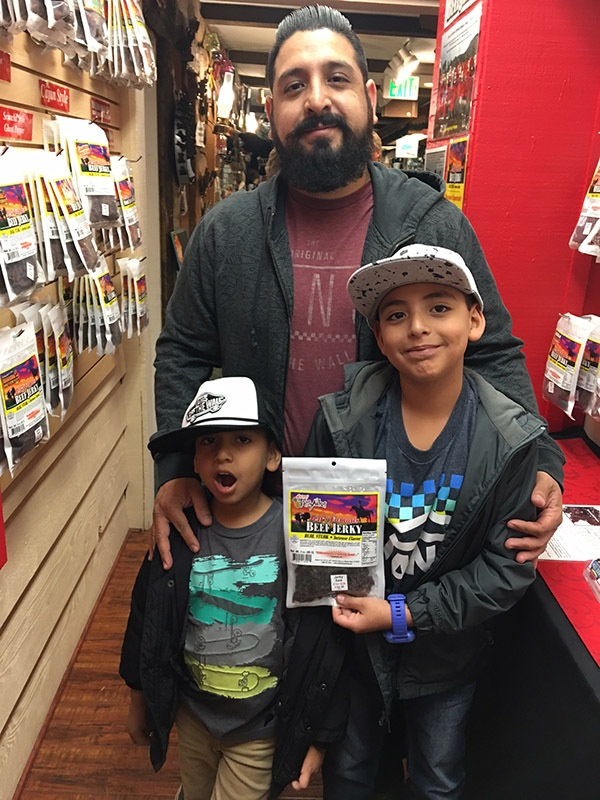 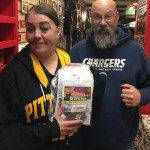 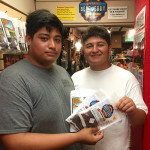 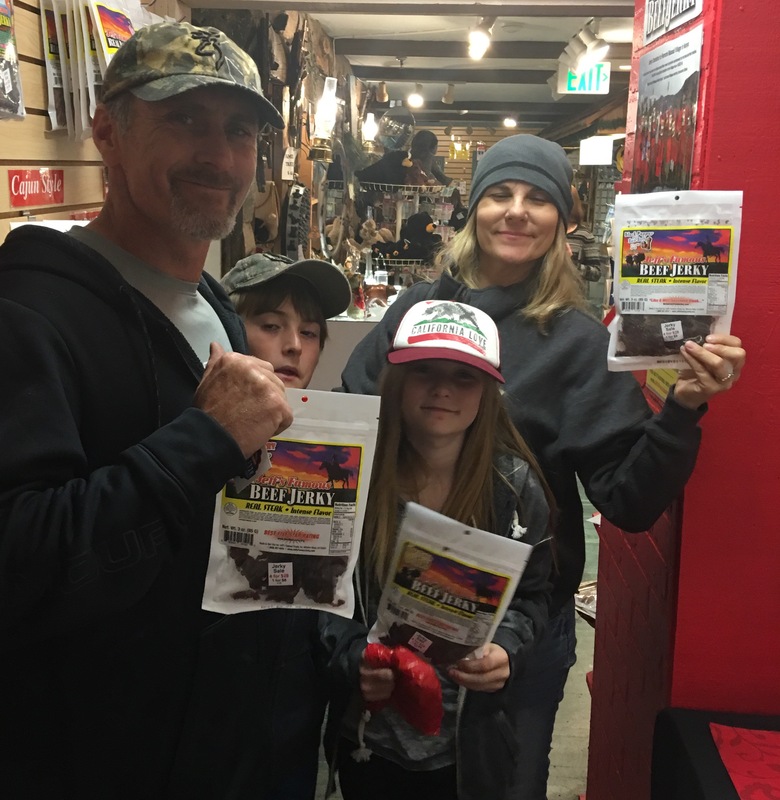 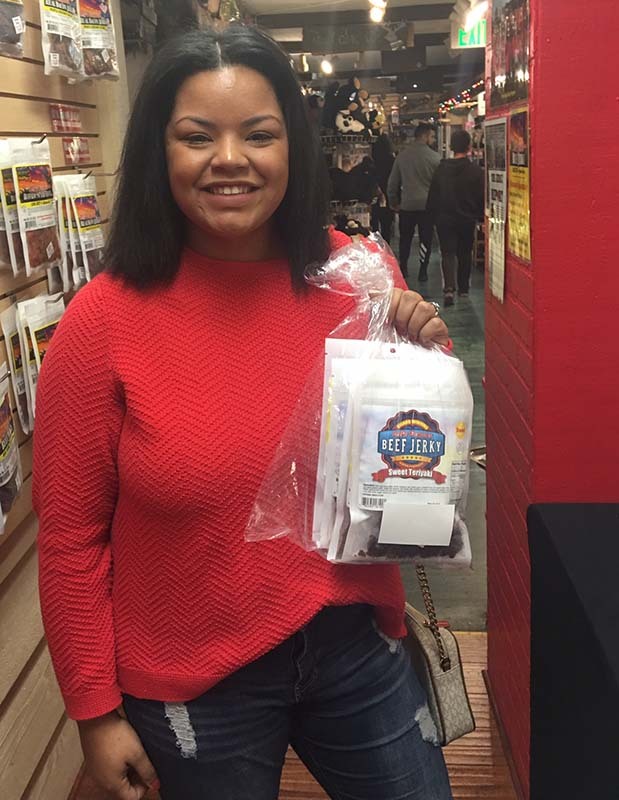 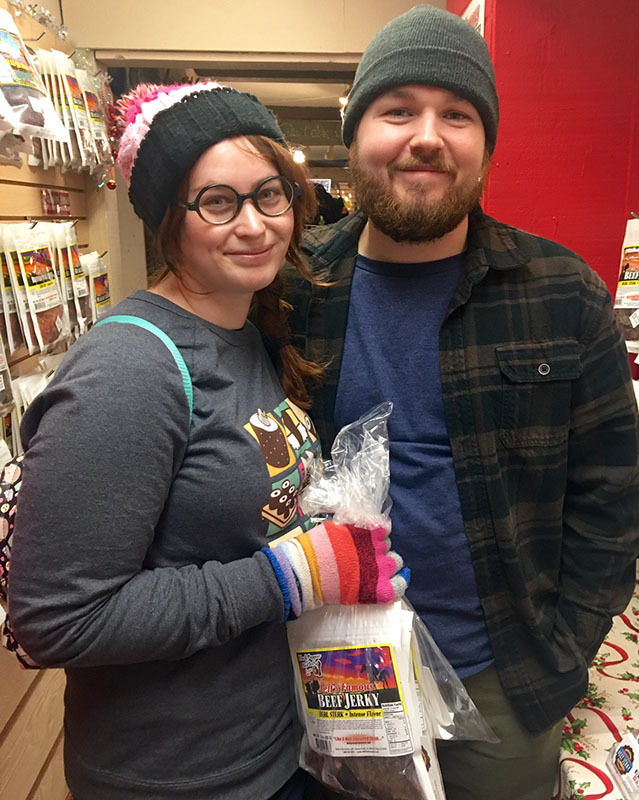 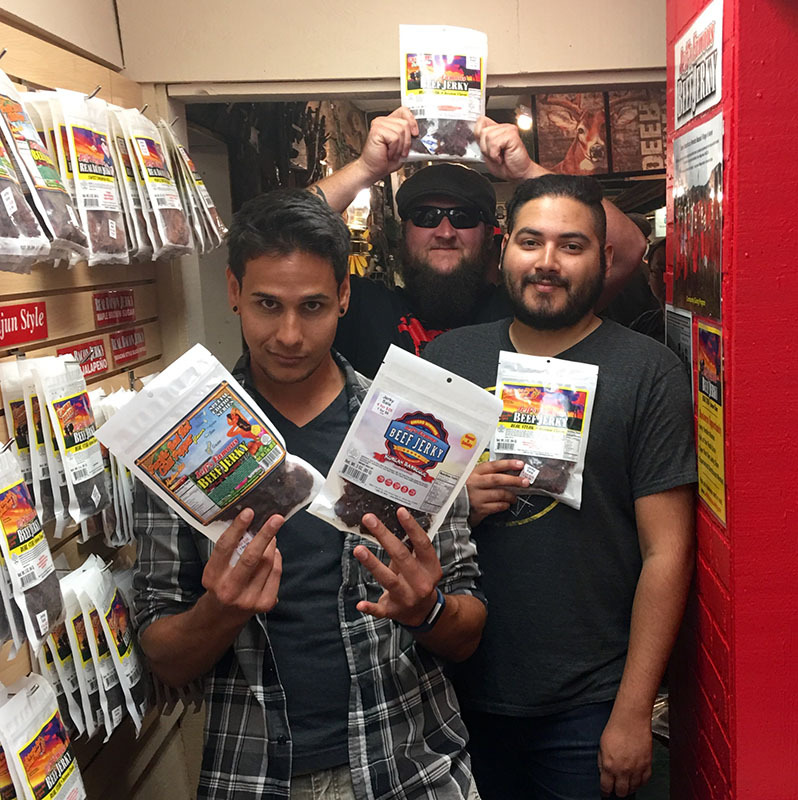 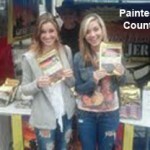 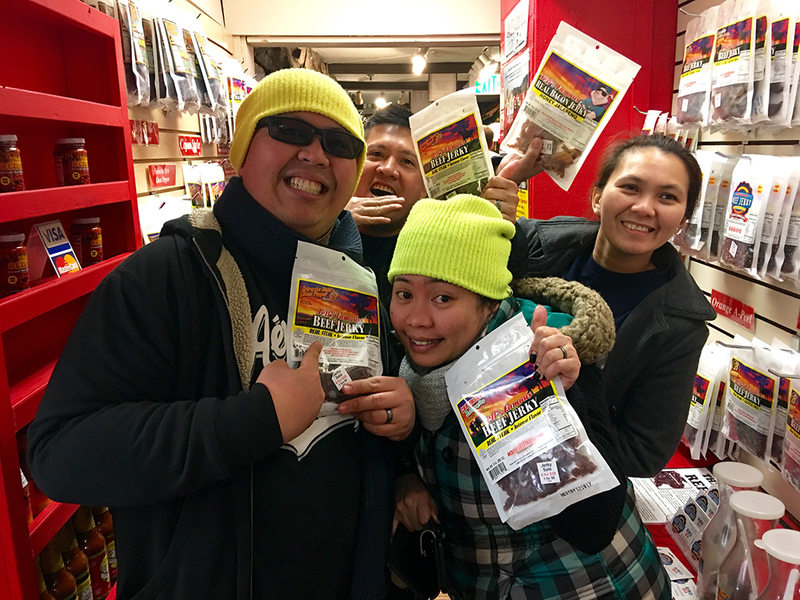 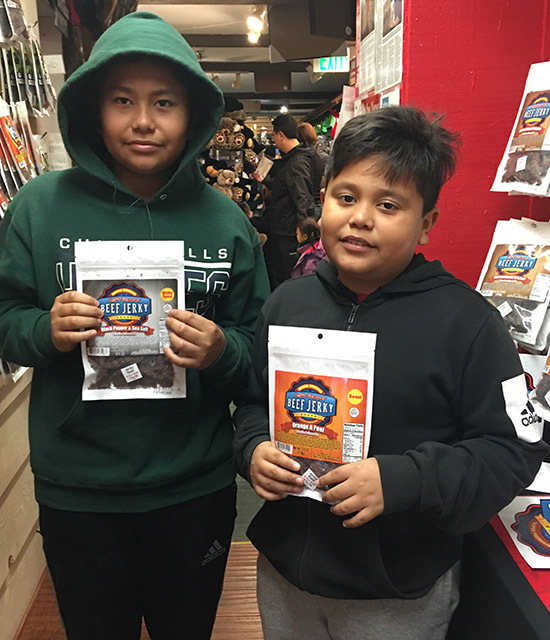 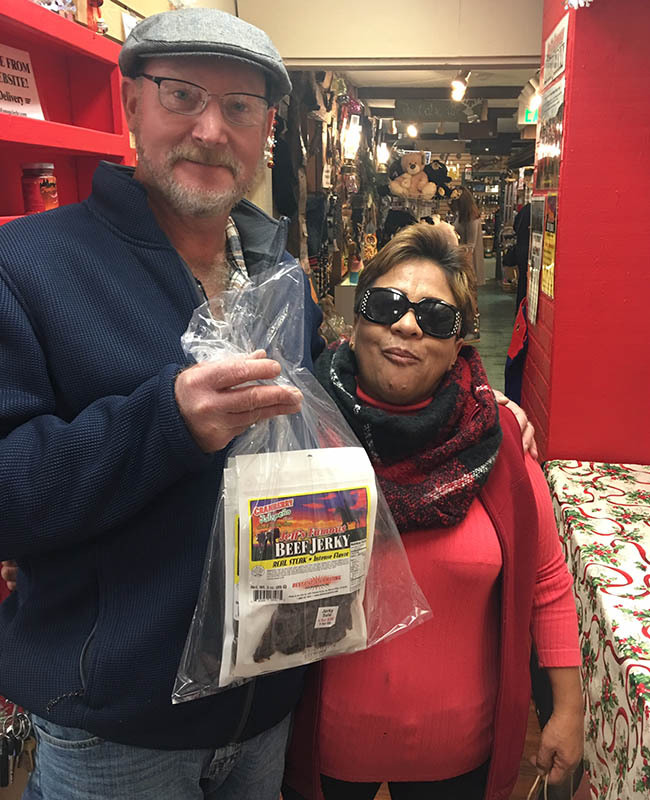 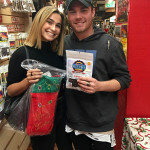 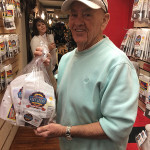 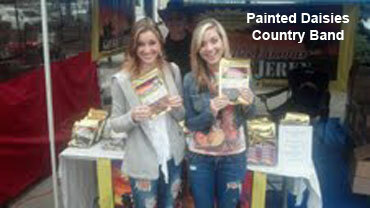 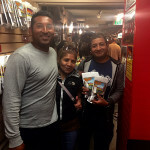 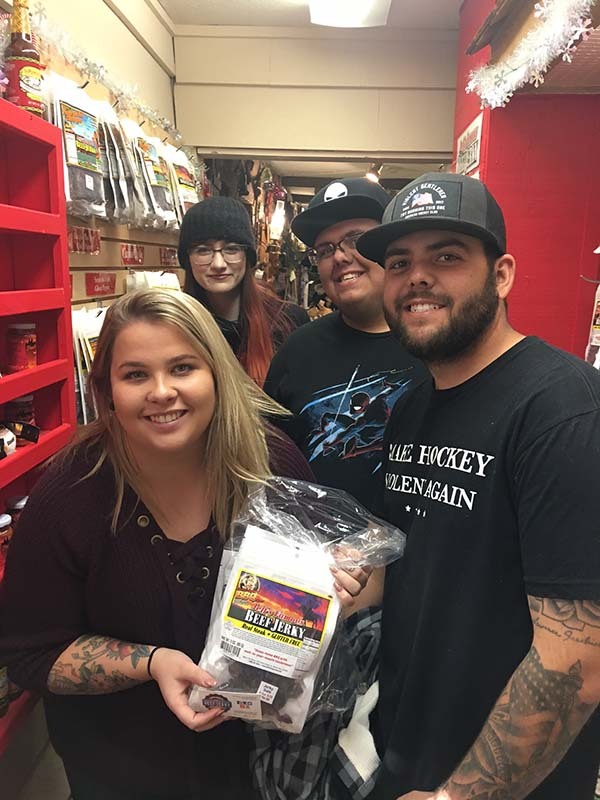 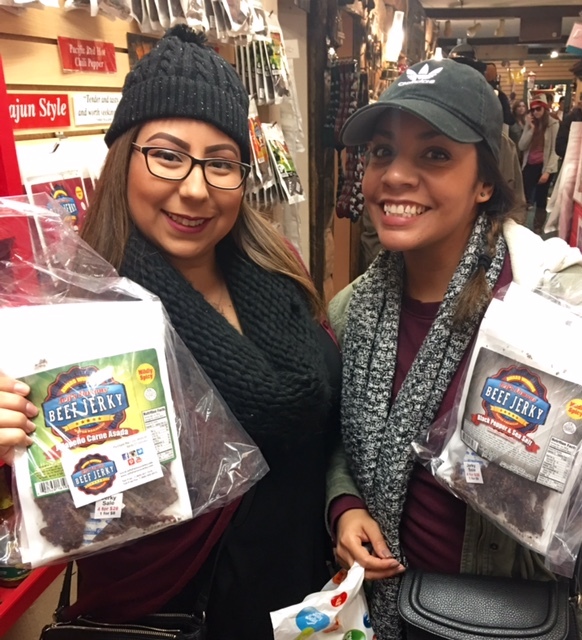 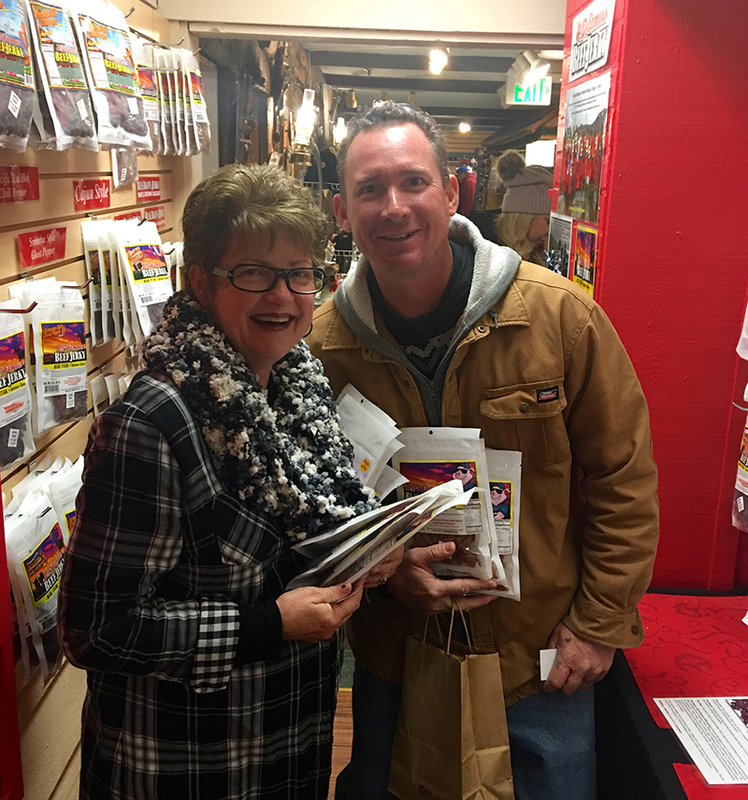 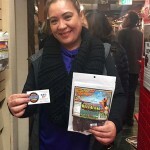 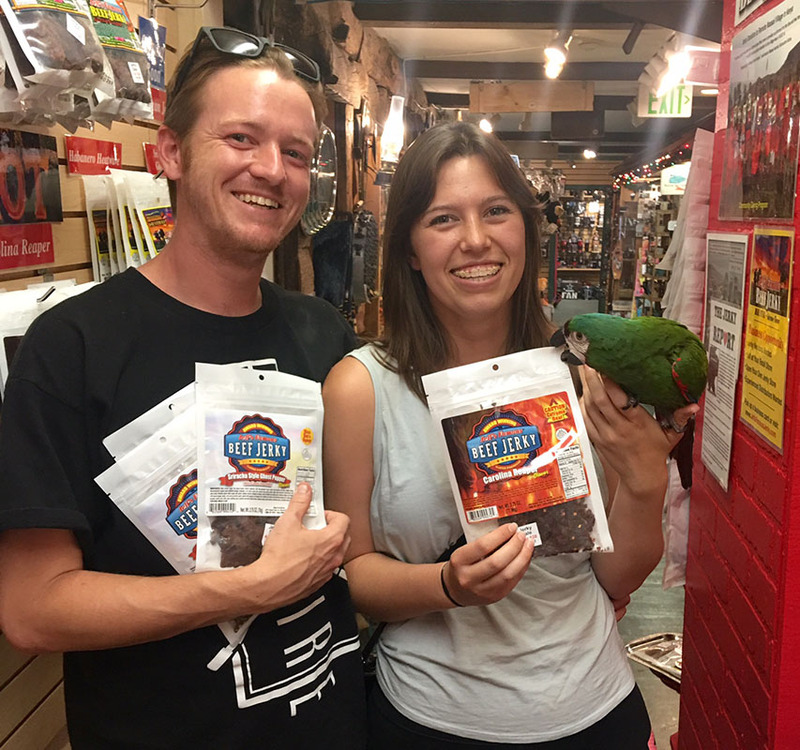 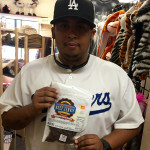 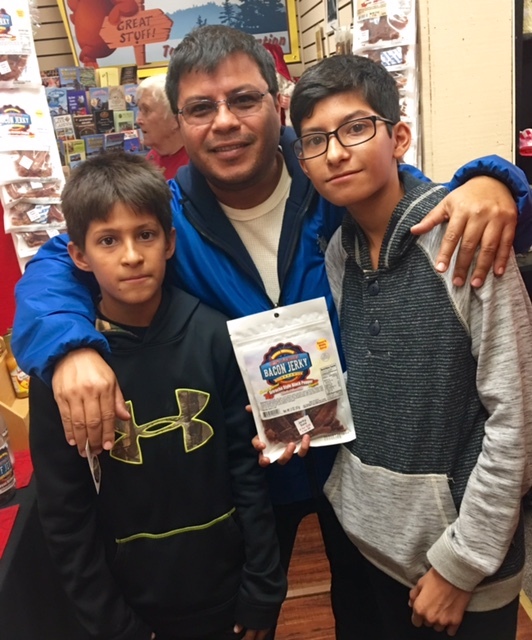 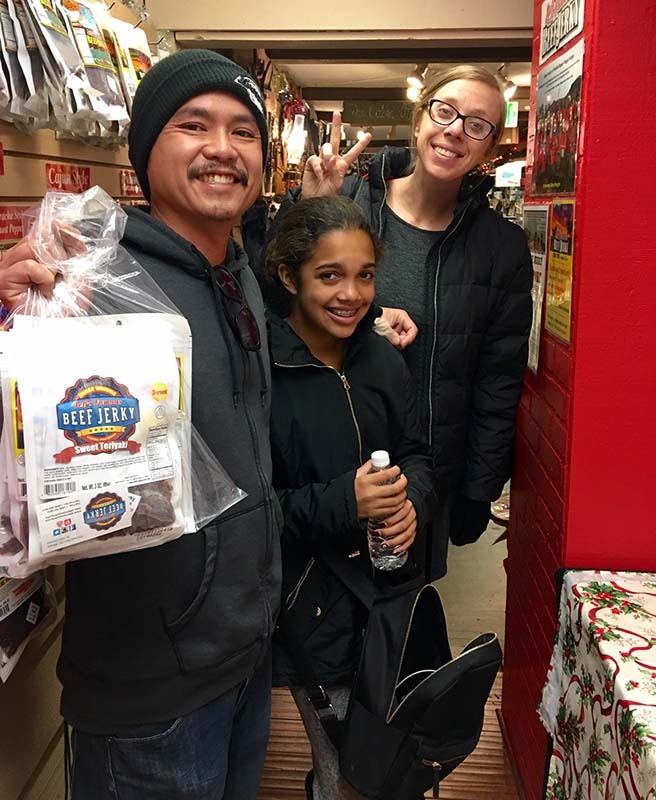 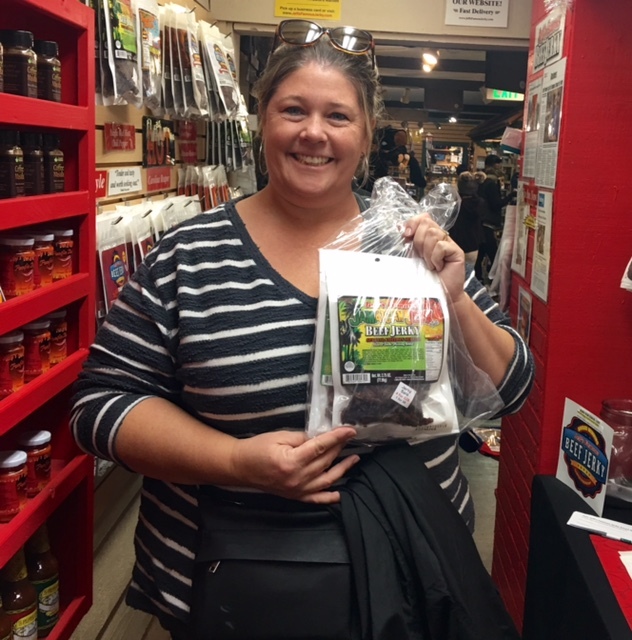 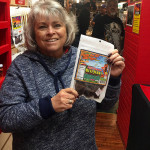 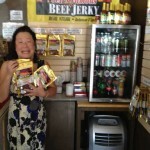 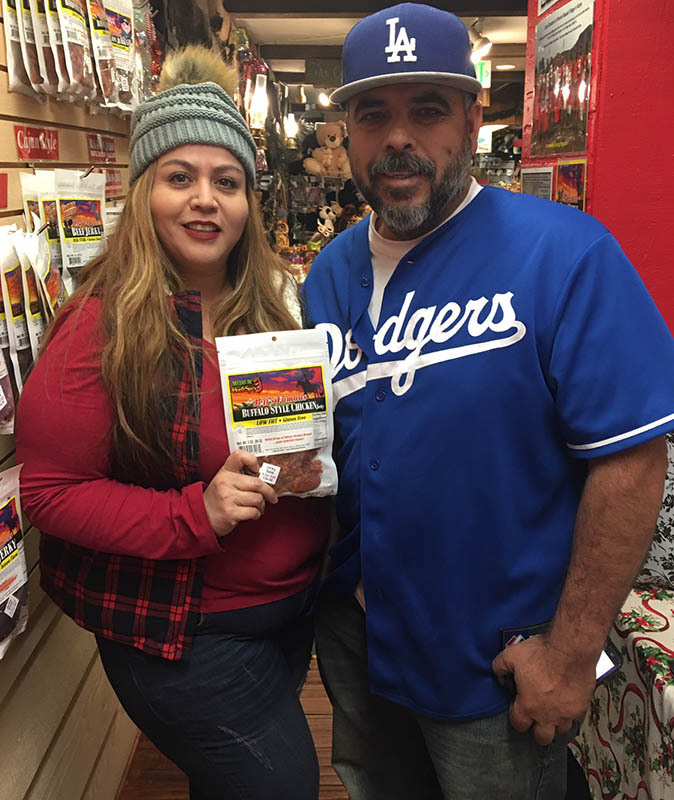 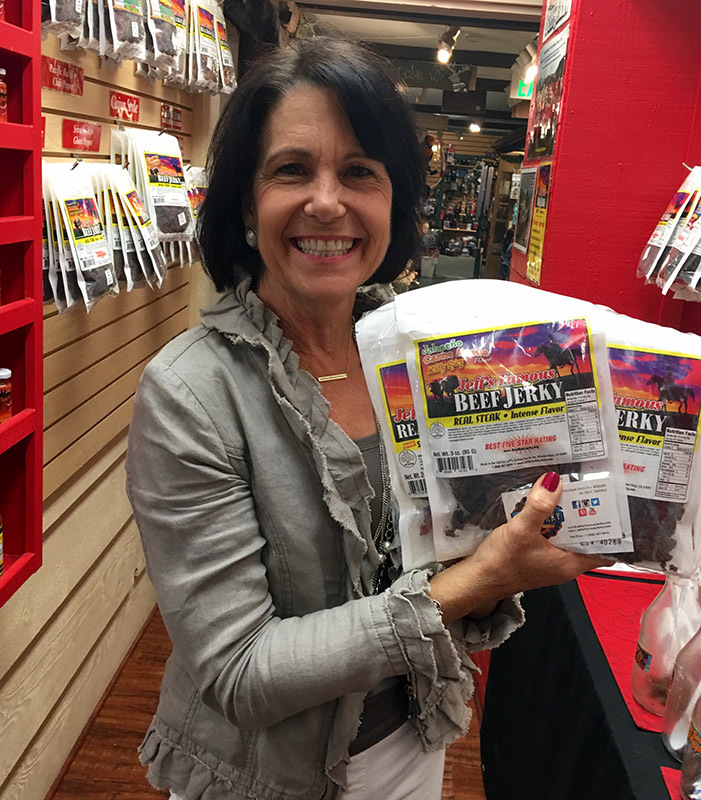 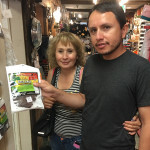 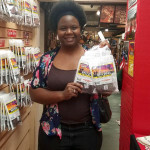 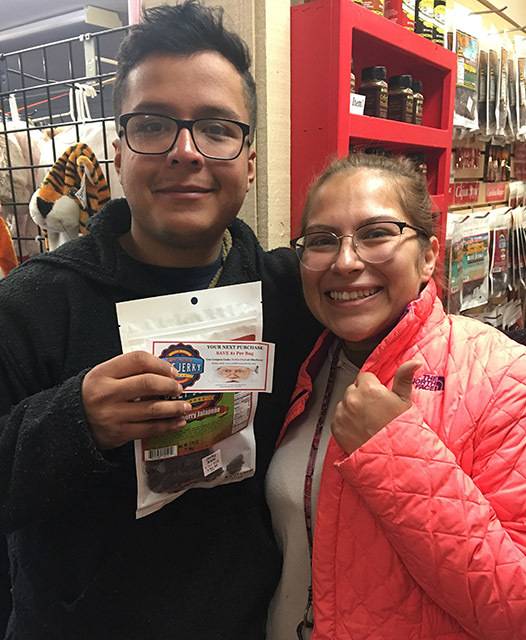 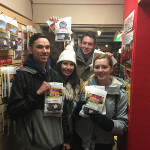 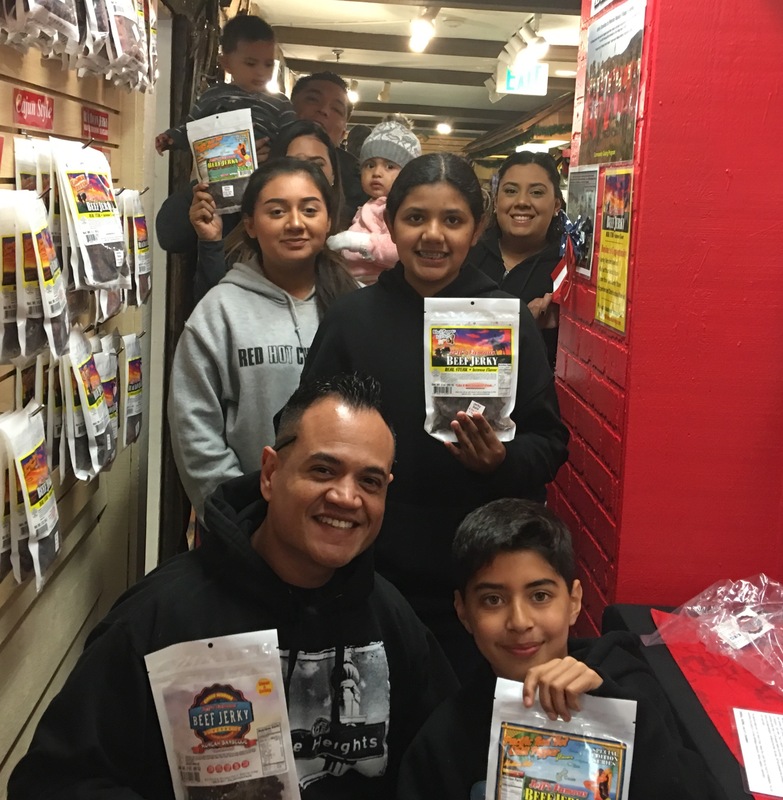 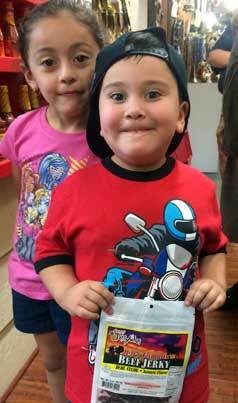 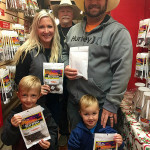 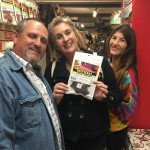 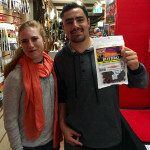 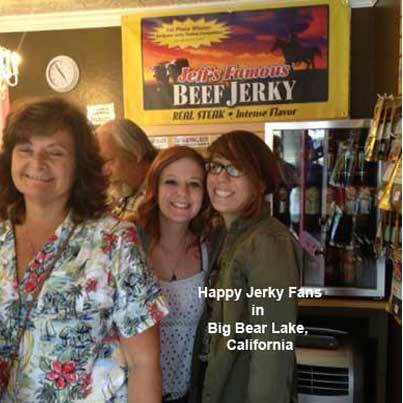 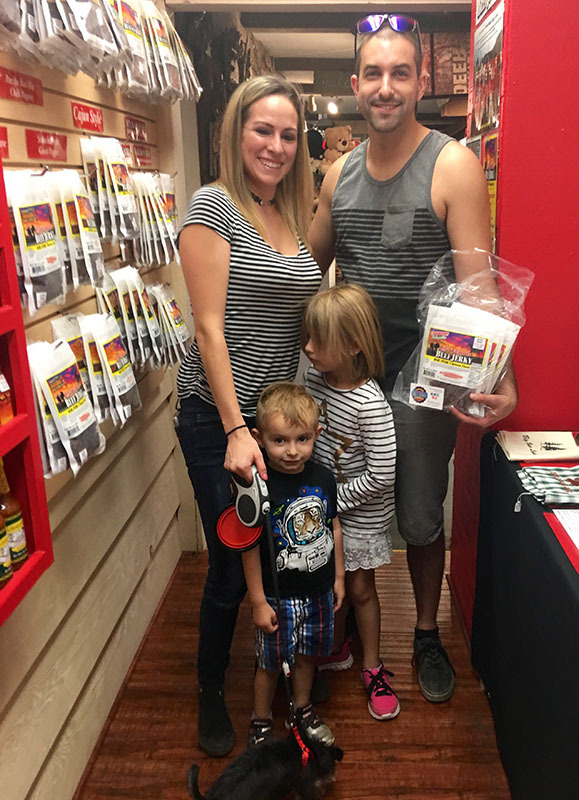 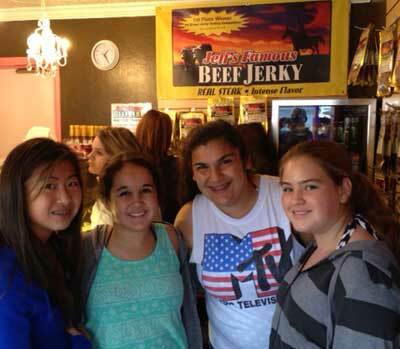 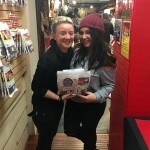 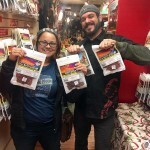 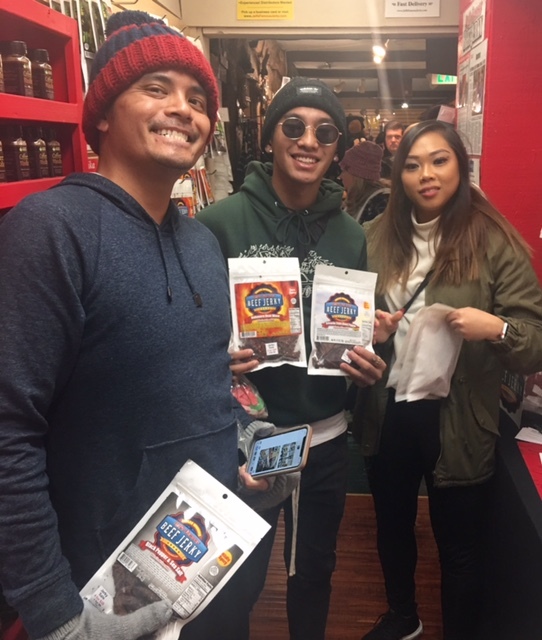 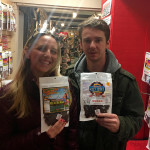 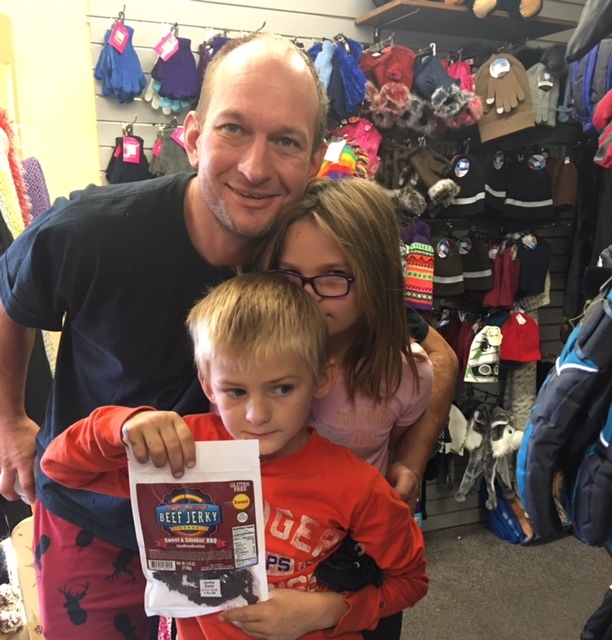 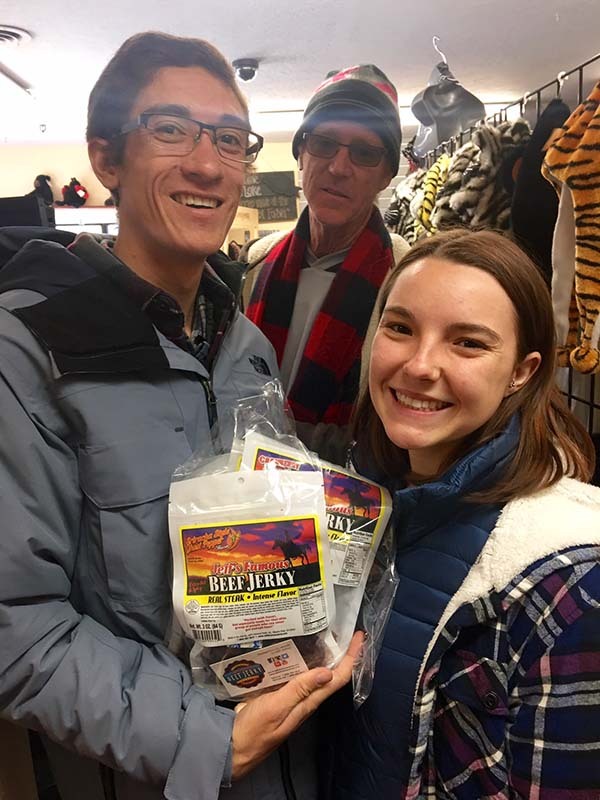 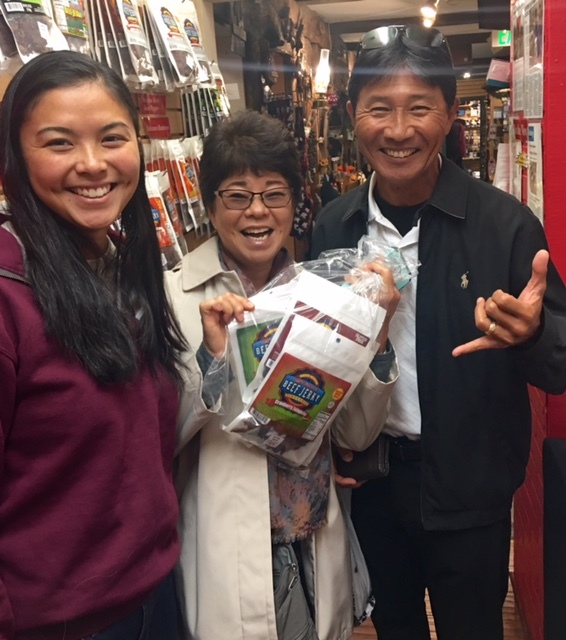 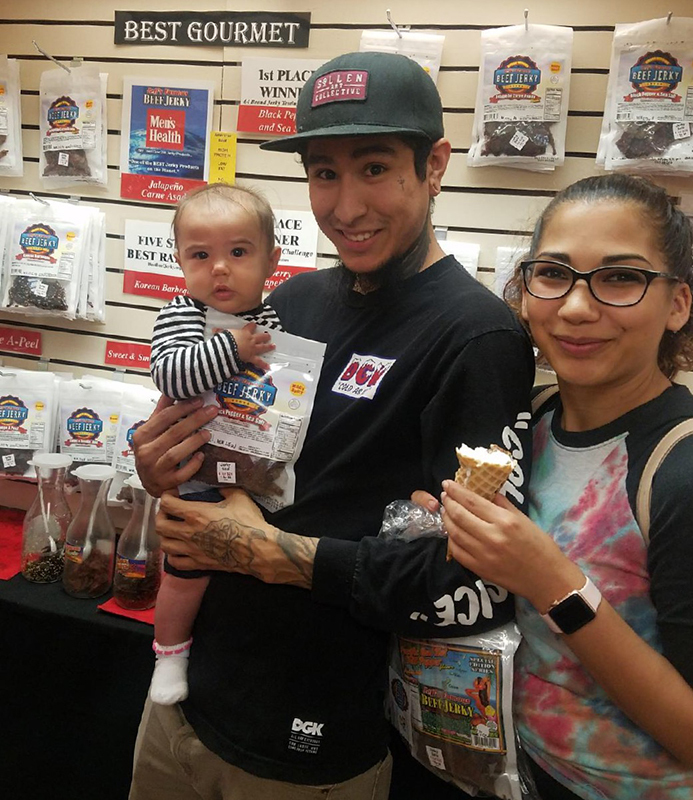 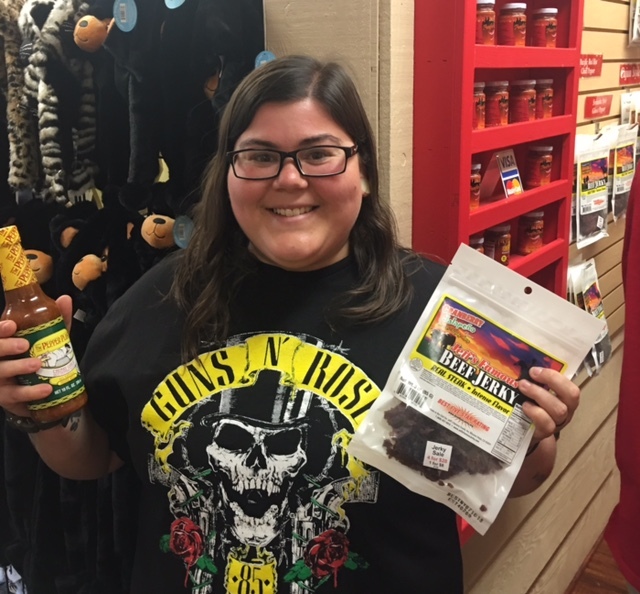 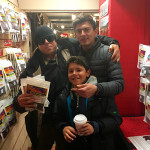 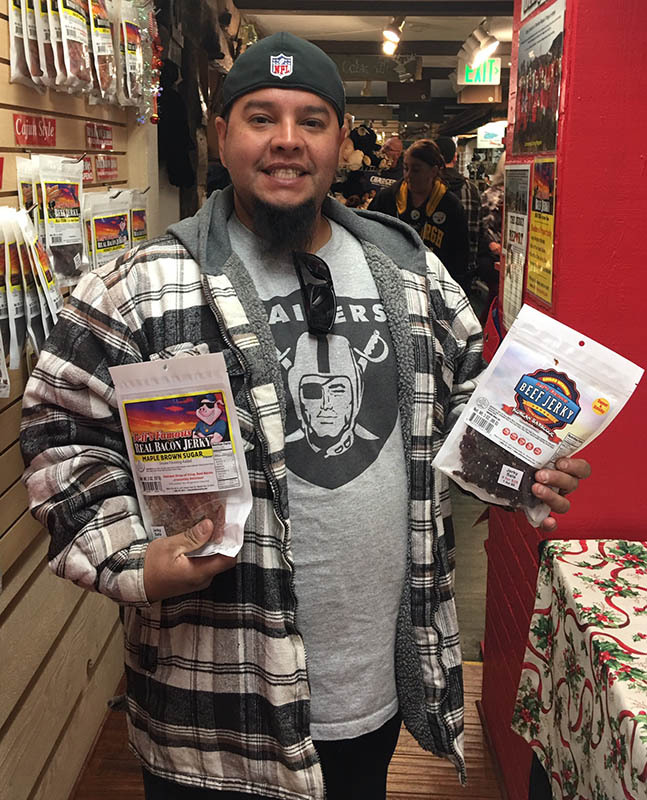 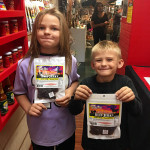 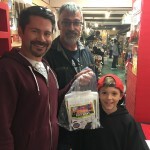 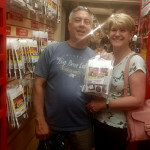 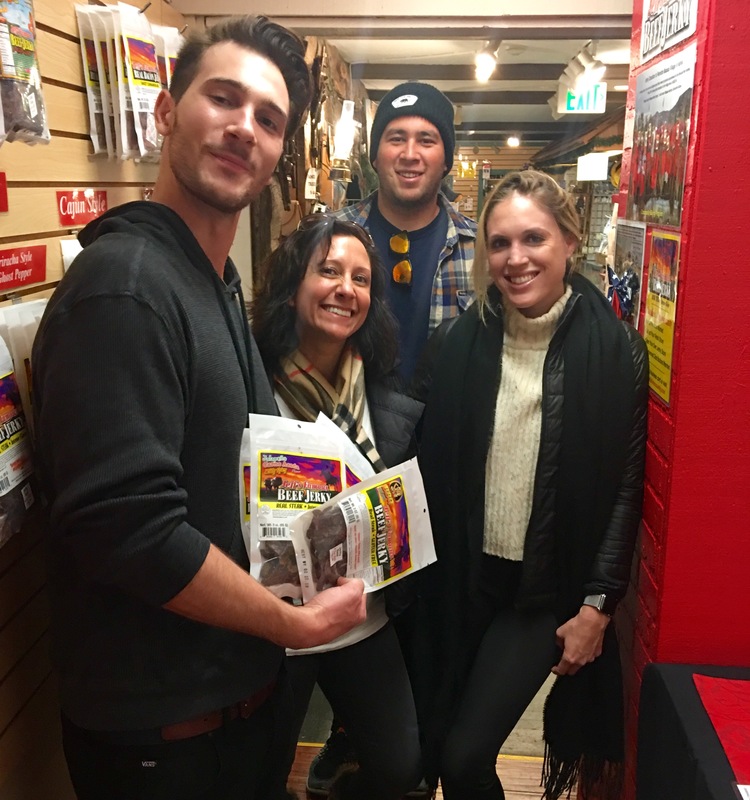 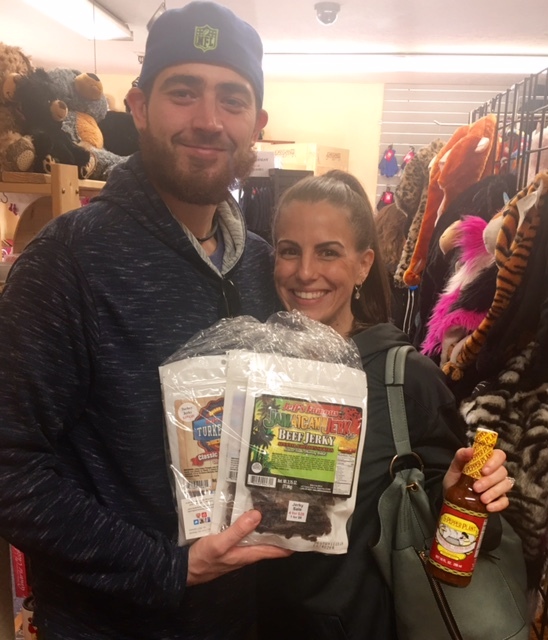 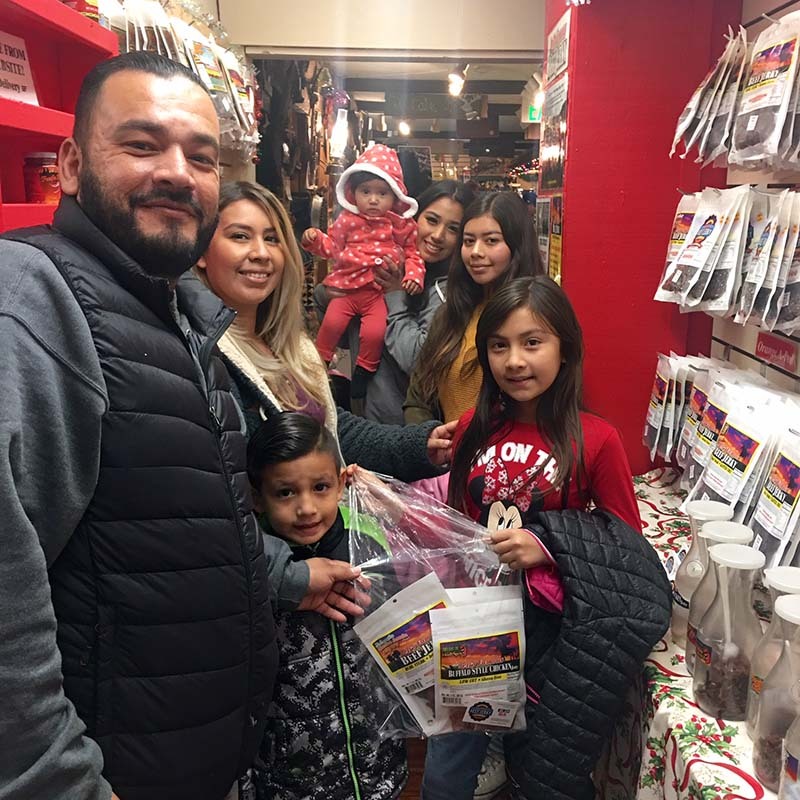 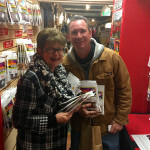 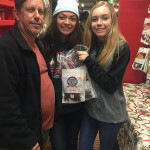 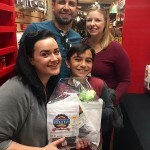 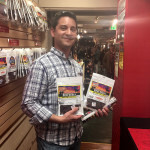 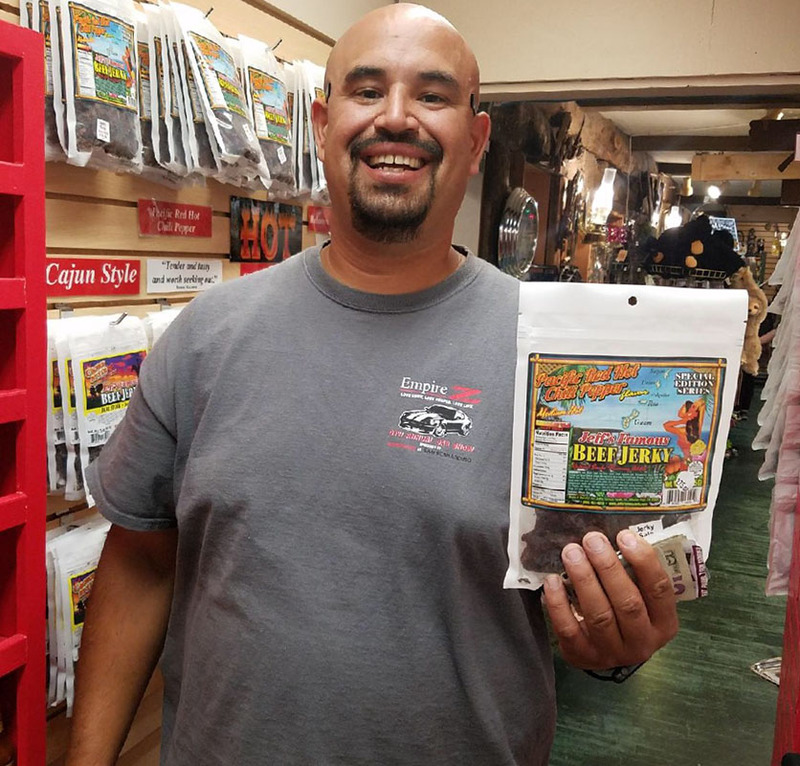 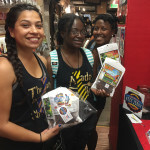 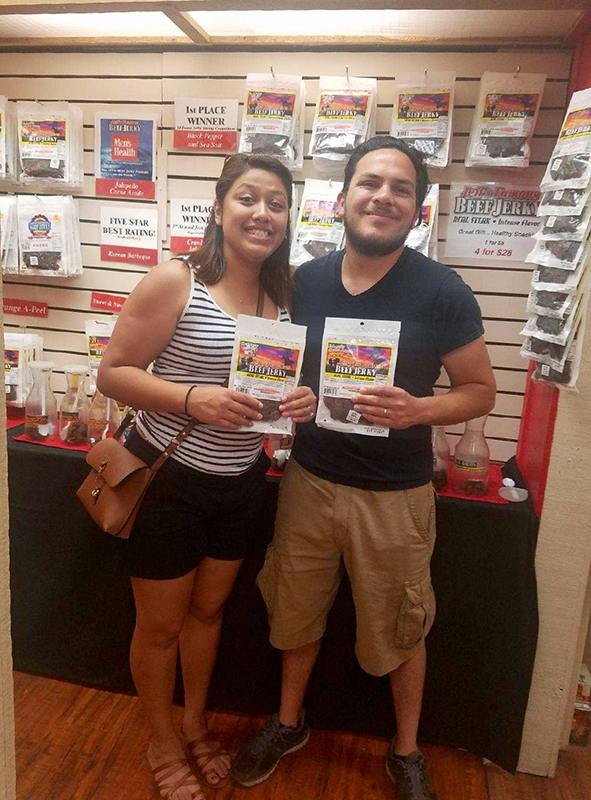 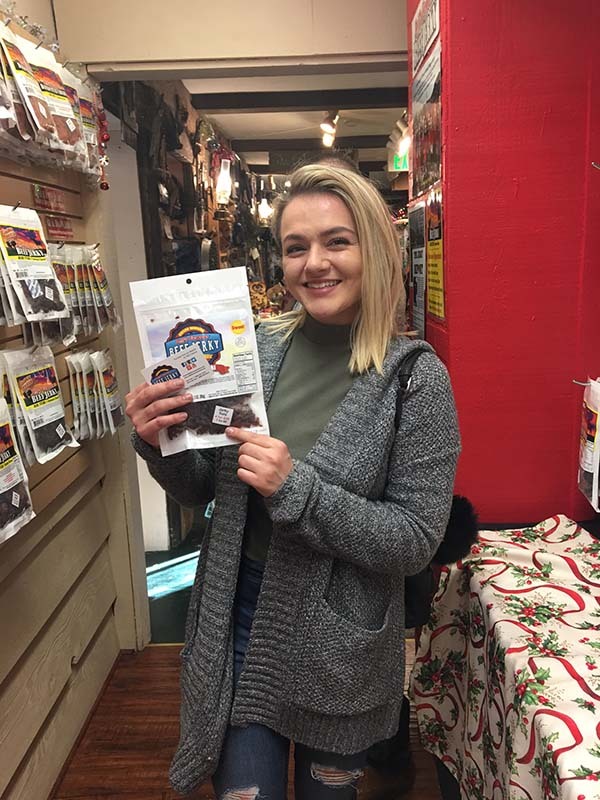 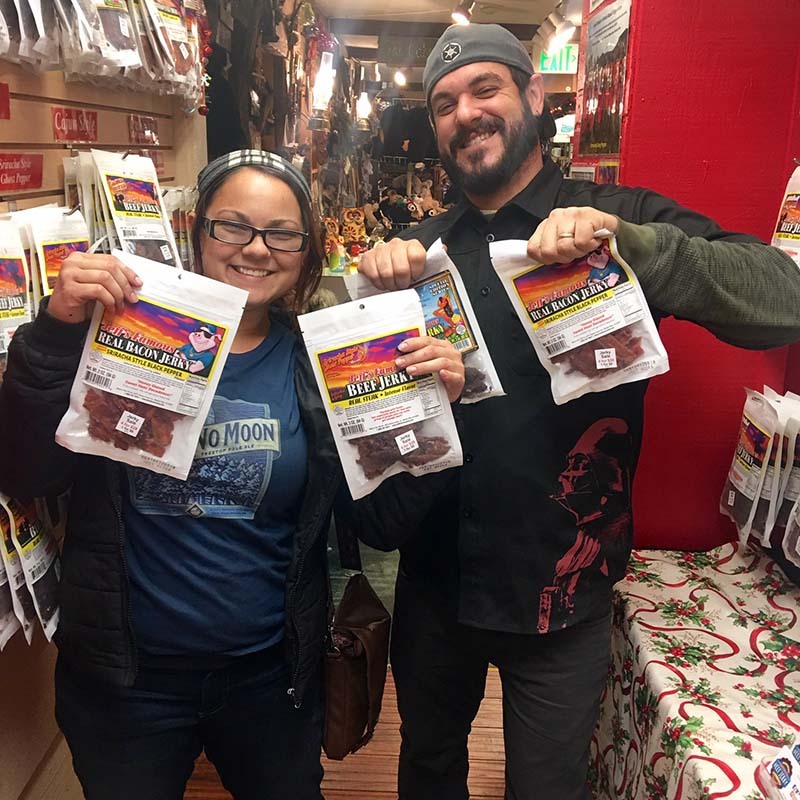 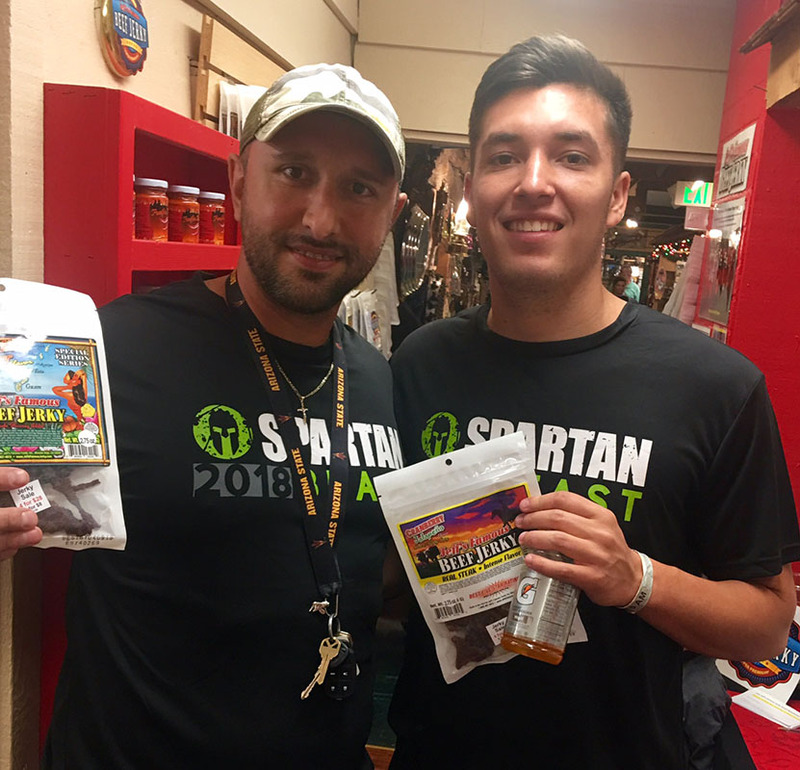 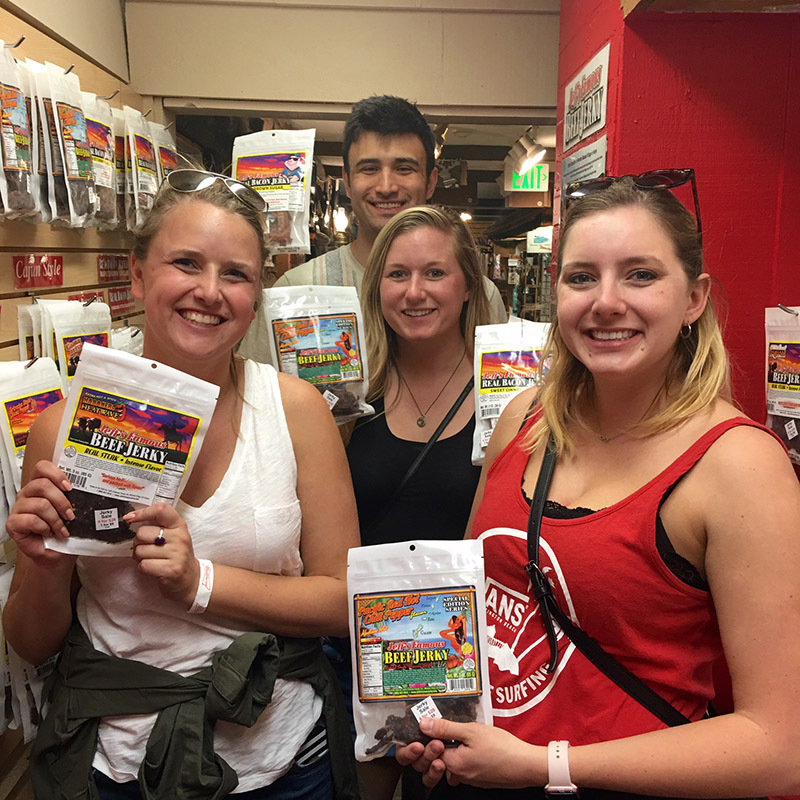 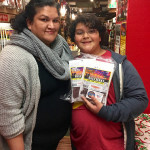 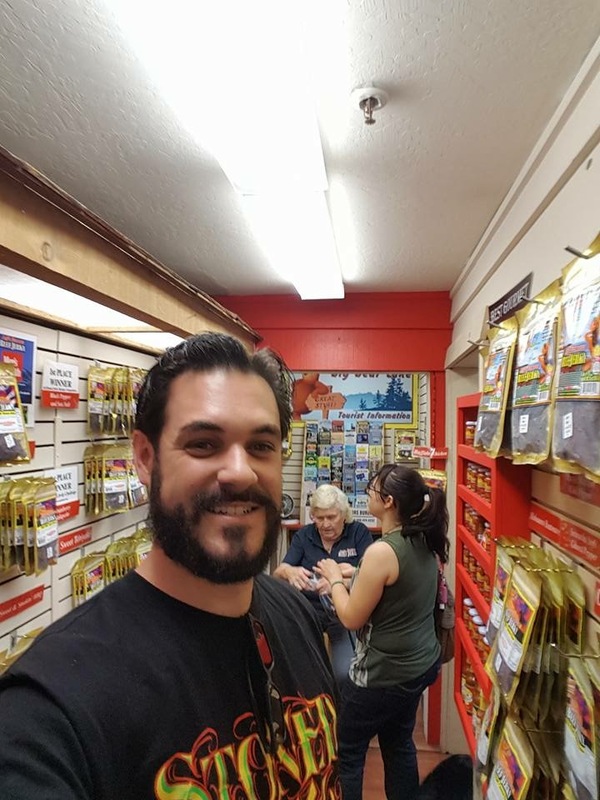 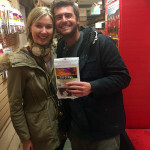 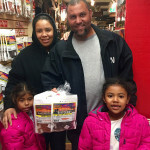 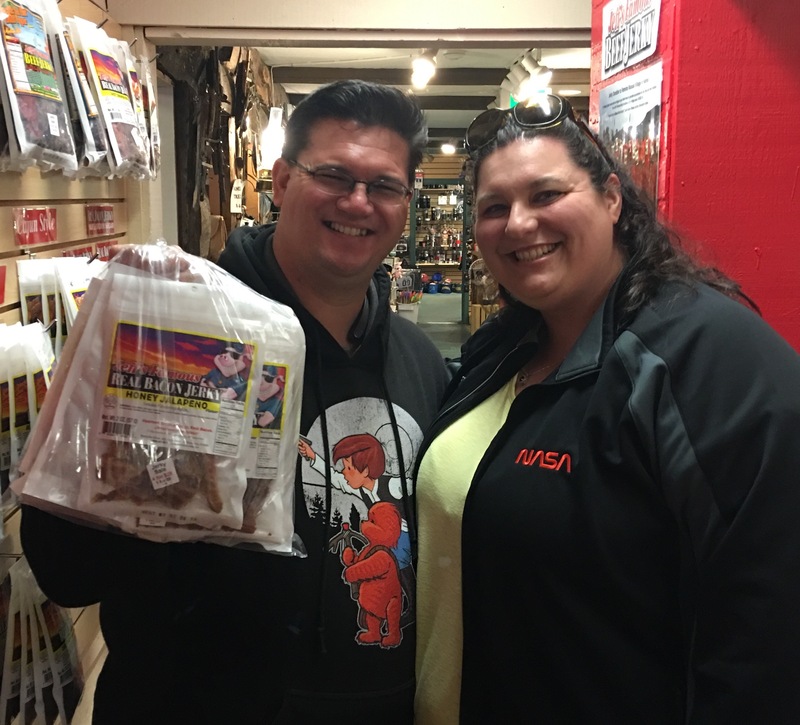 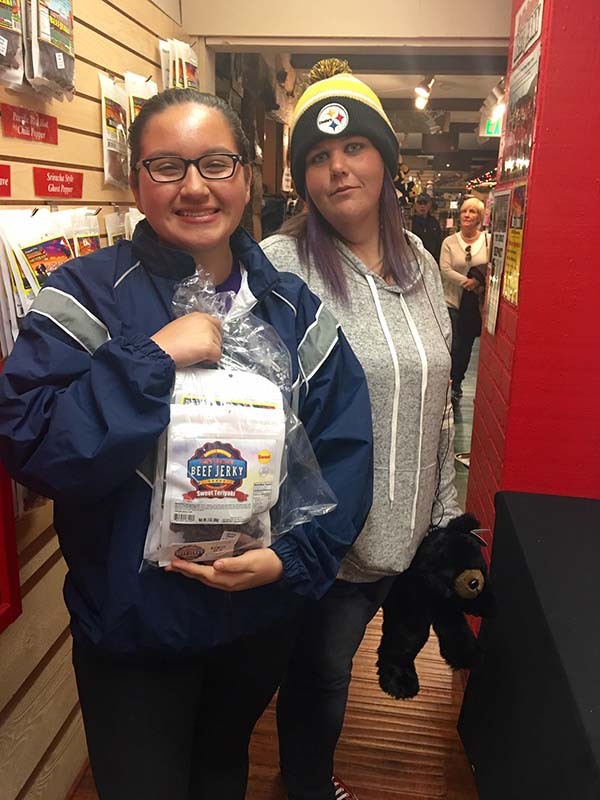 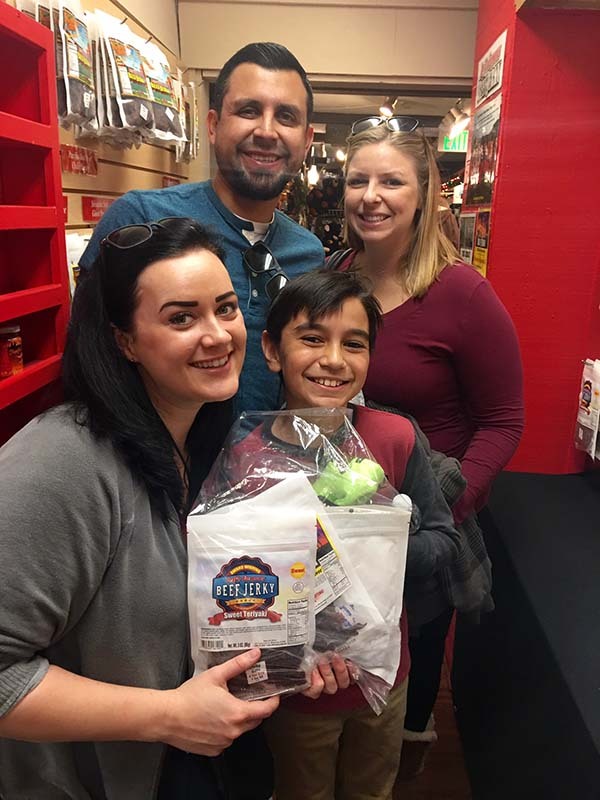 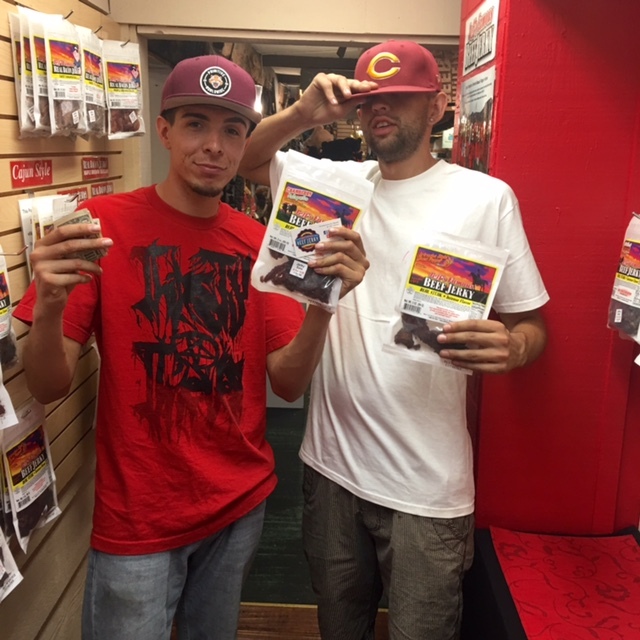 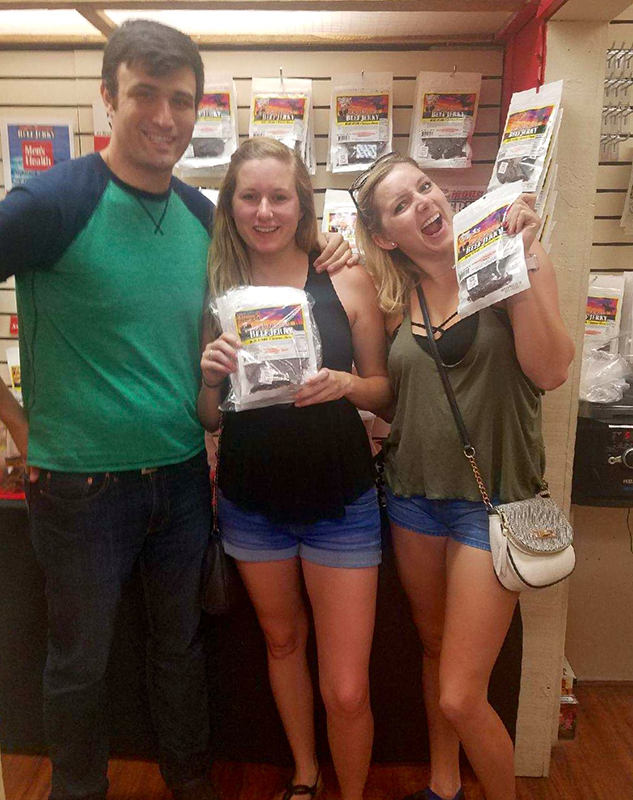 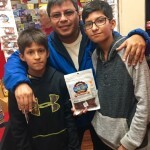 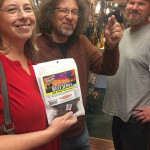 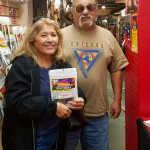 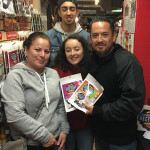 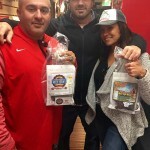 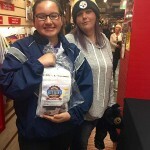 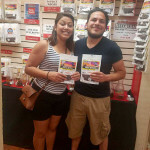 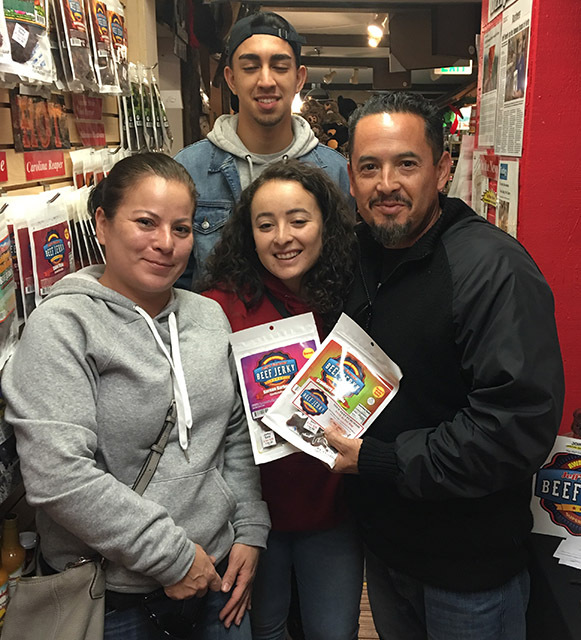 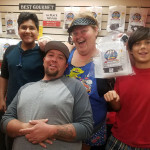 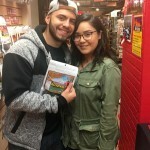 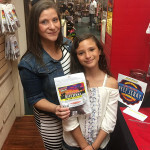 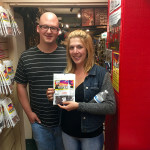 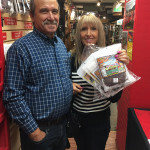 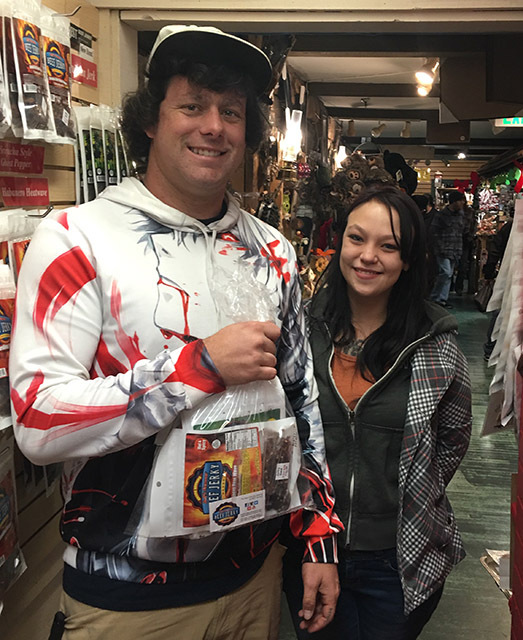 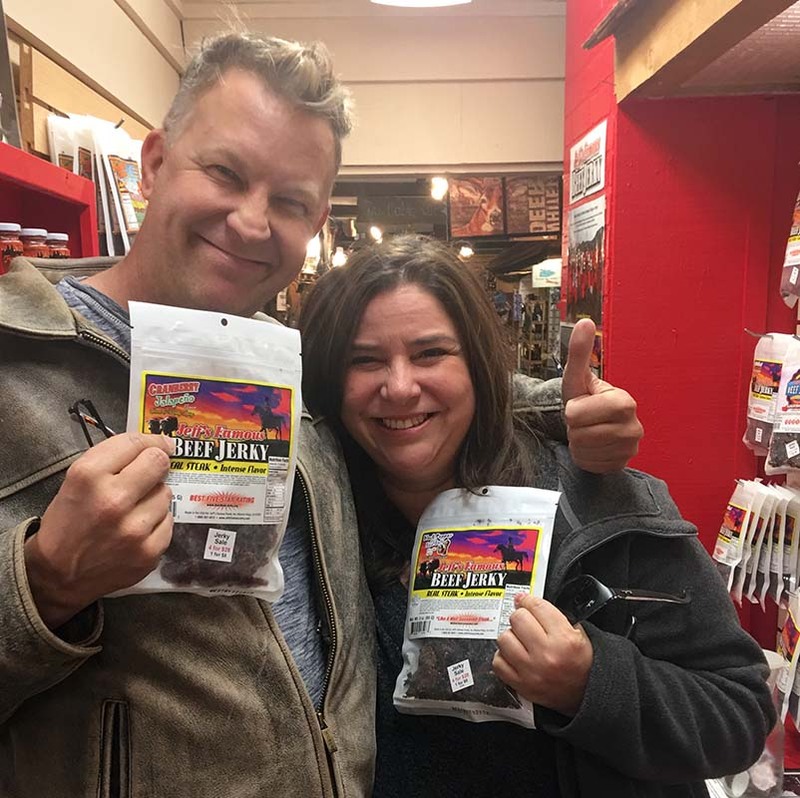 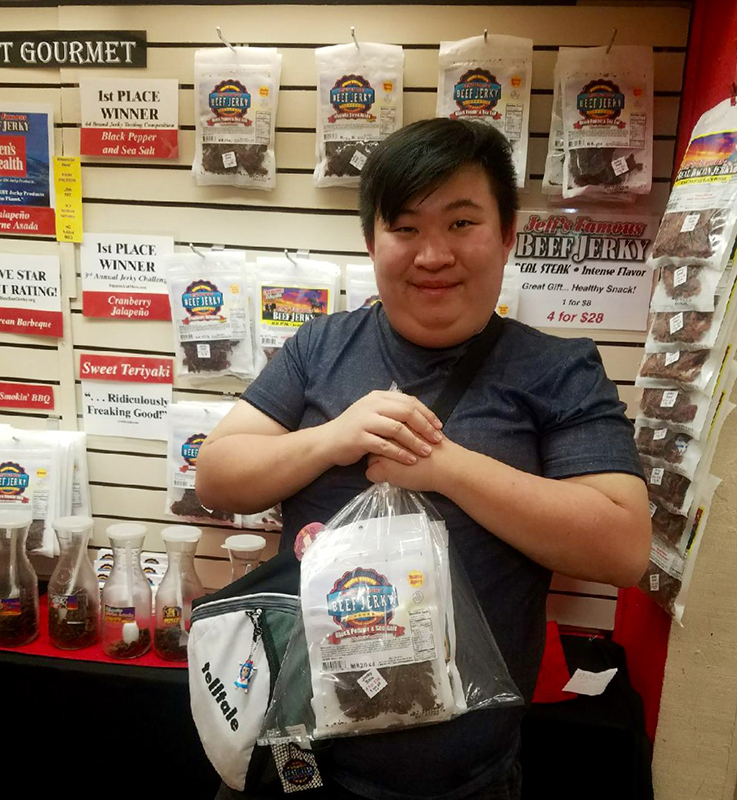 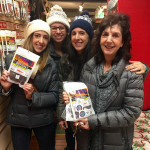 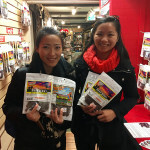 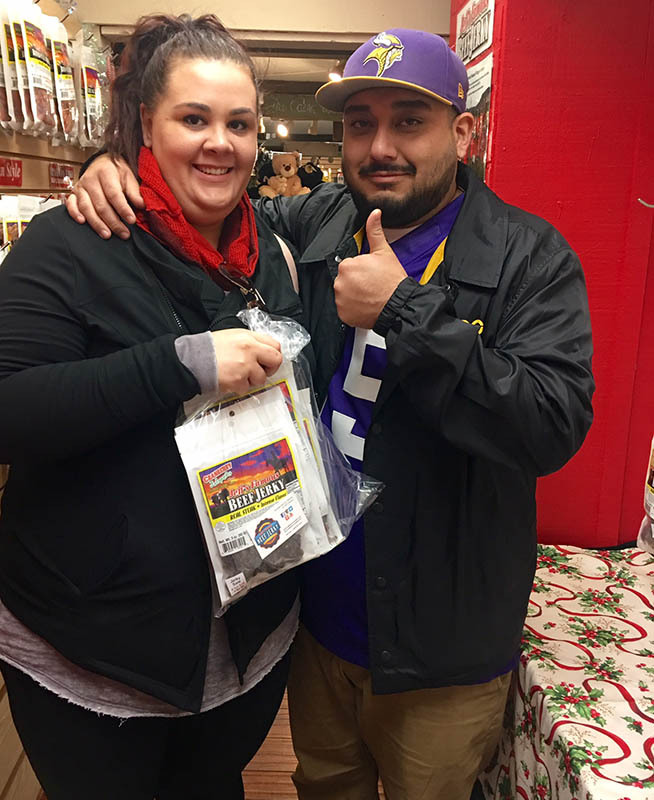 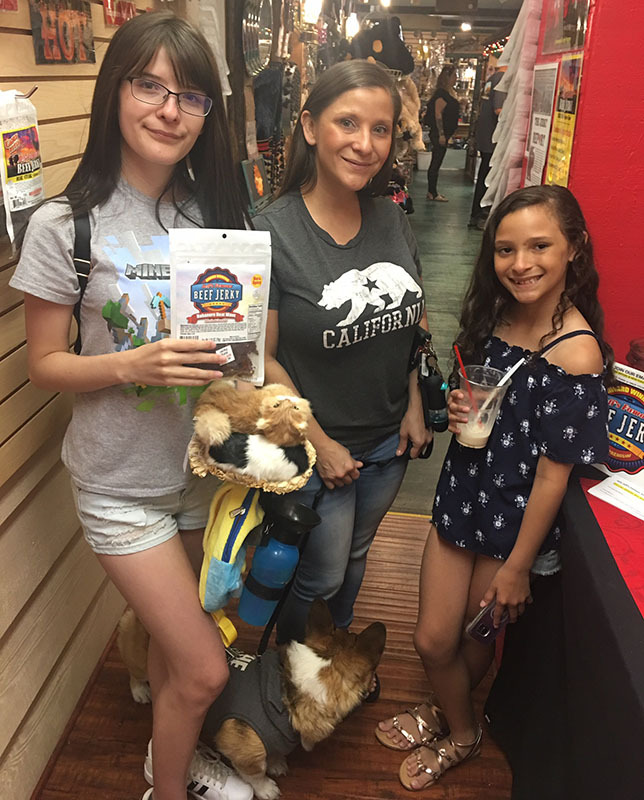 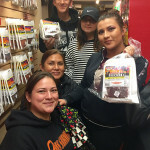 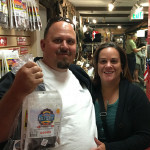 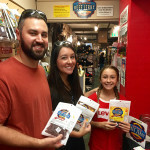 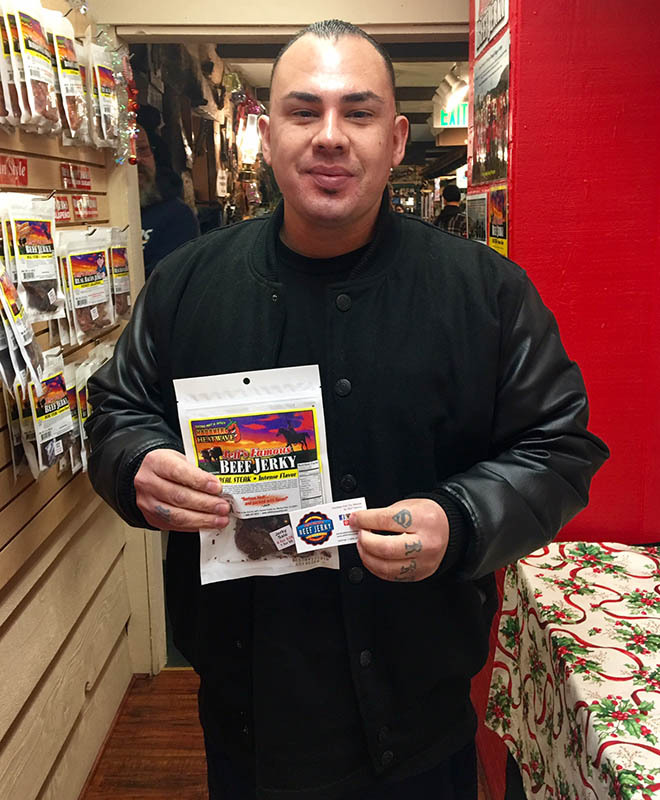 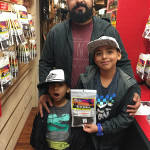 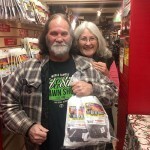 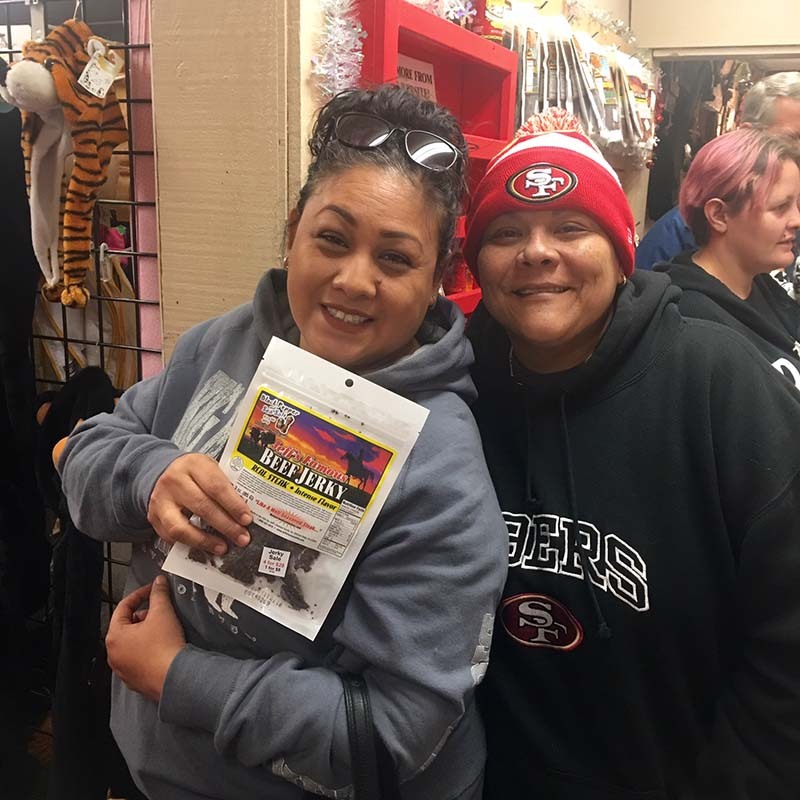 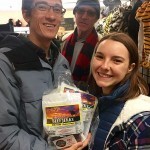 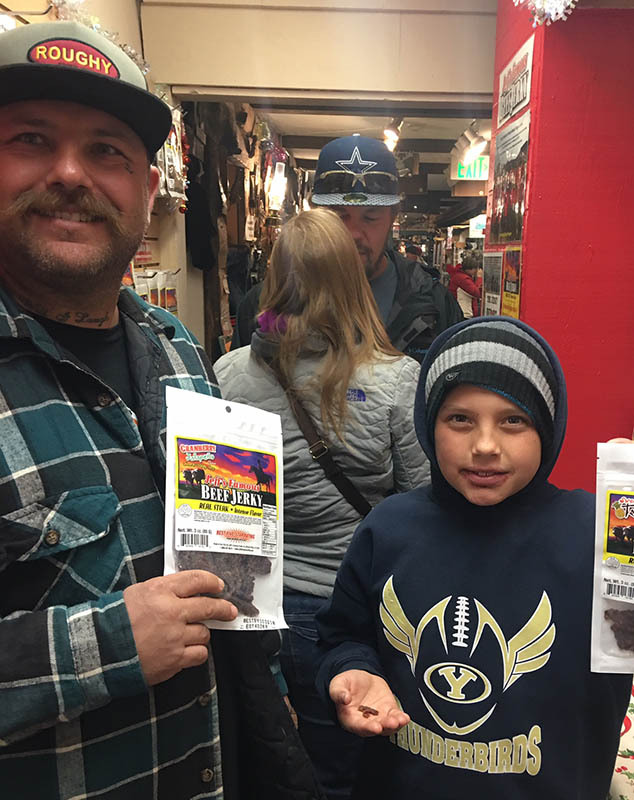 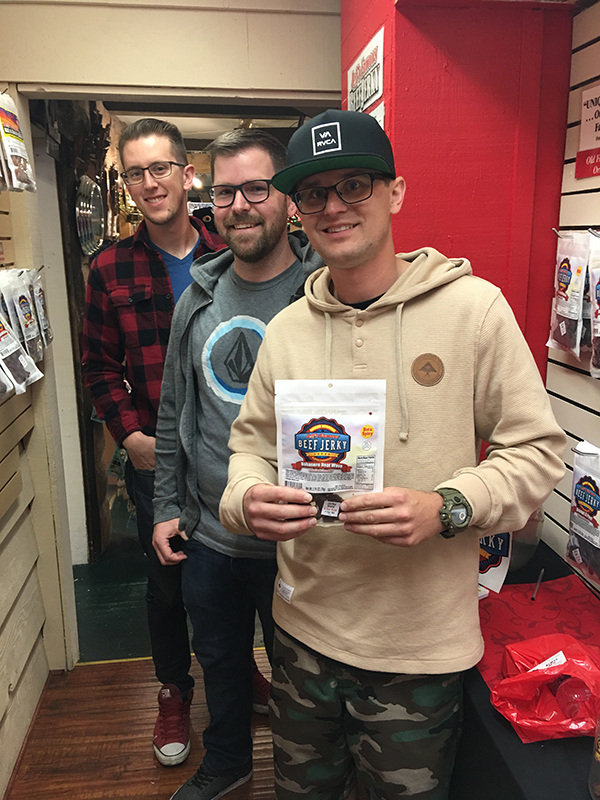 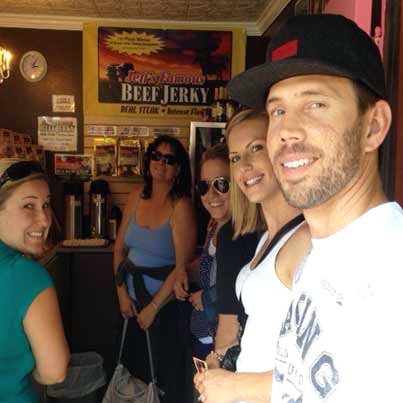 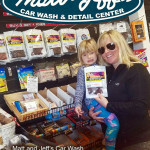 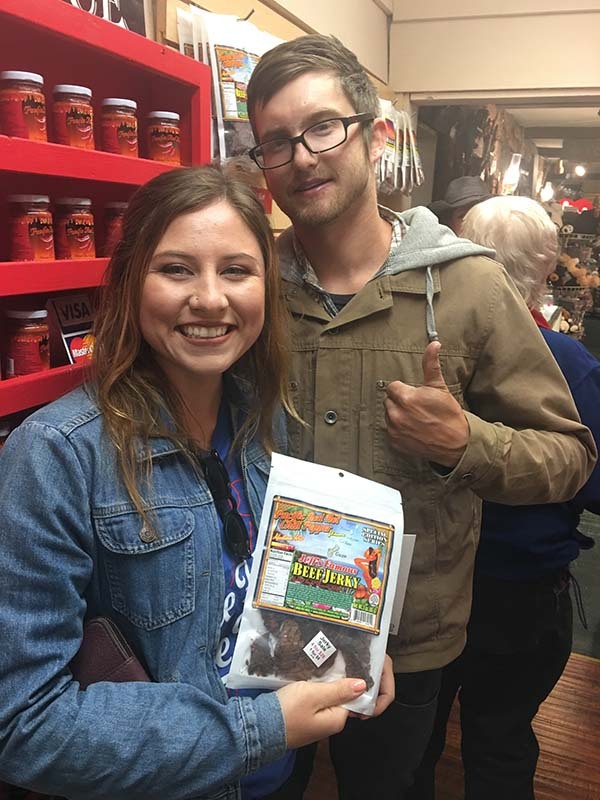 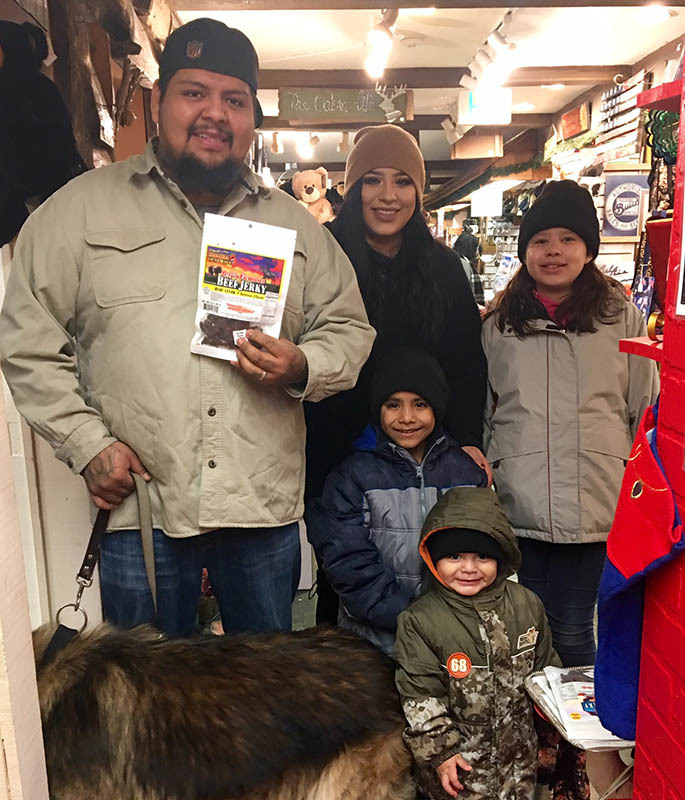 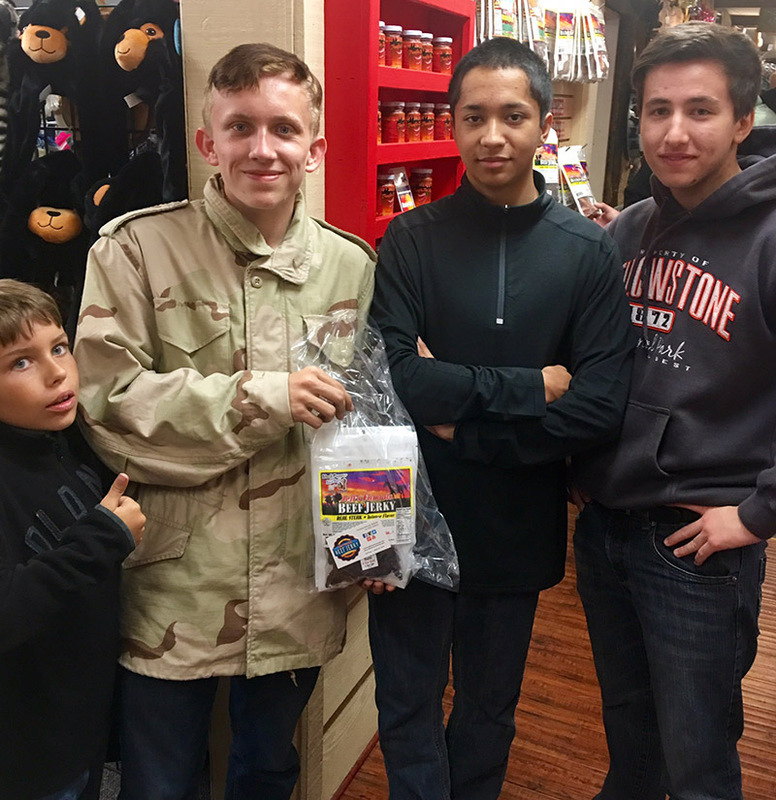 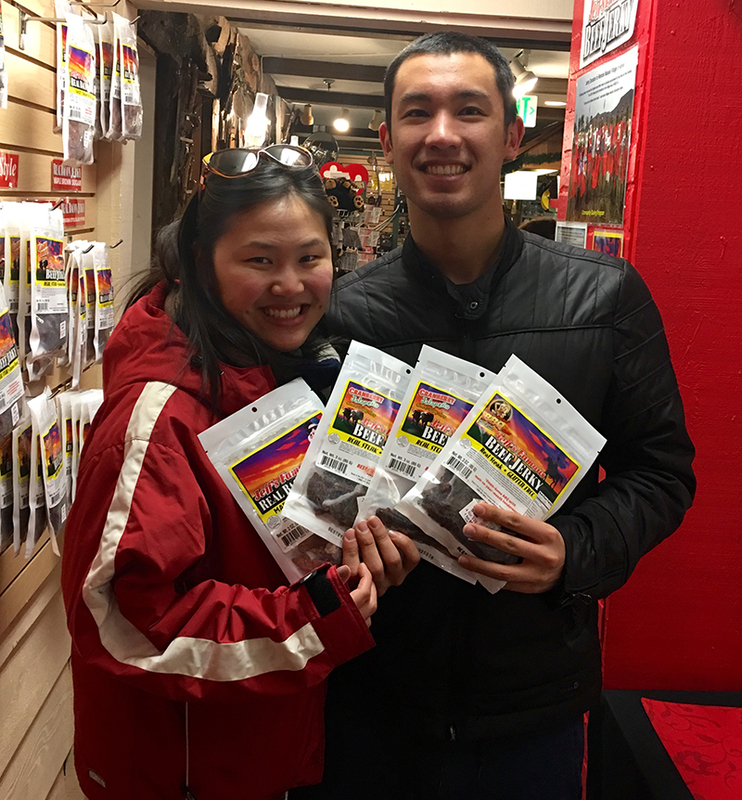 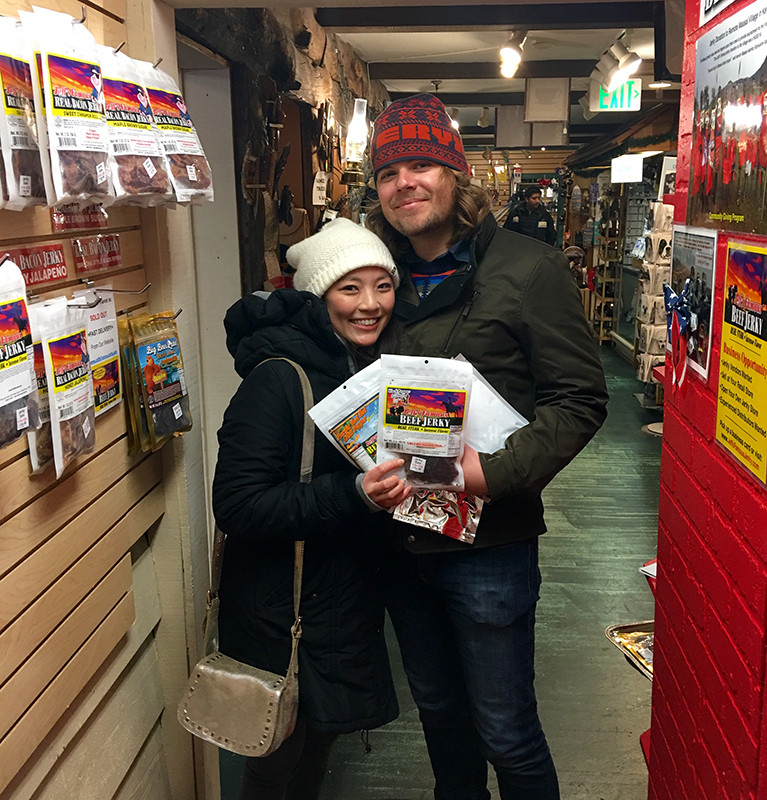 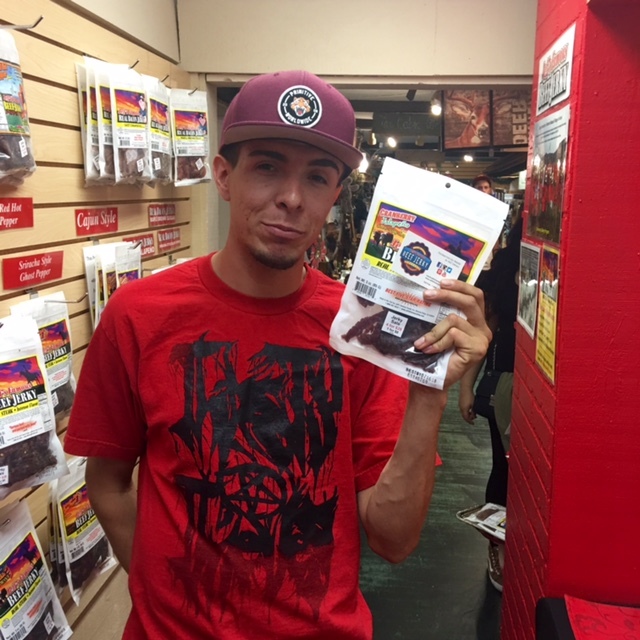 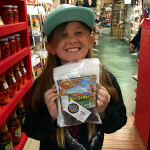 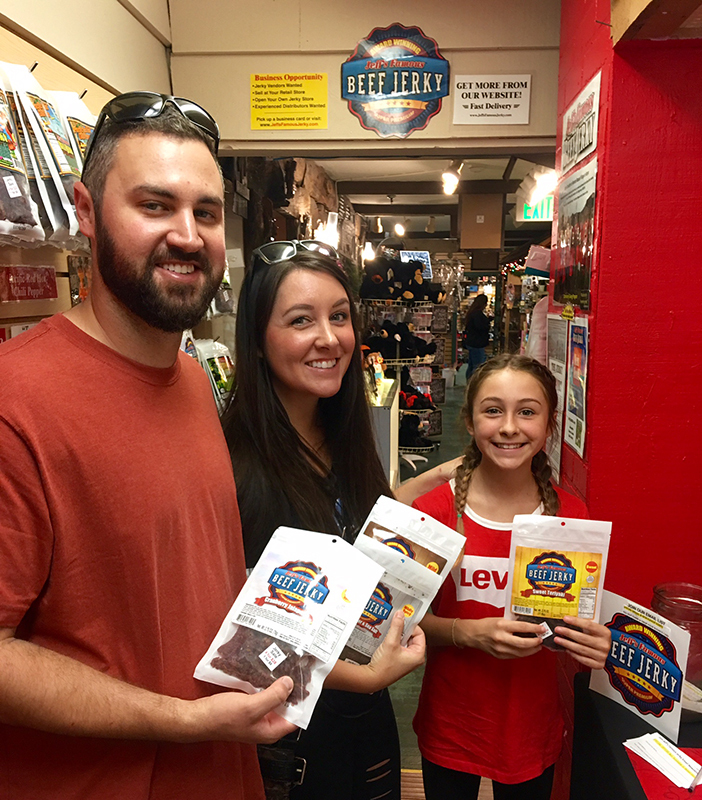 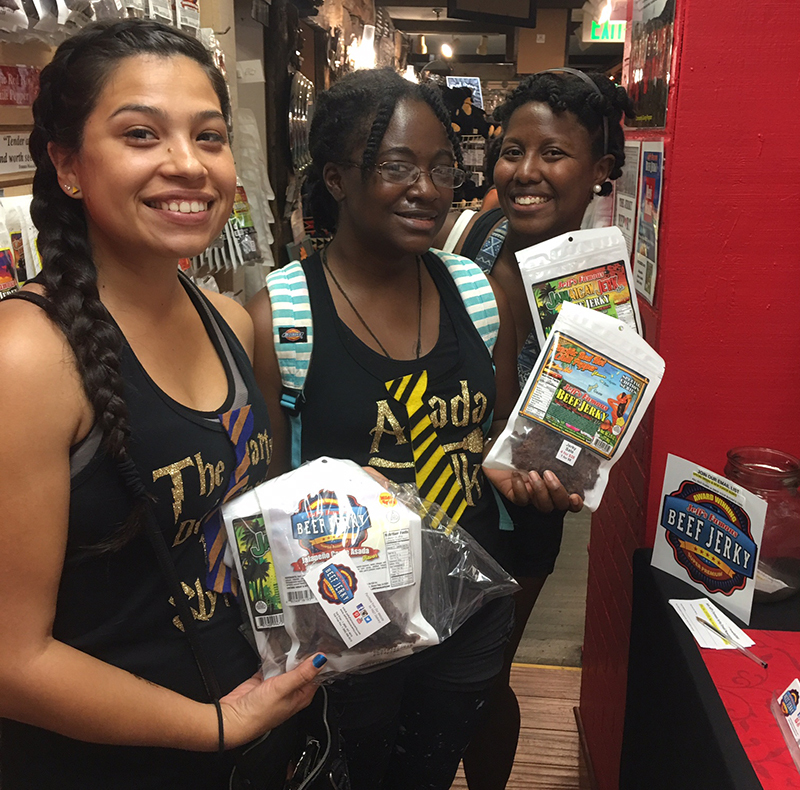 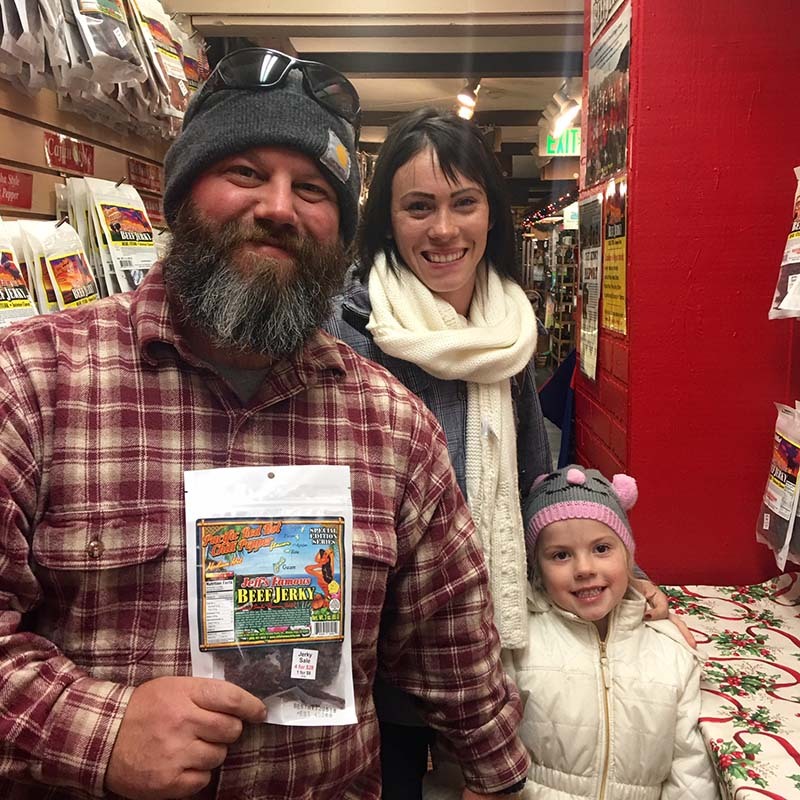 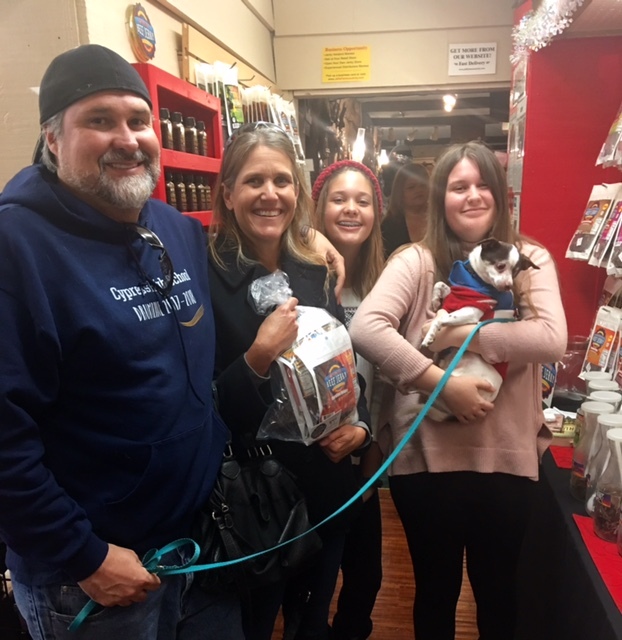 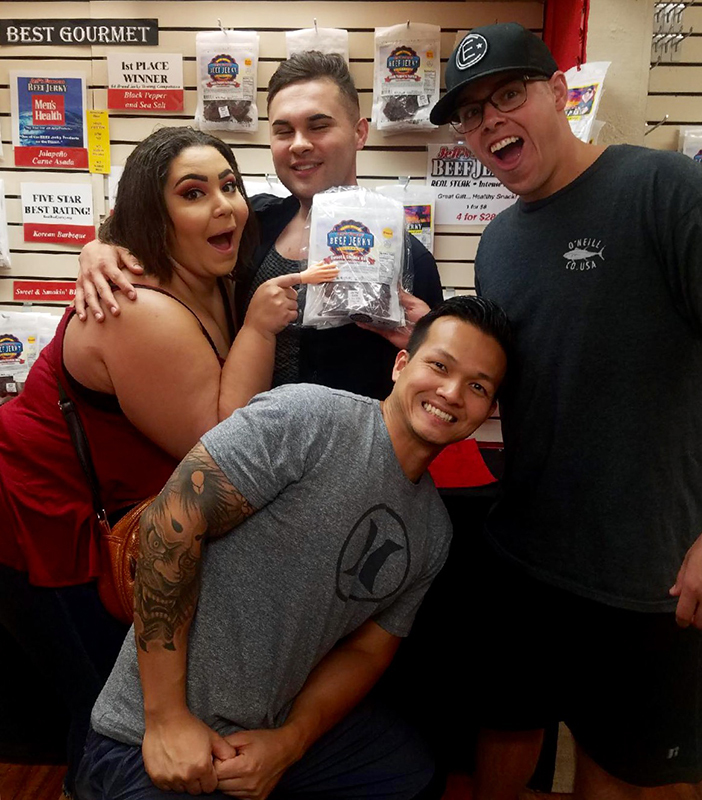 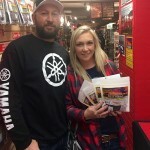 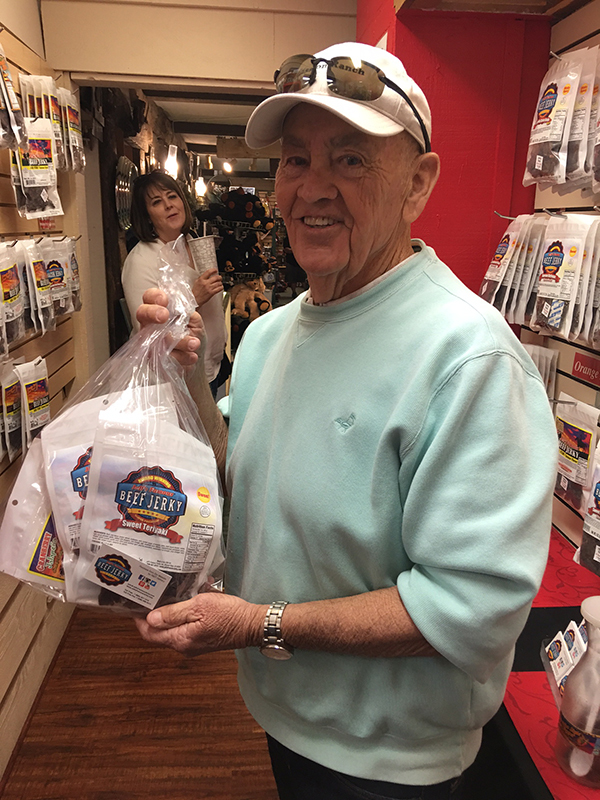 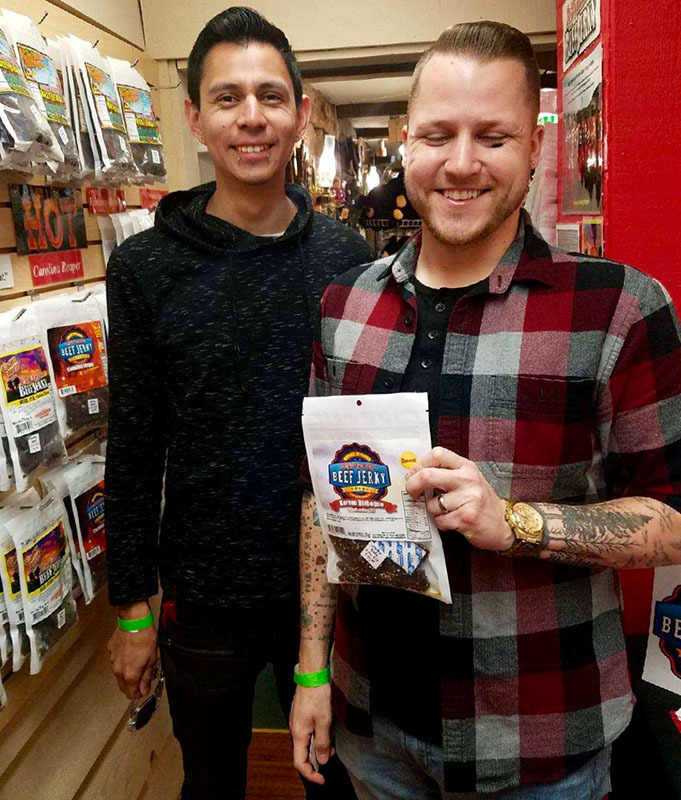 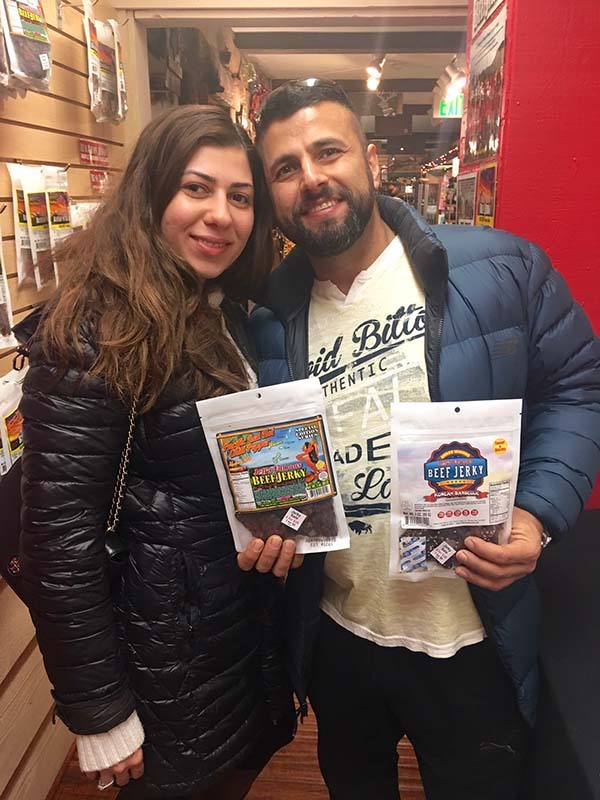 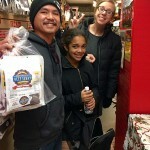 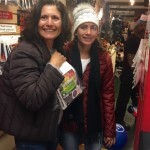 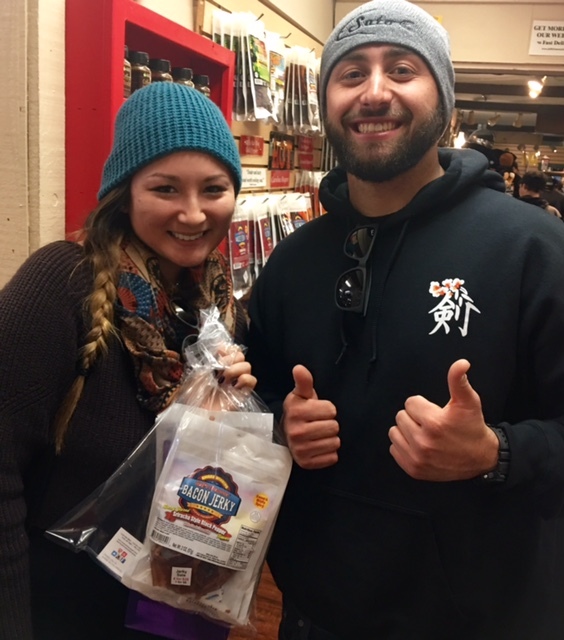 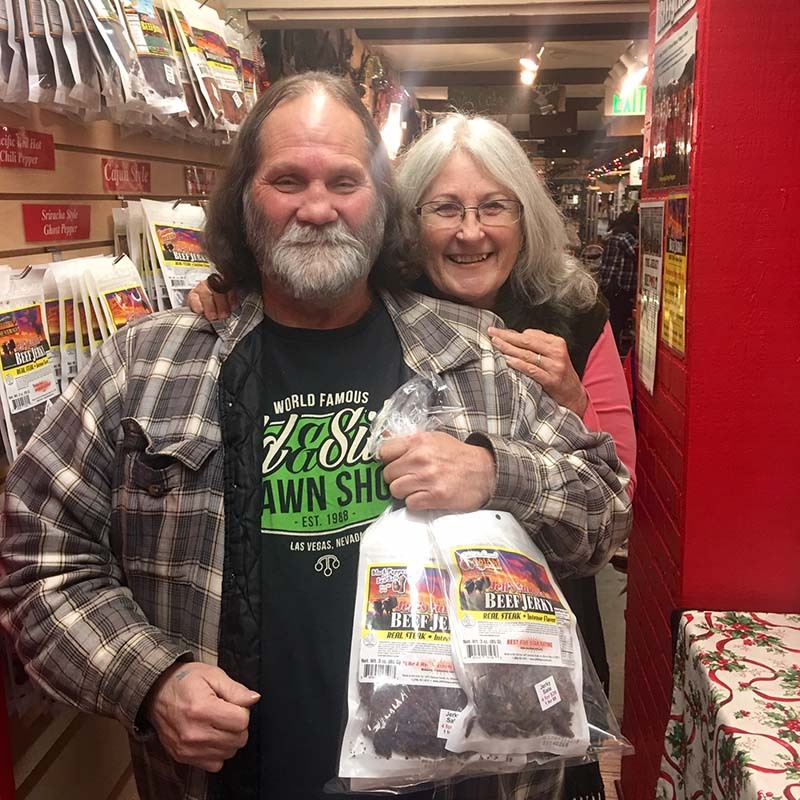 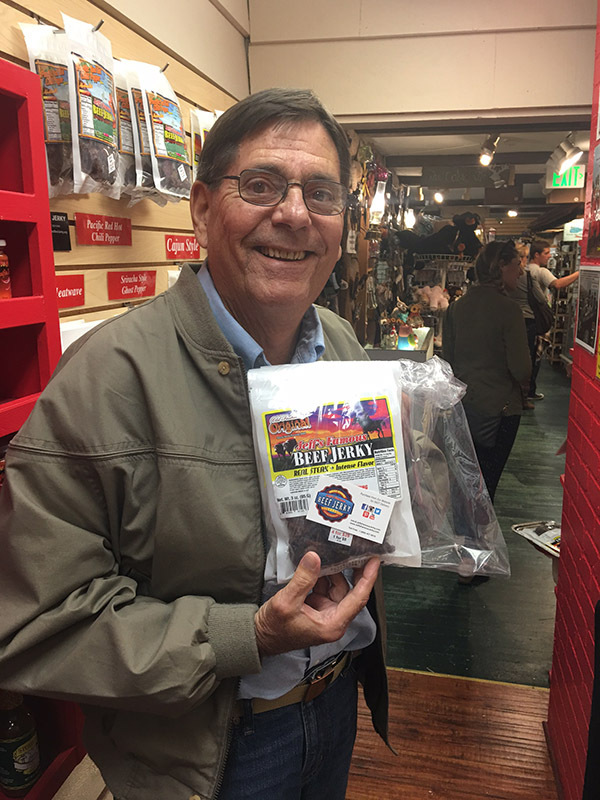 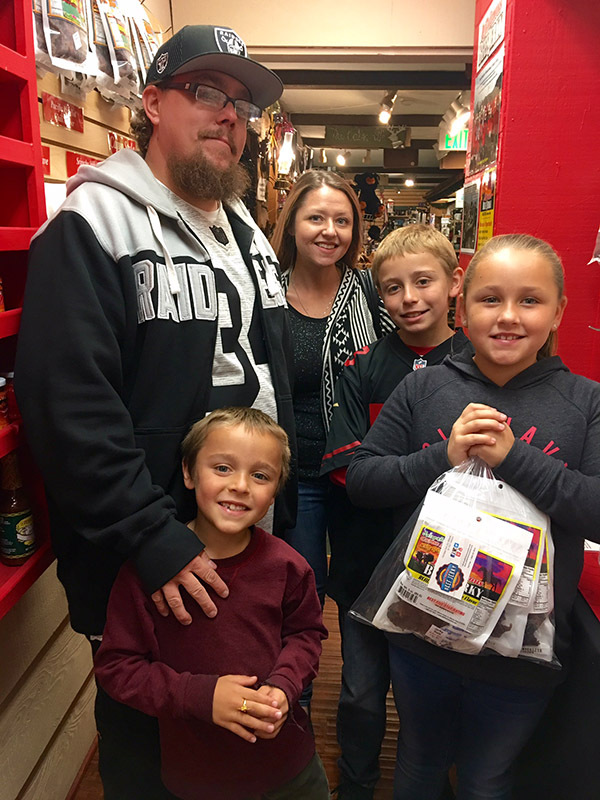 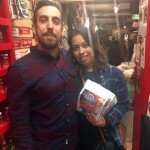 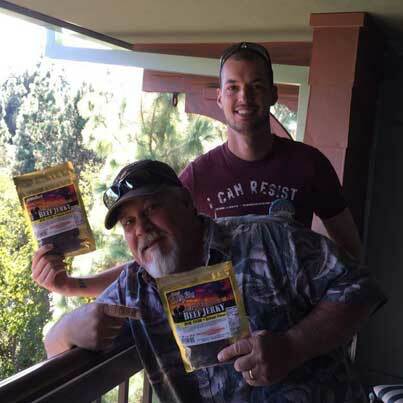 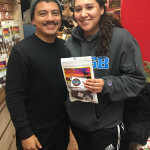 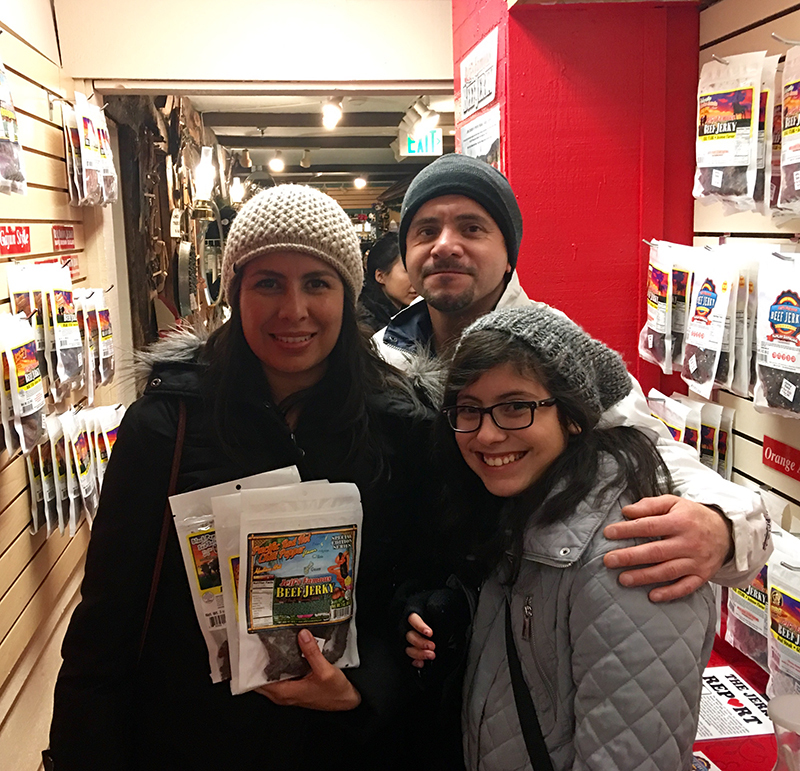 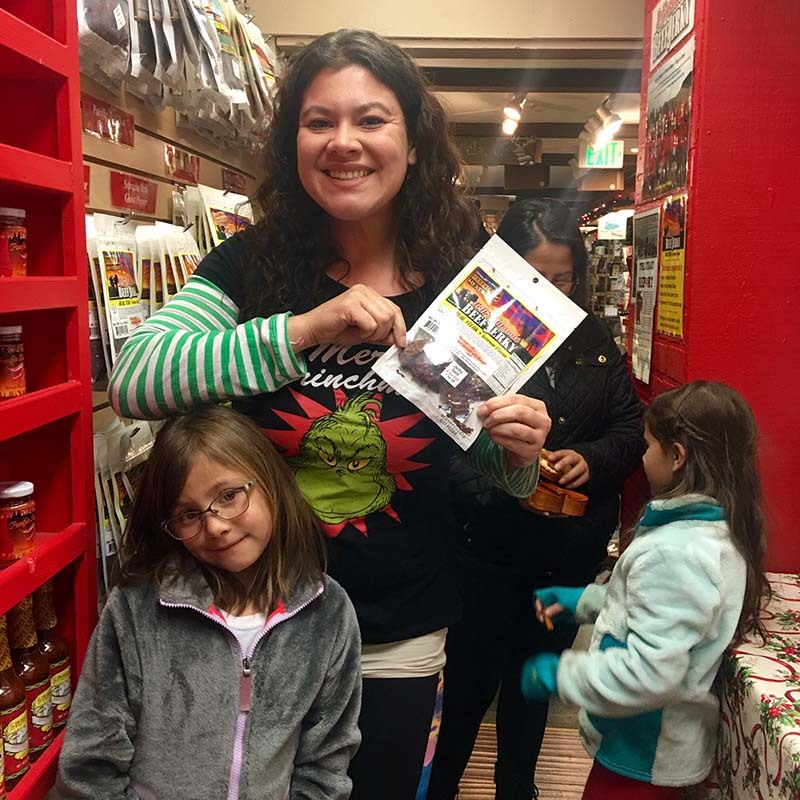 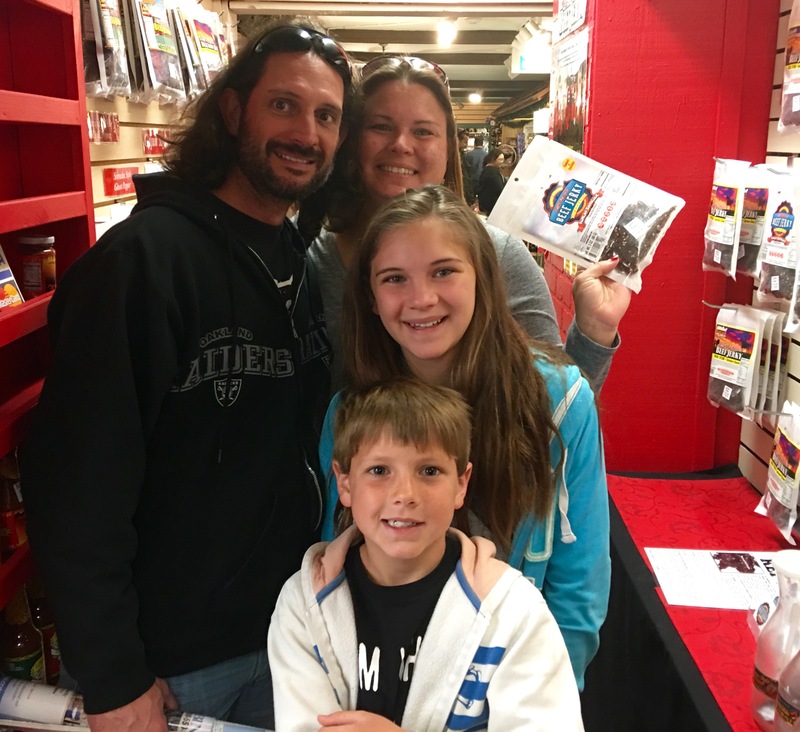 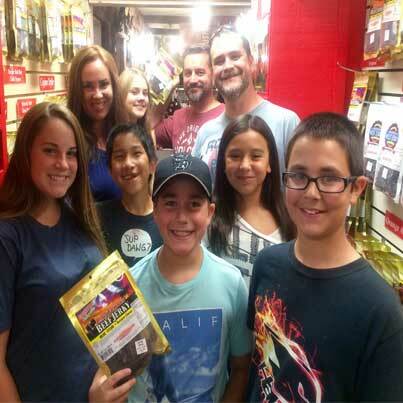 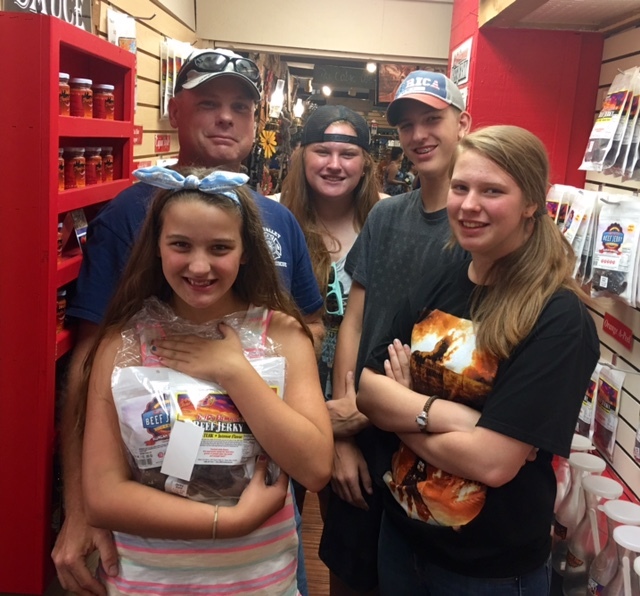 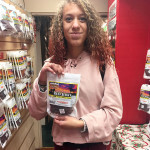 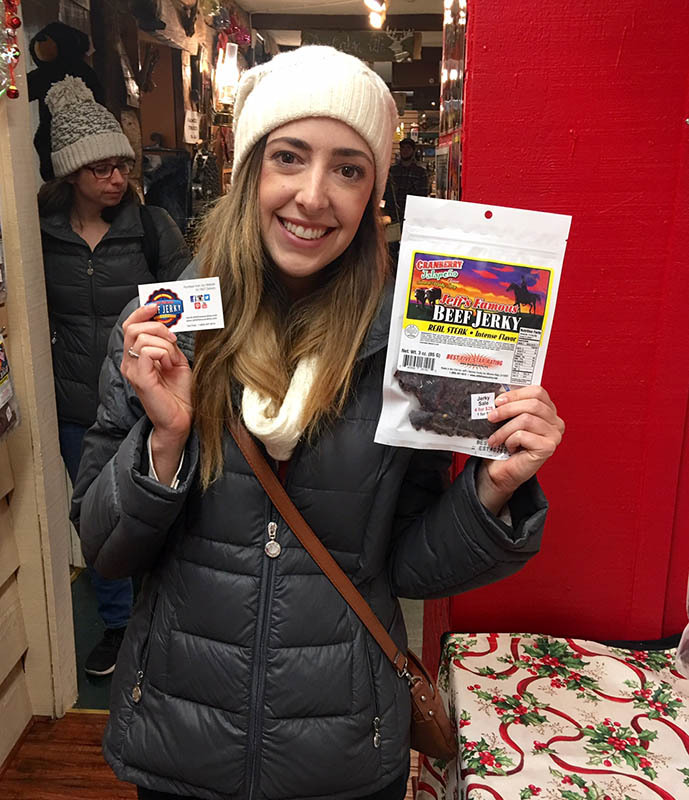 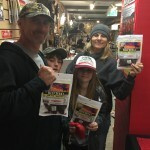 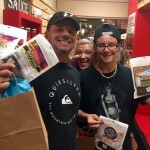 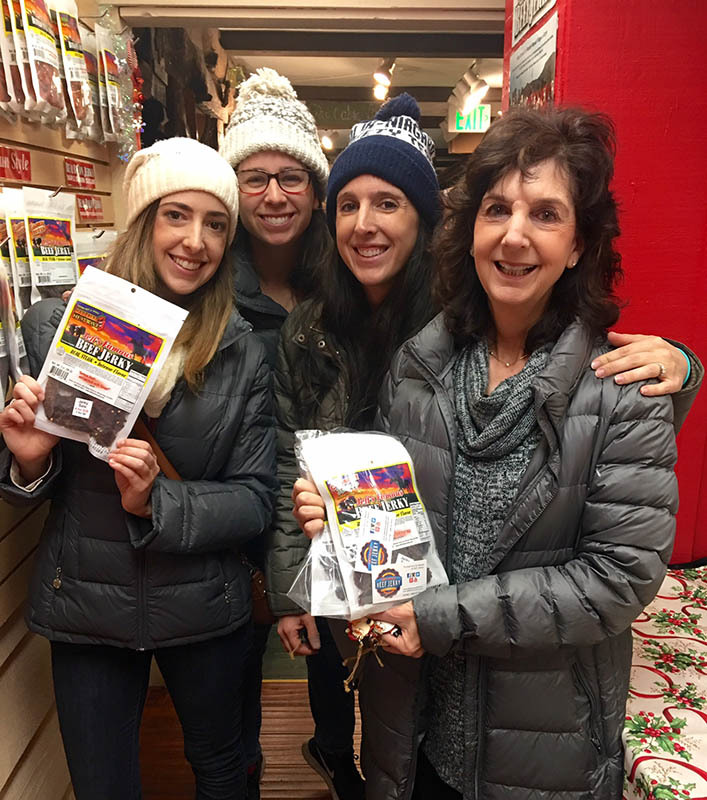 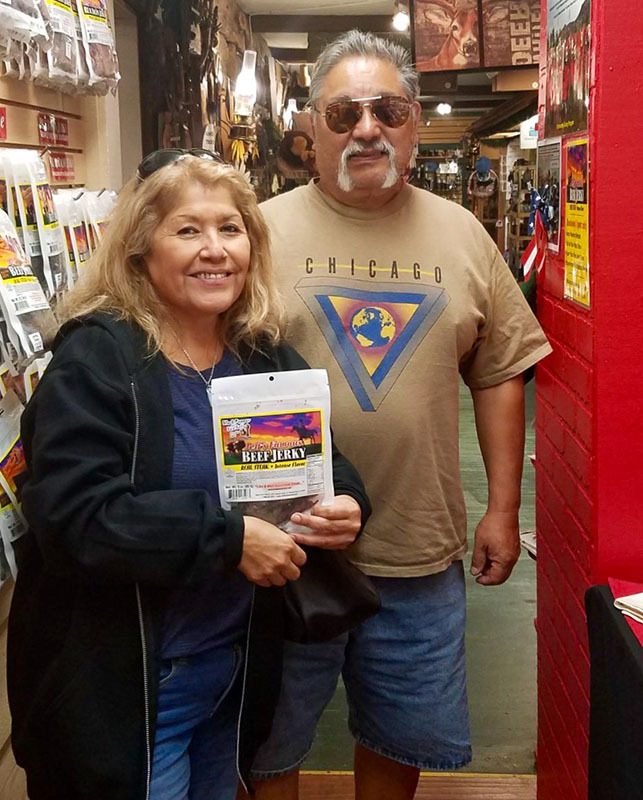 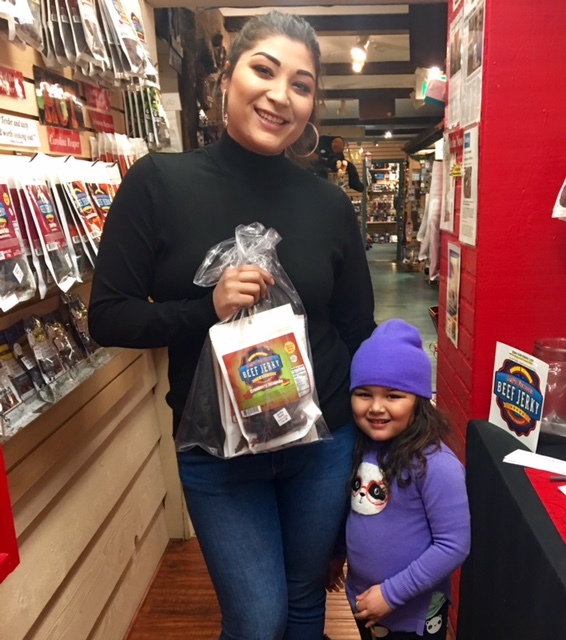 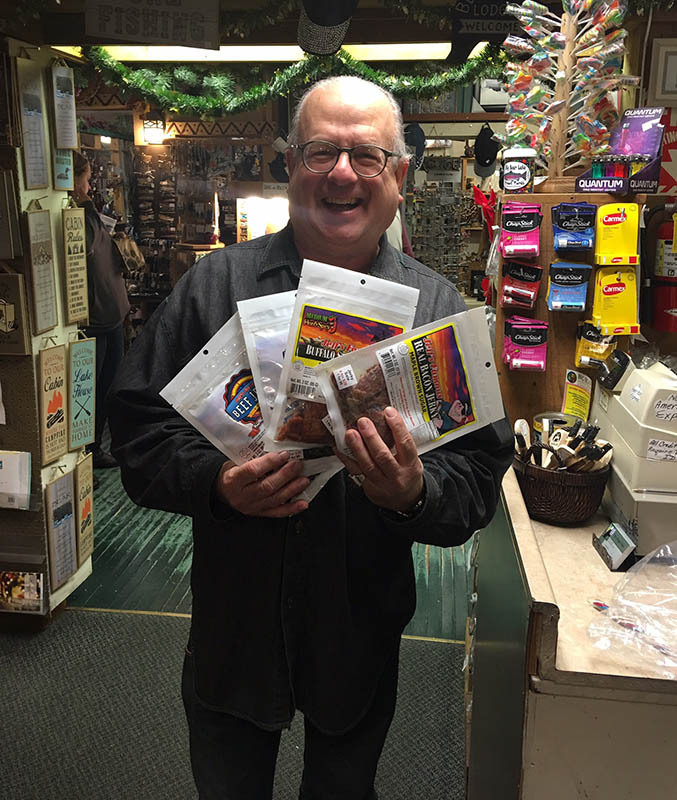 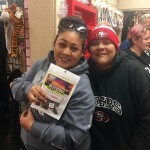 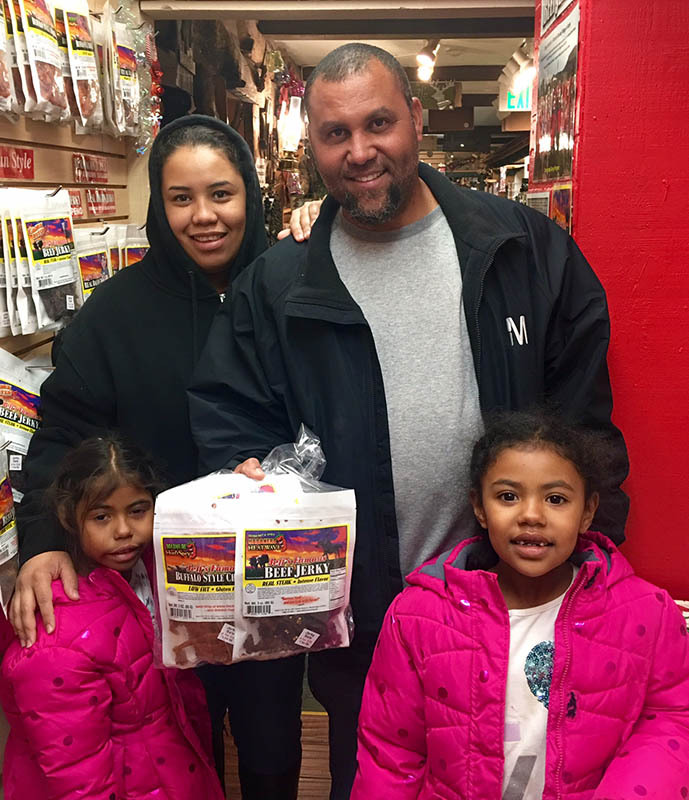 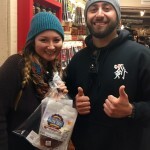 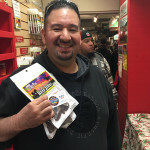 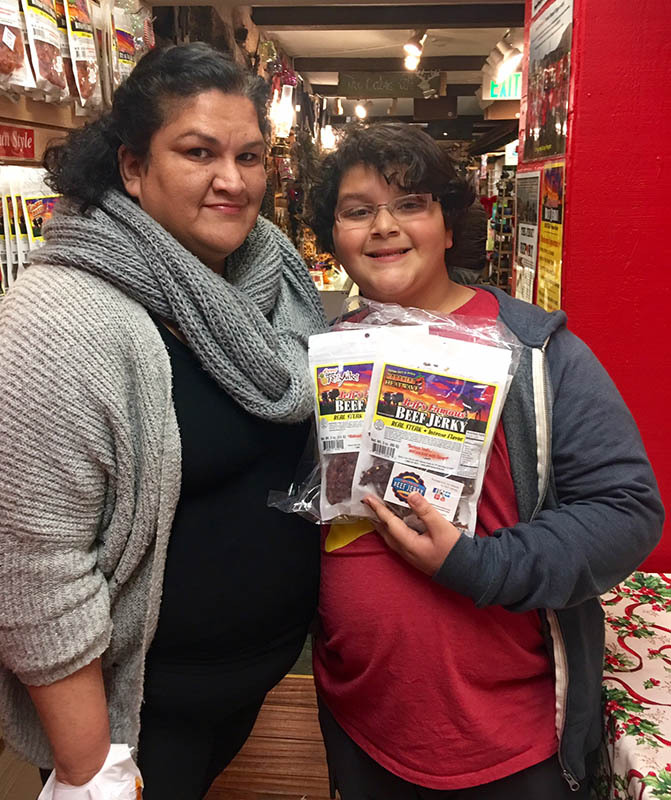 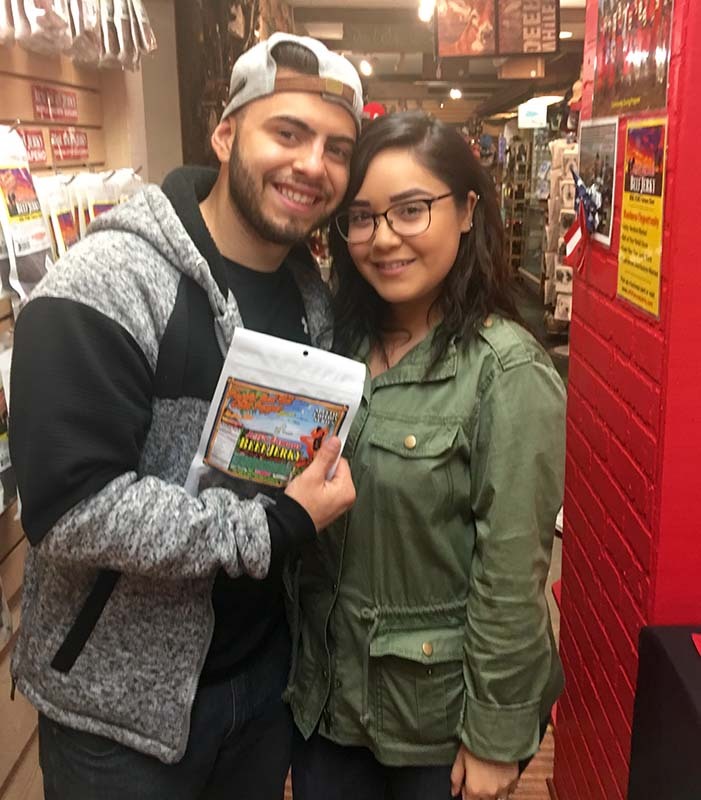 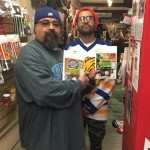 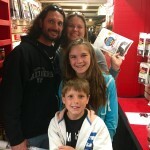 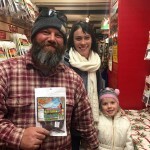 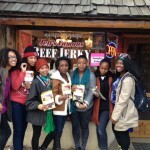 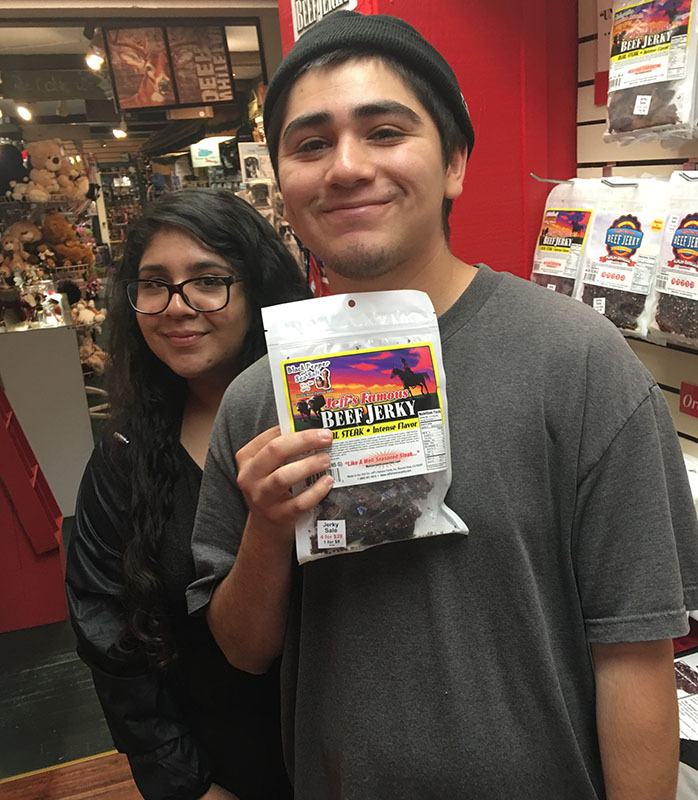 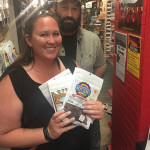 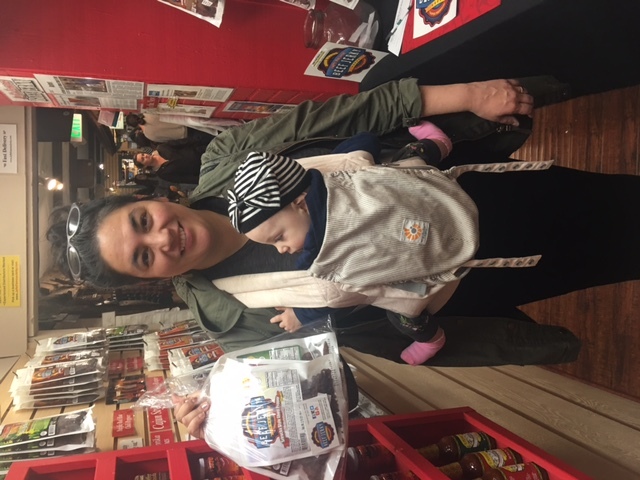 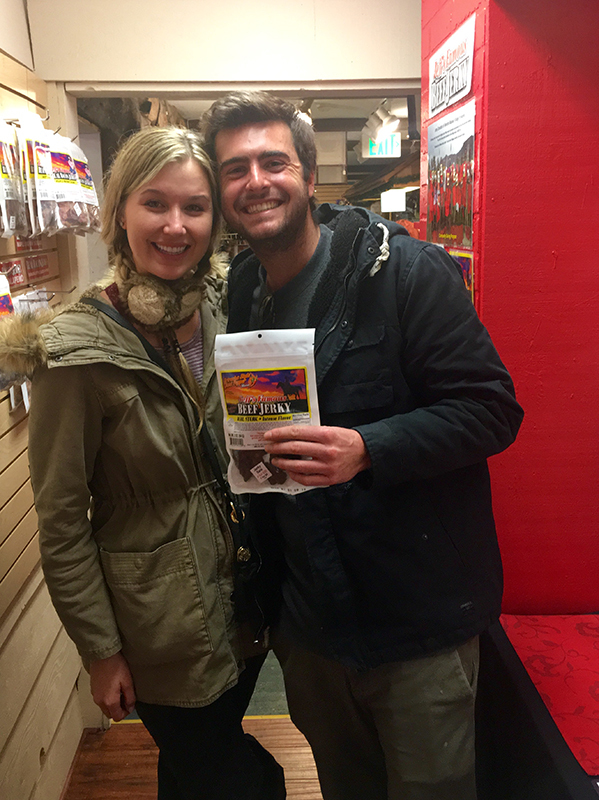 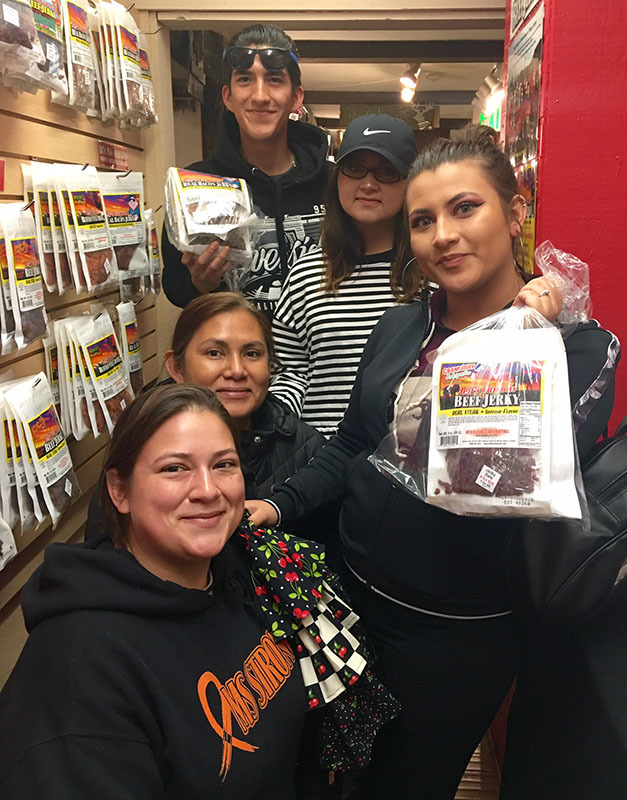 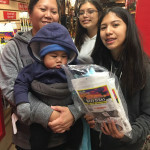 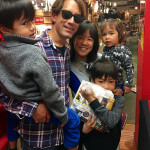 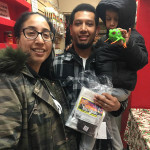 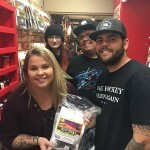 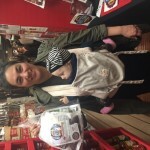 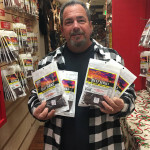 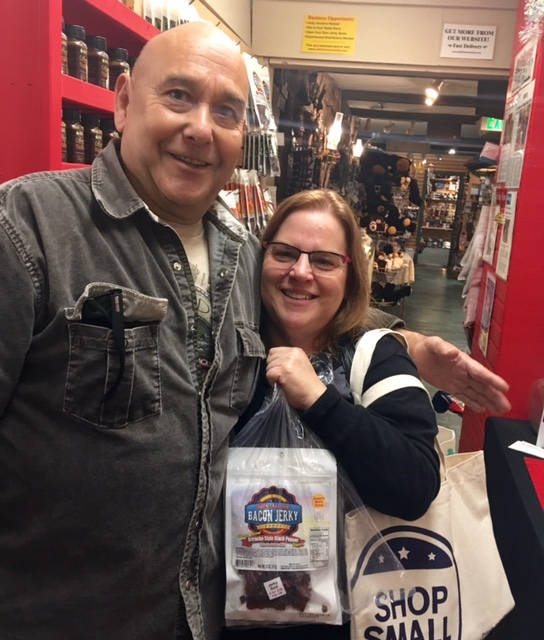 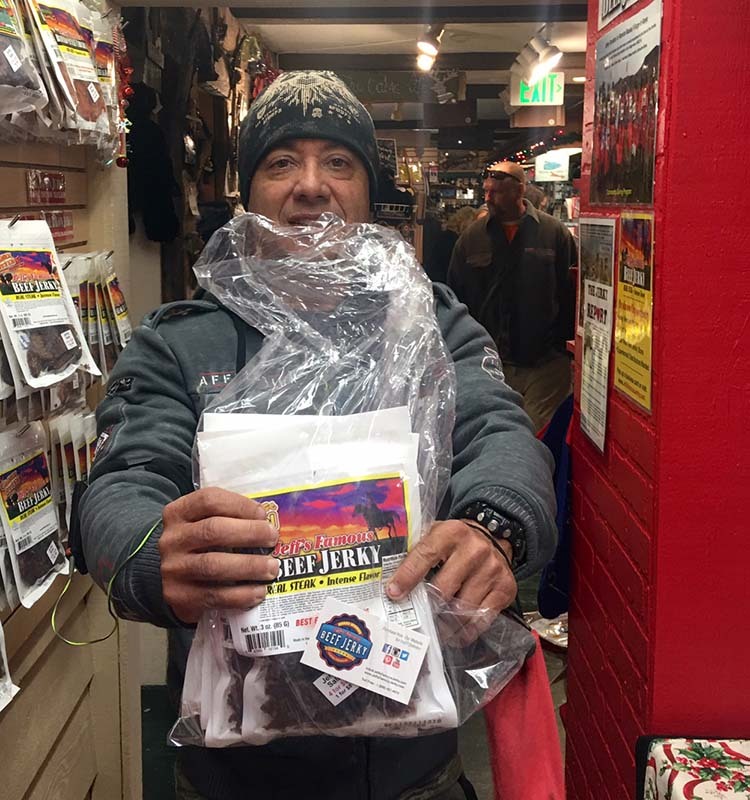 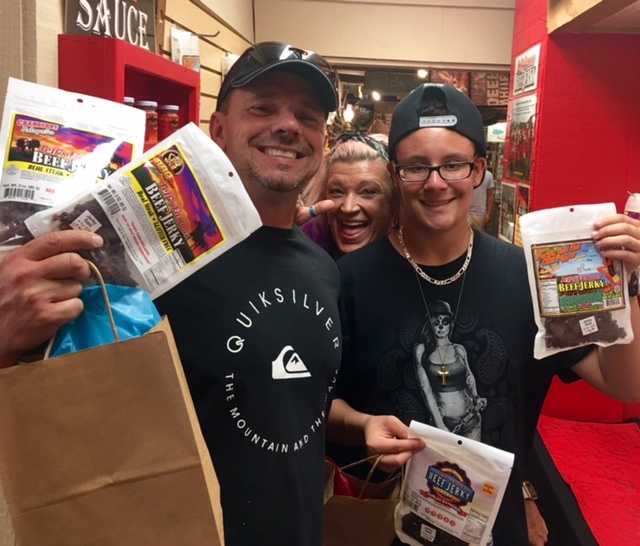 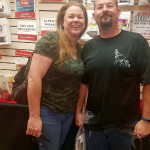 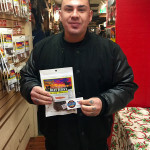 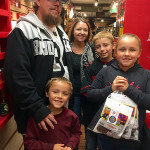 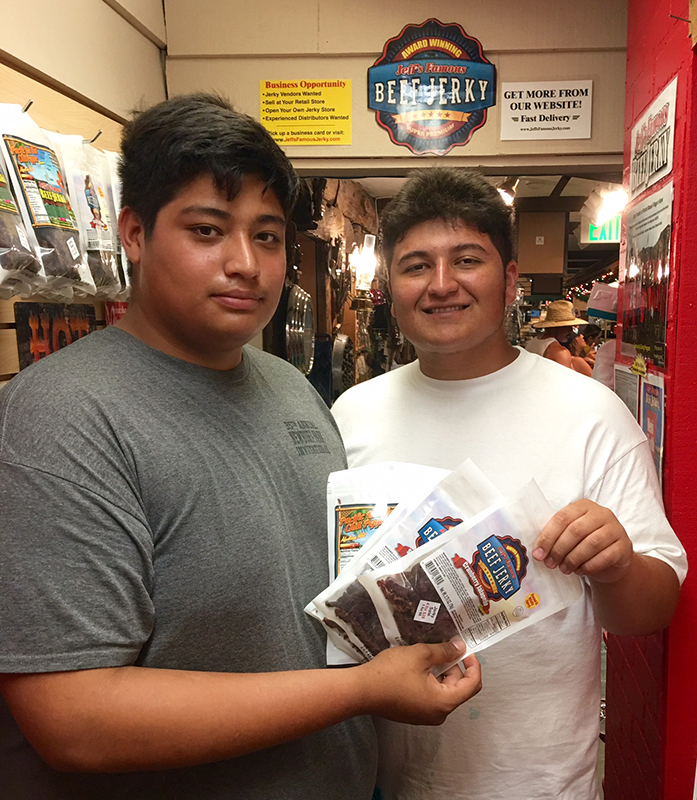 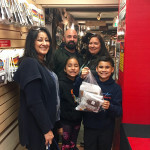 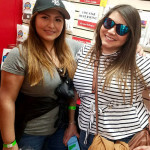 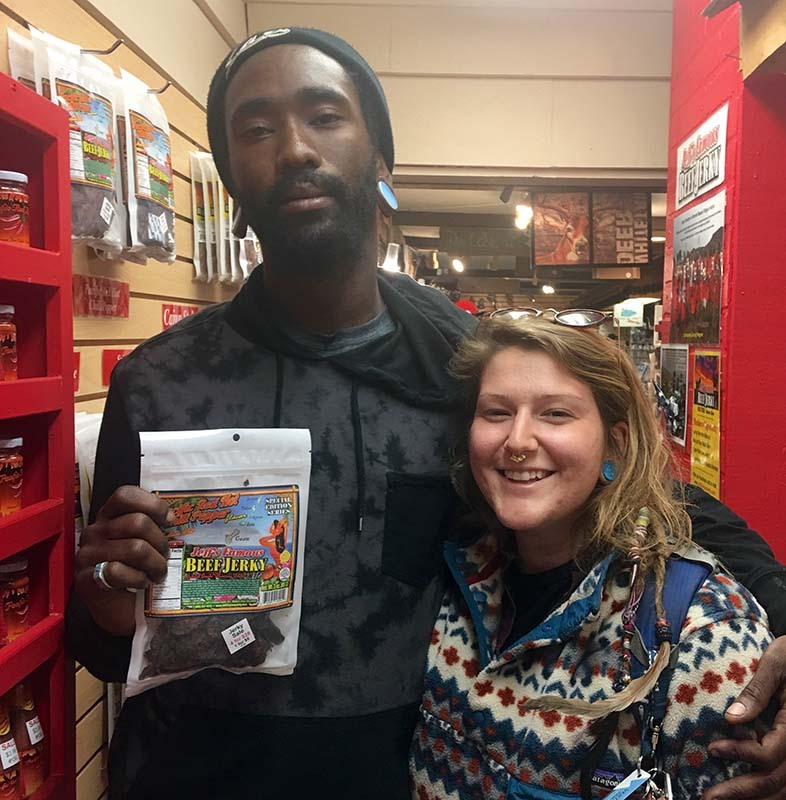 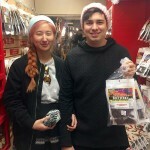 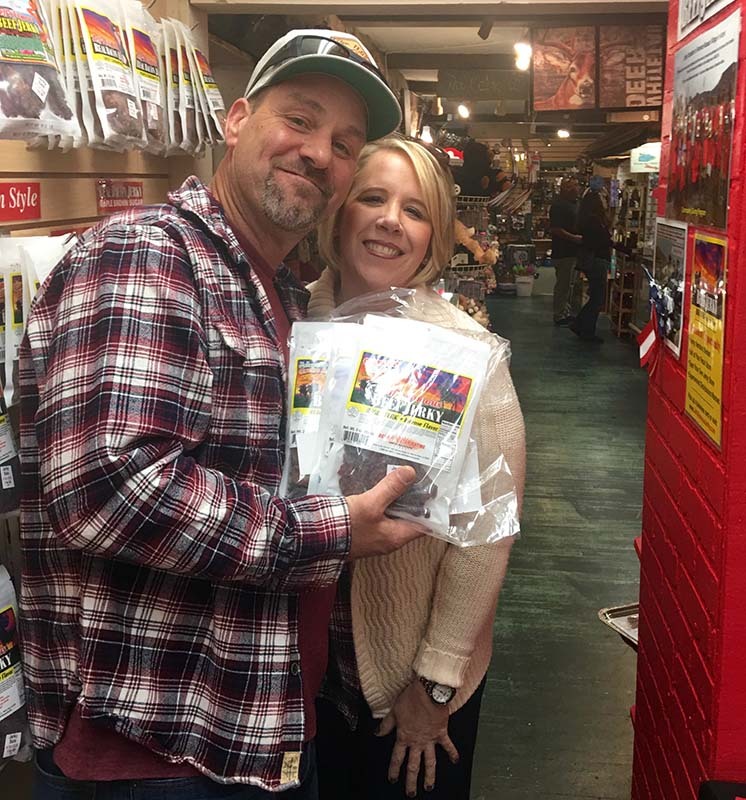 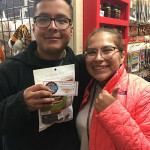 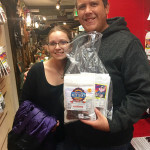 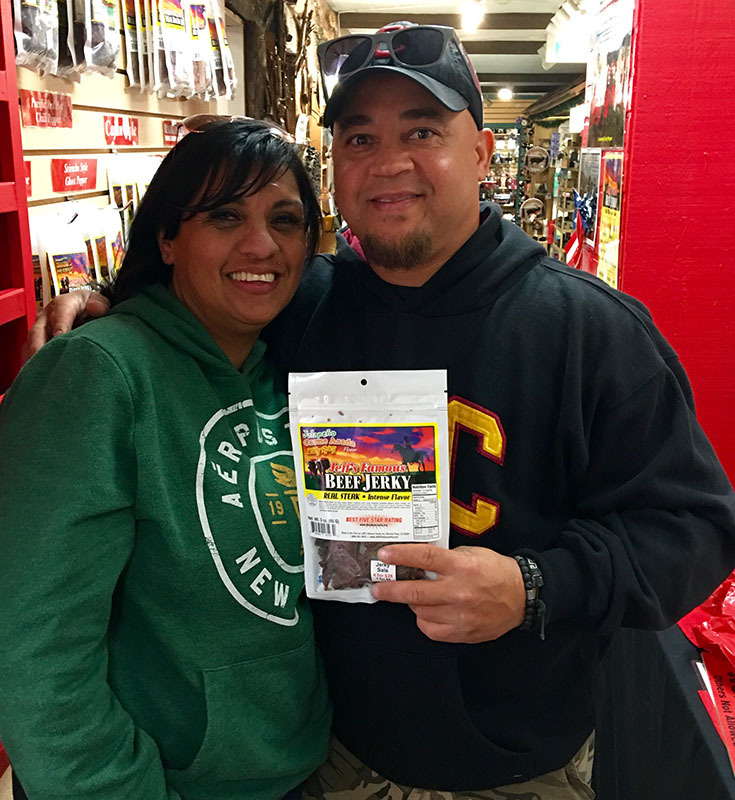 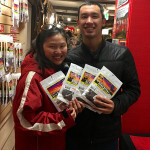 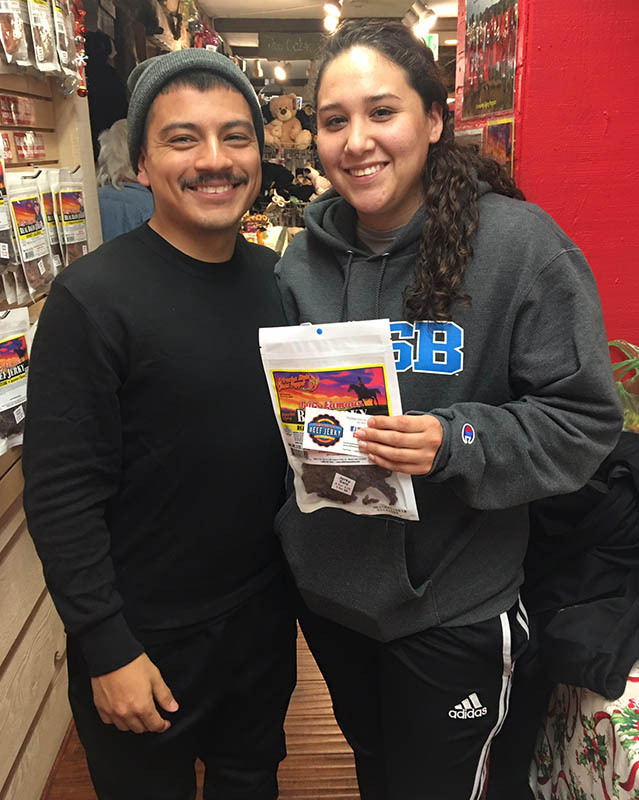 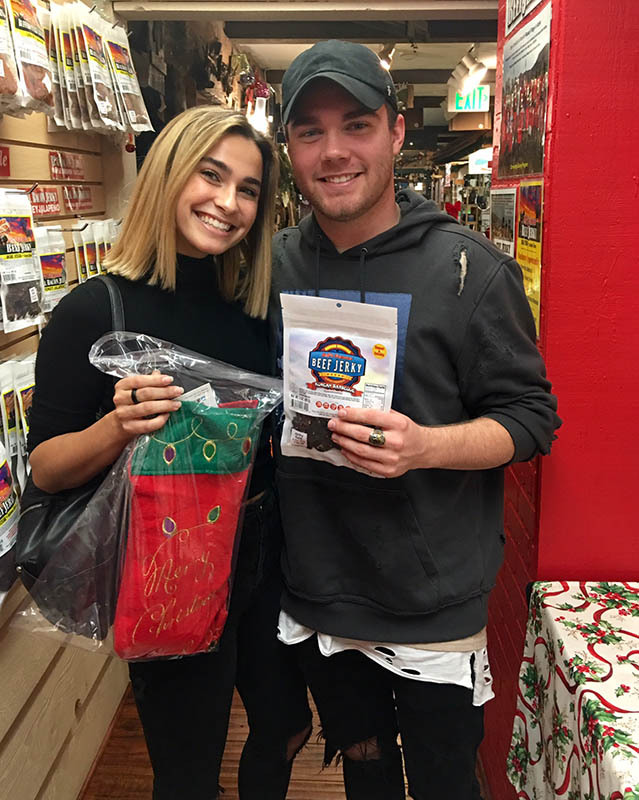 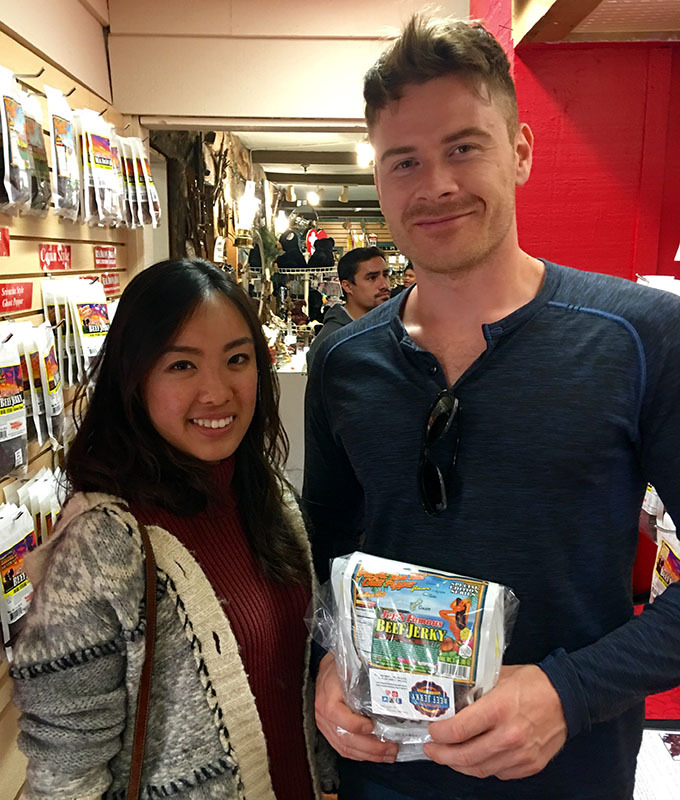 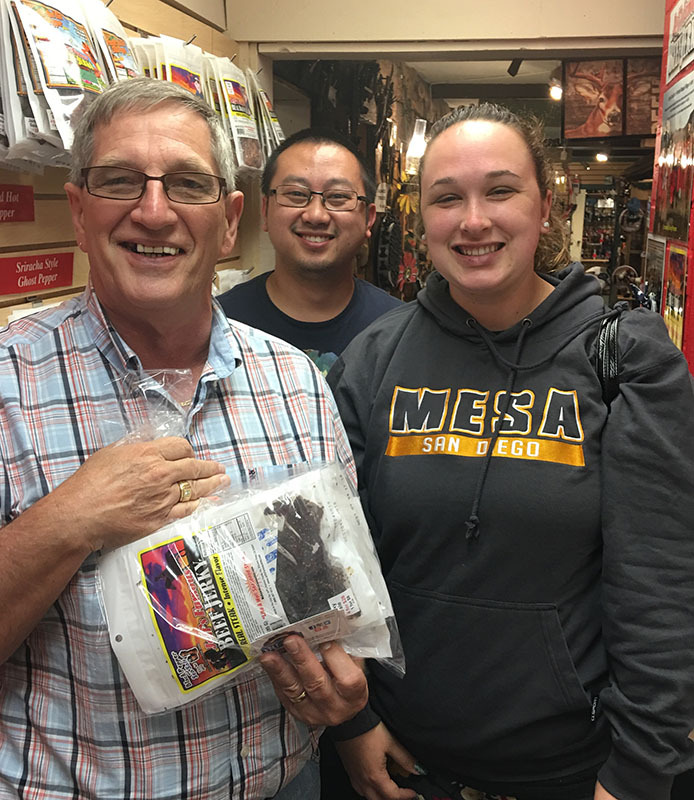 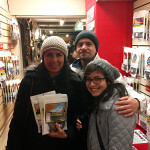 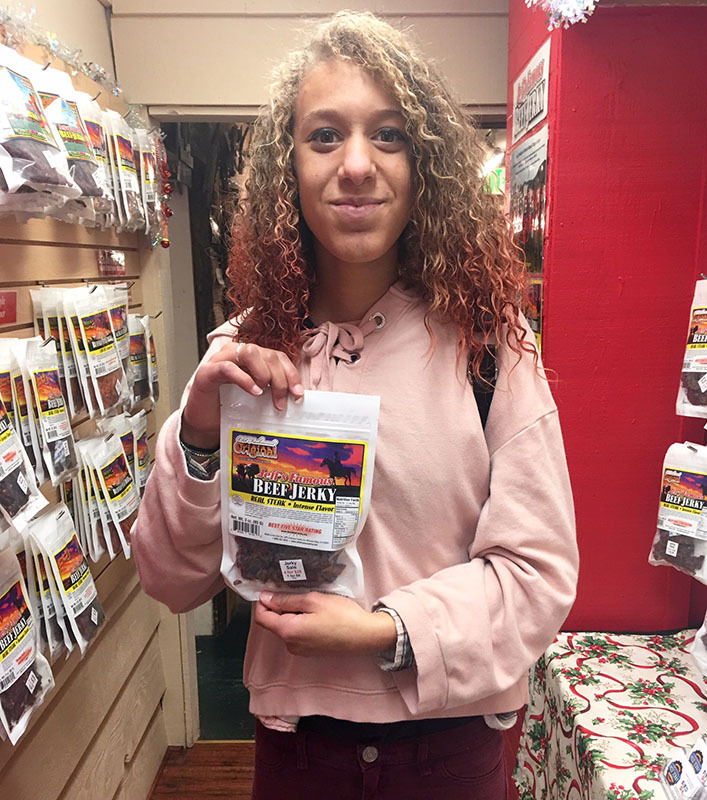 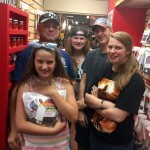 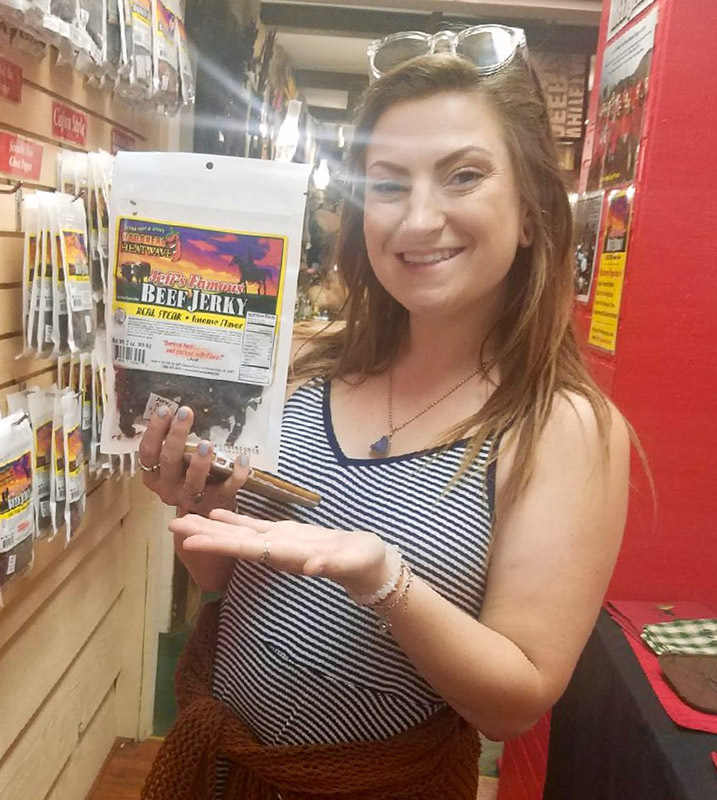 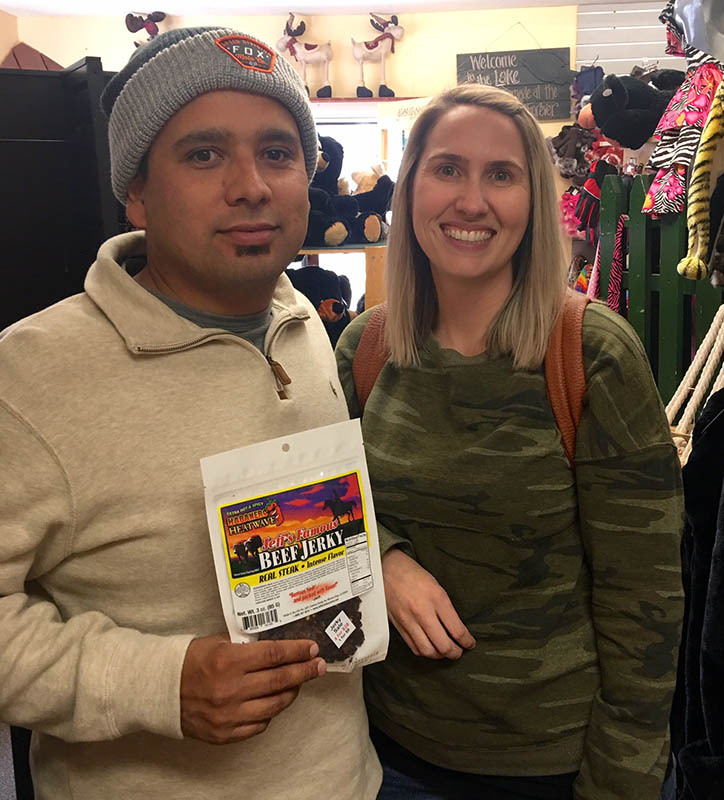 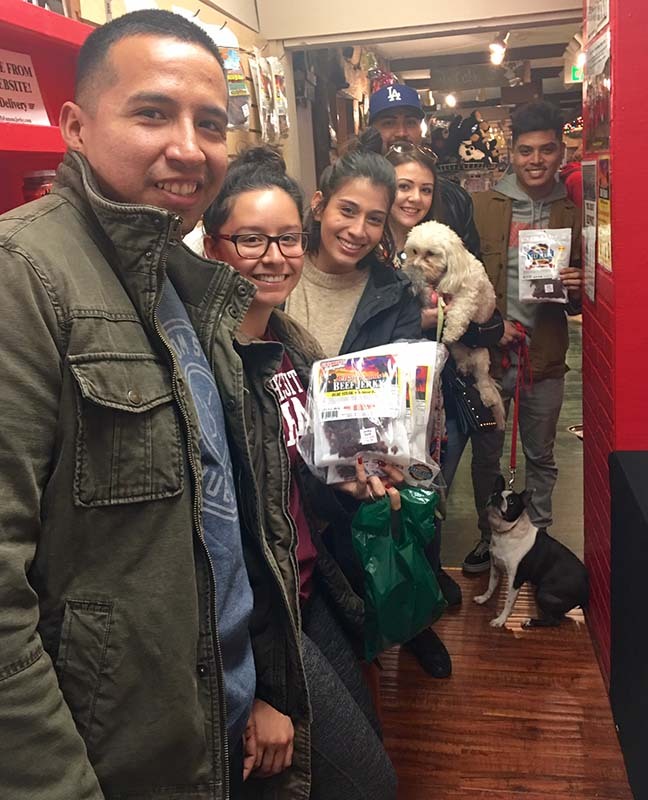 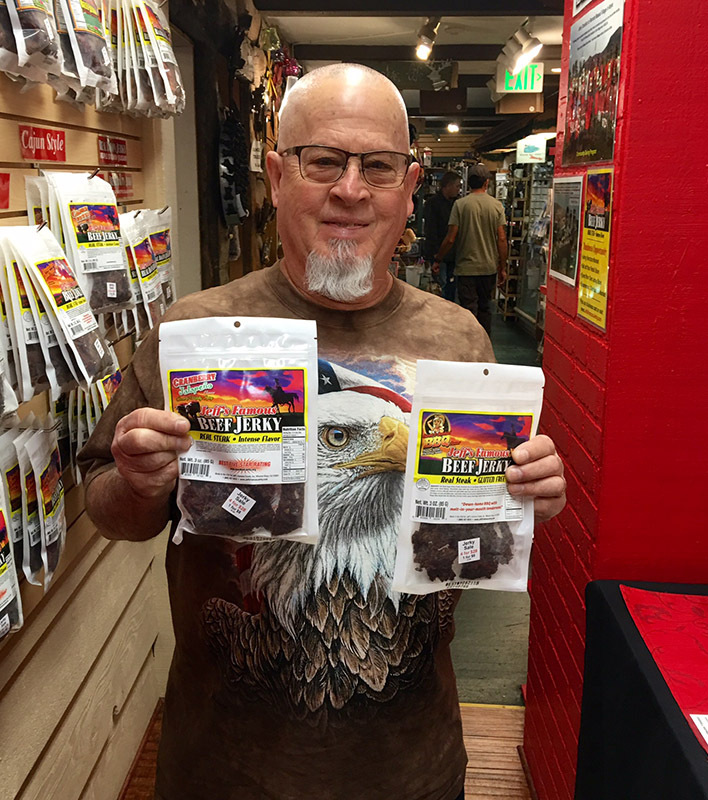 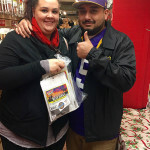 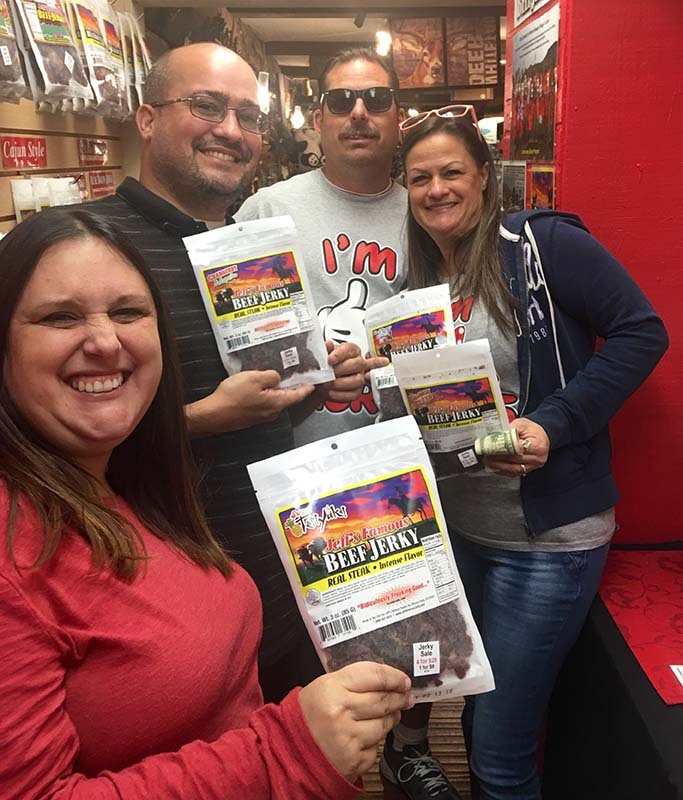 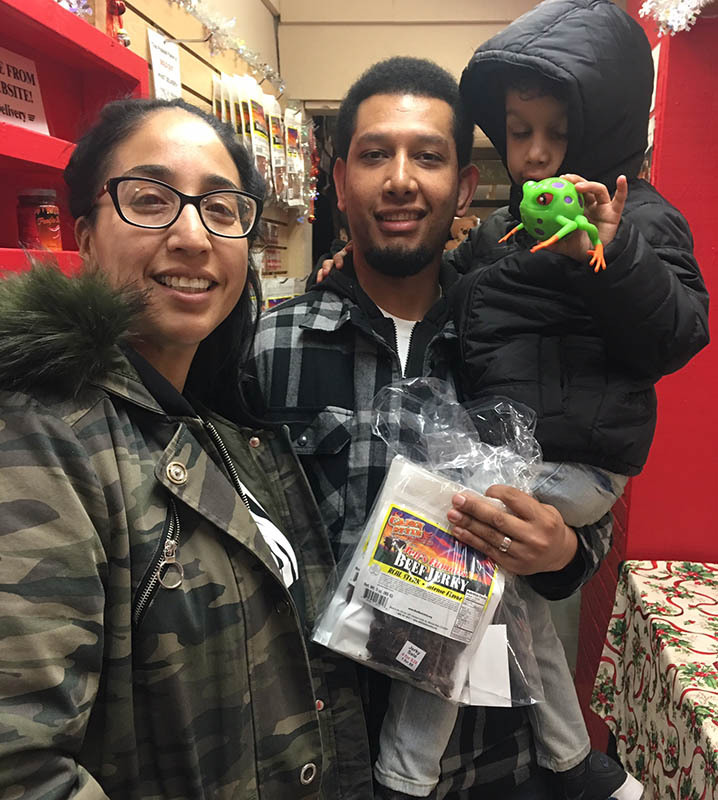 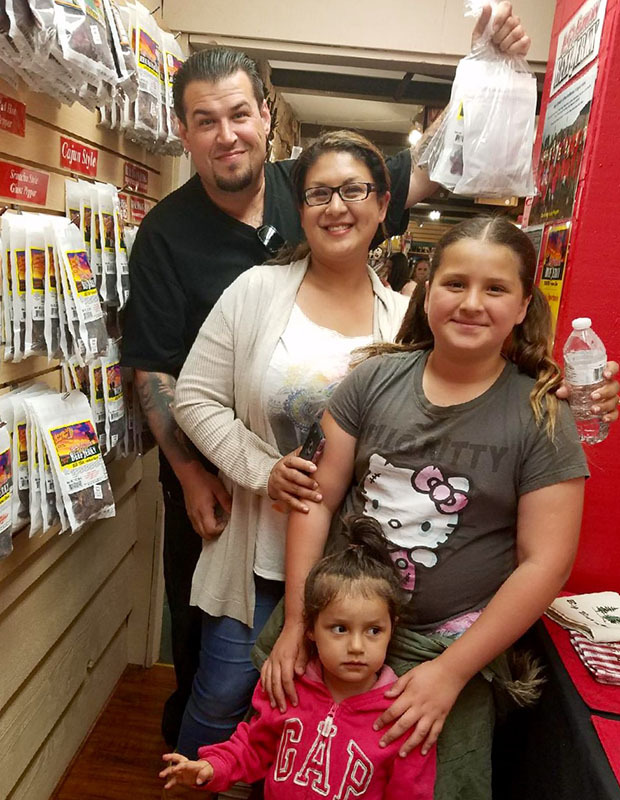 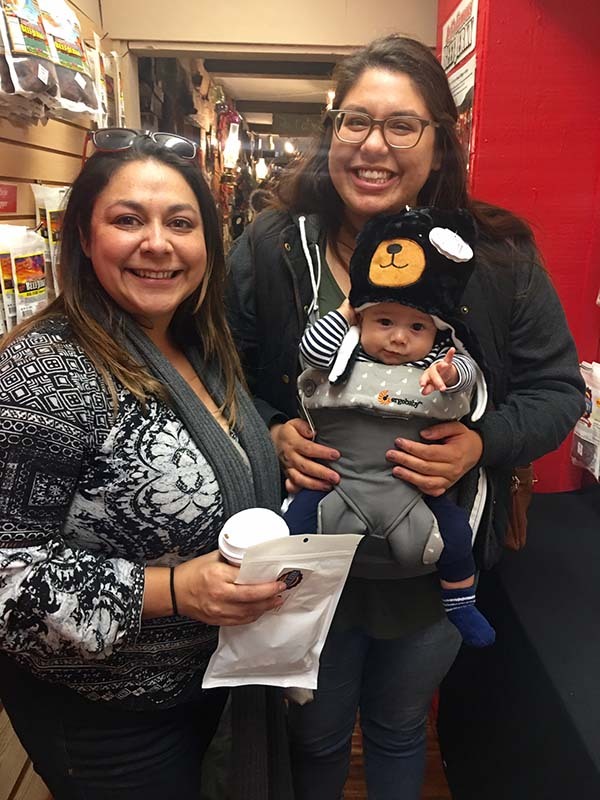 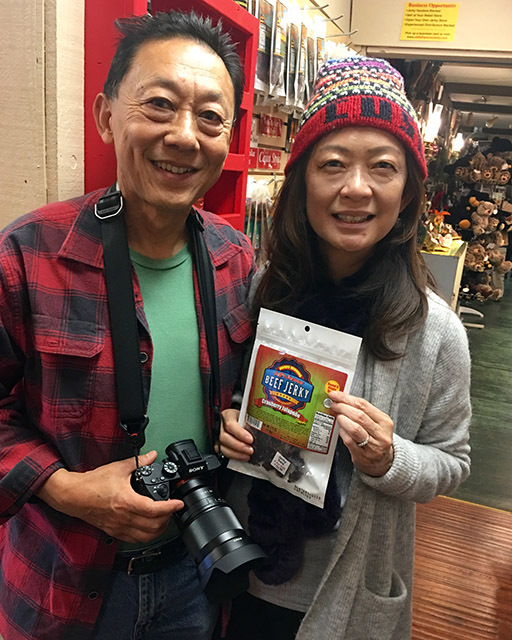 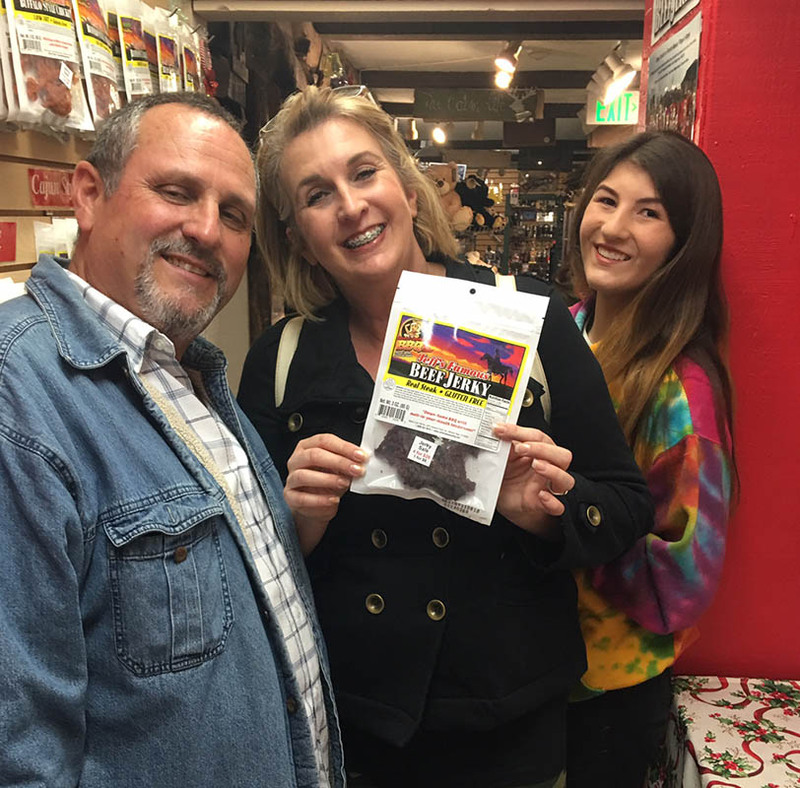 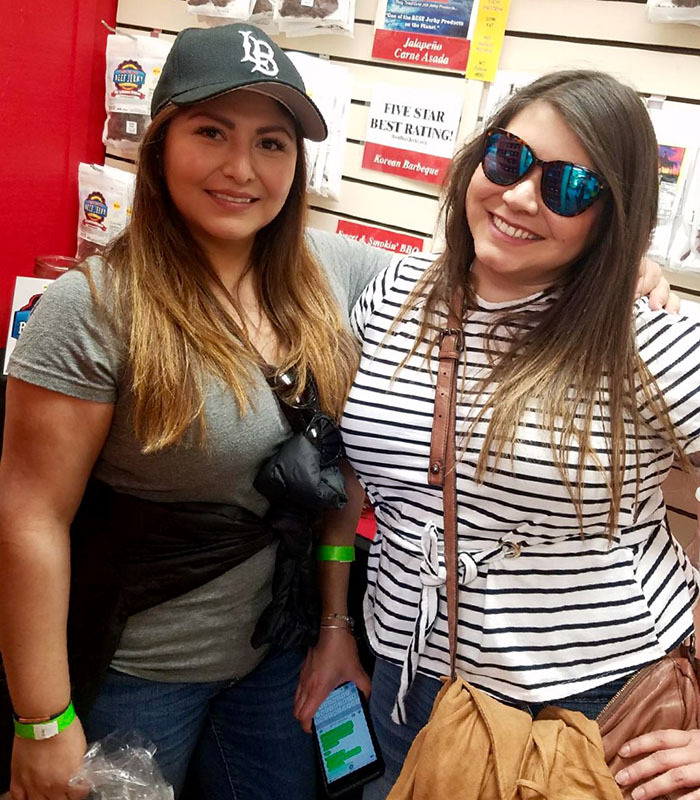 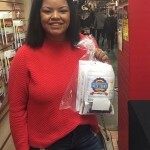 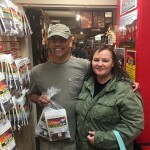 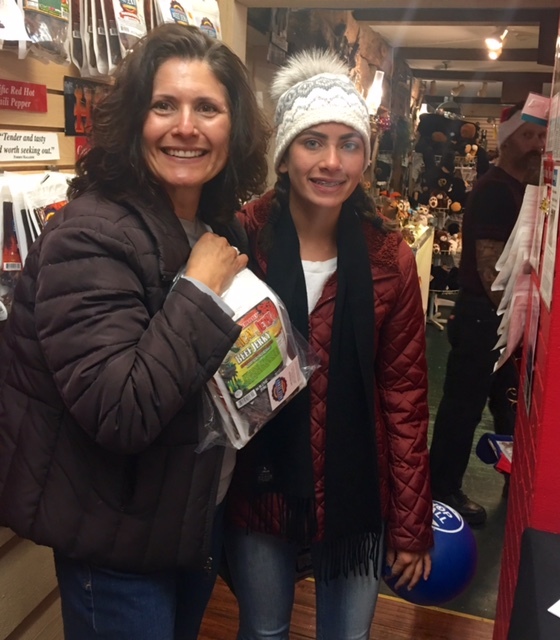 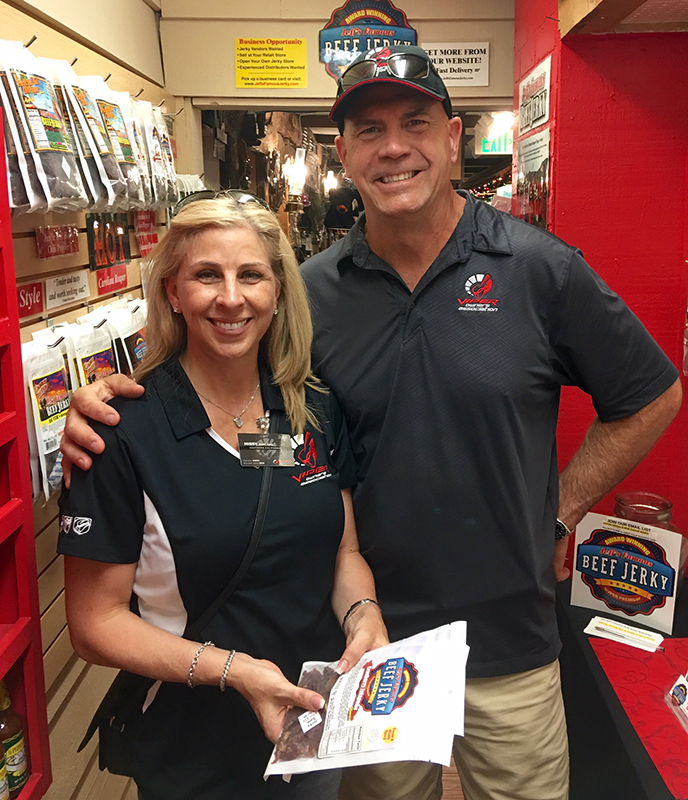 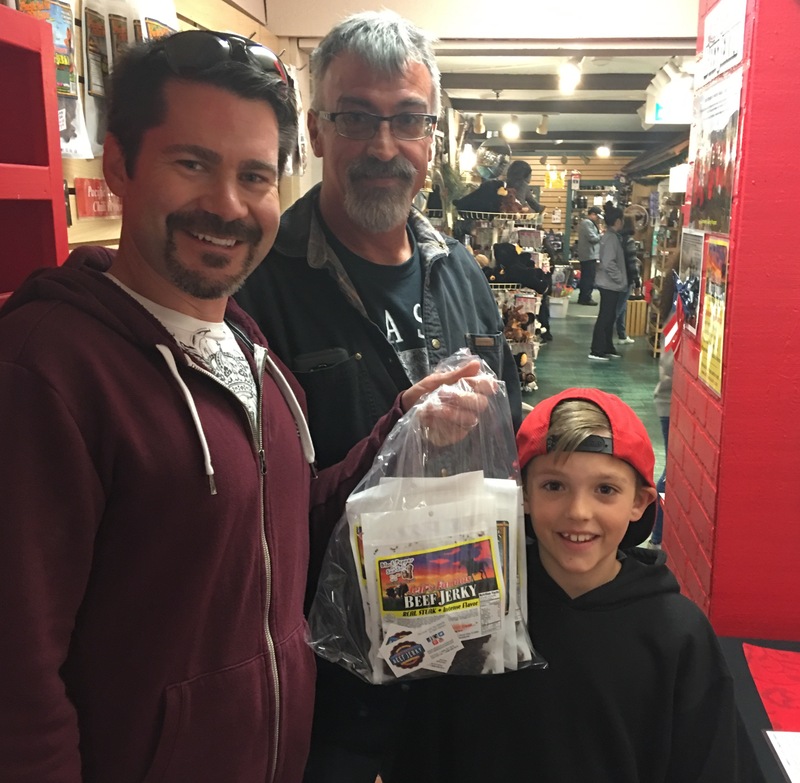 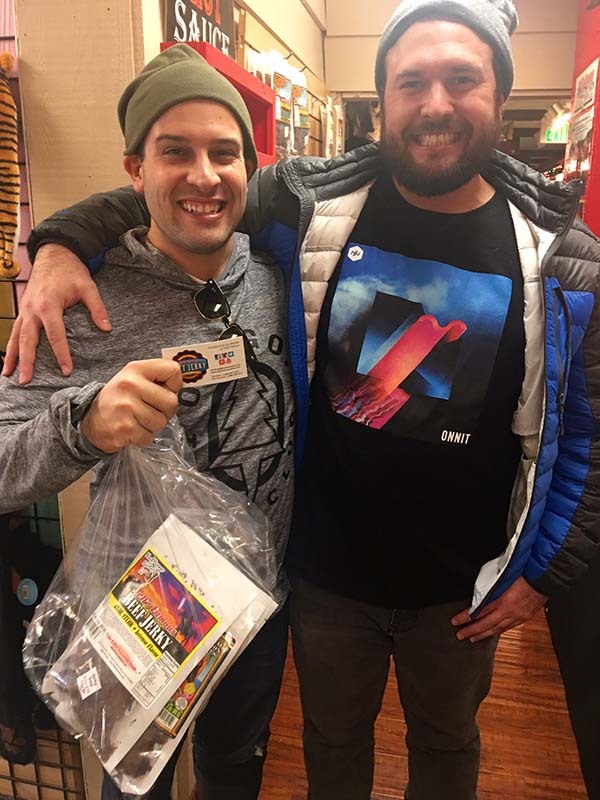 Happy customers at Jeff’s Famous Jerky in Big Bear Lake, California! 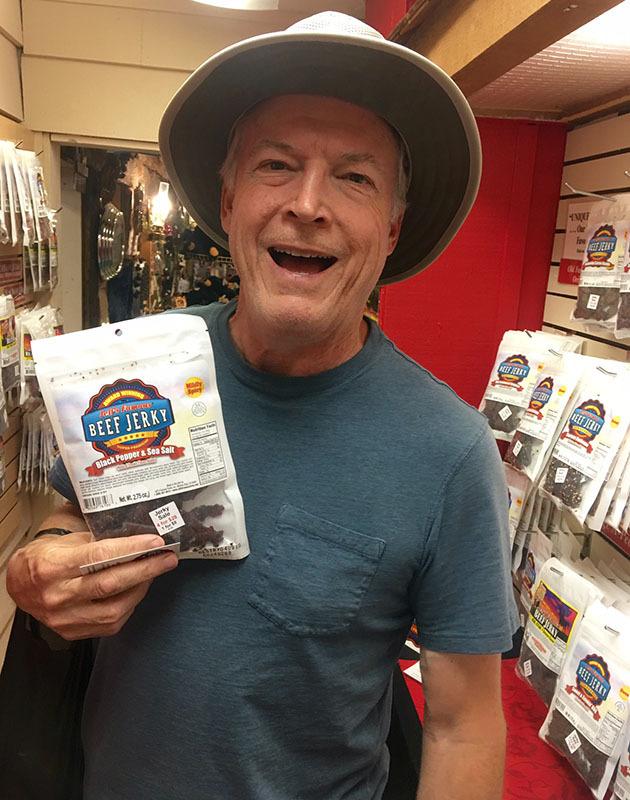 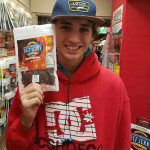 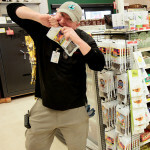 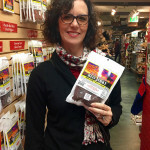 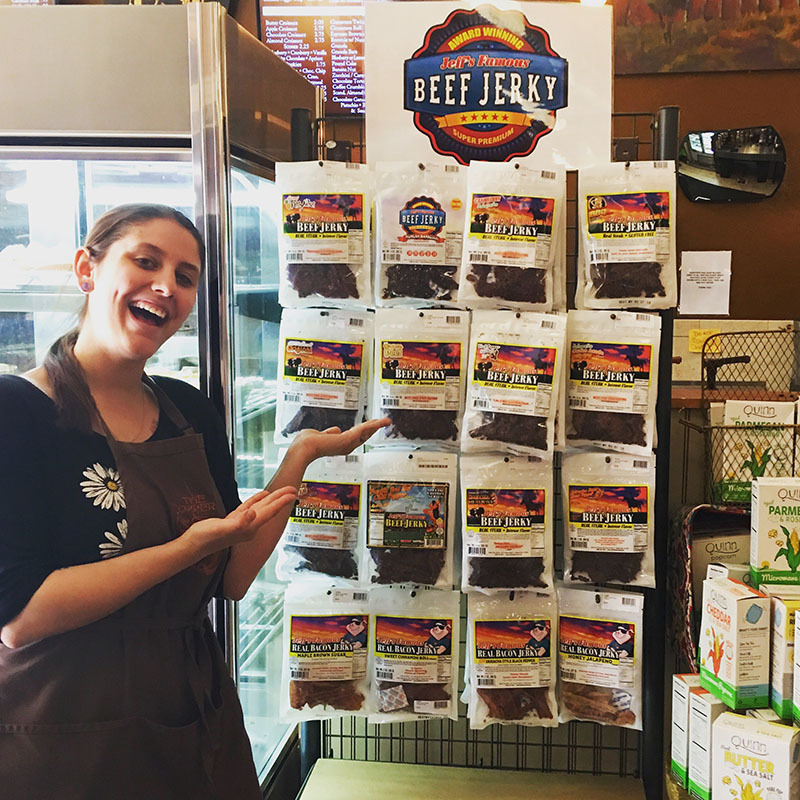 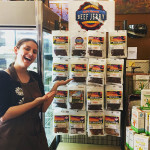 Jeff’s Famous Jerky makes us smile! 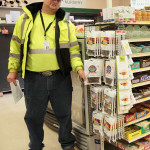 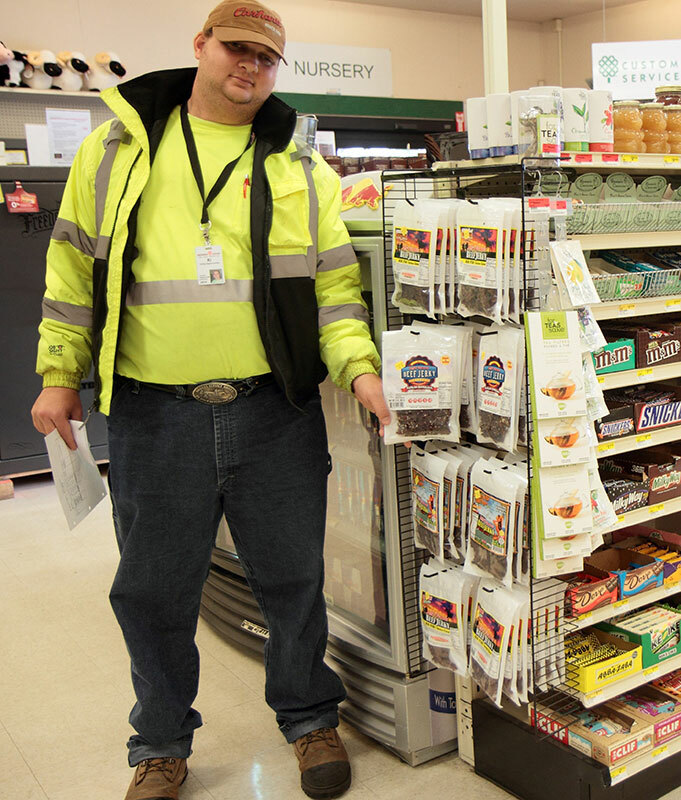 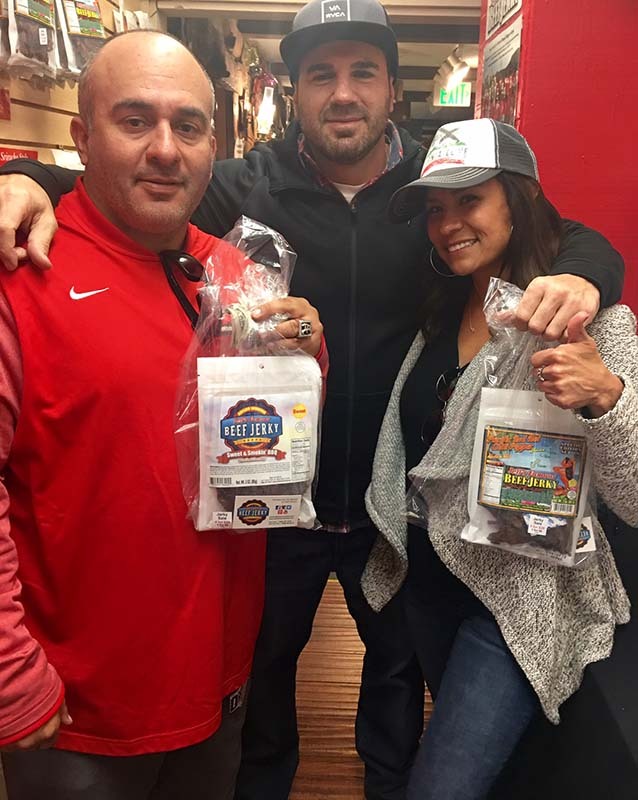 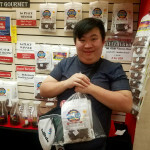 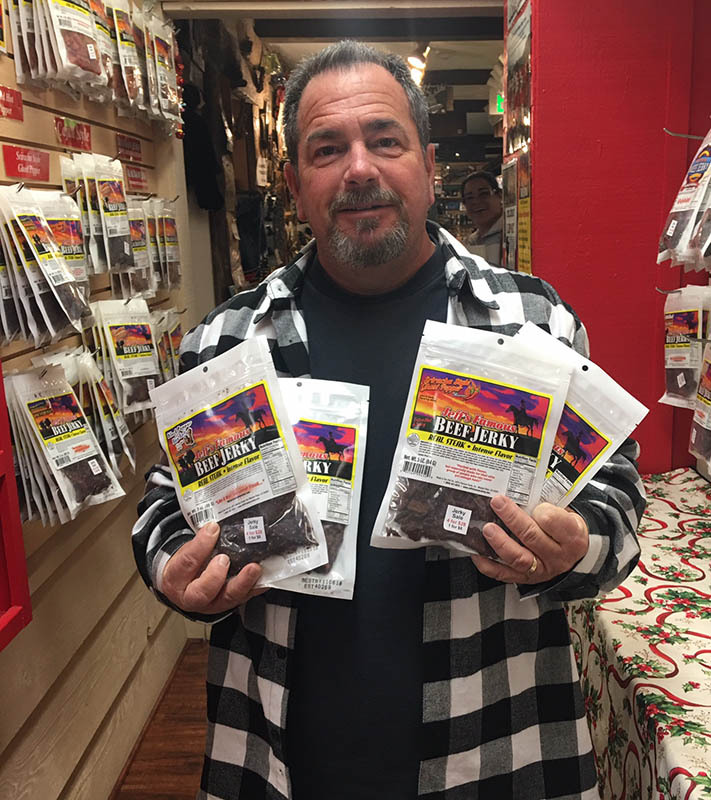 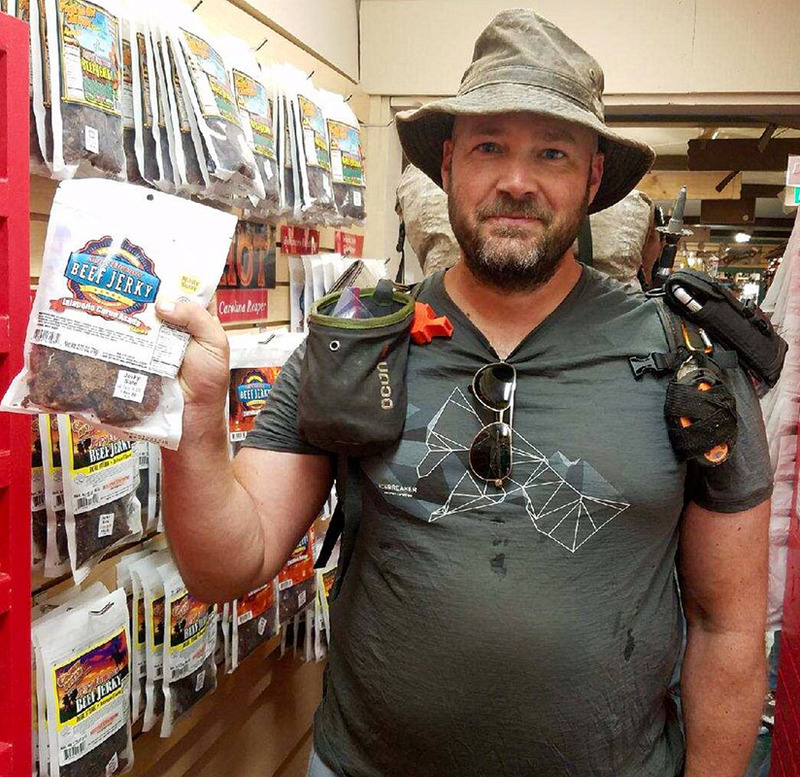 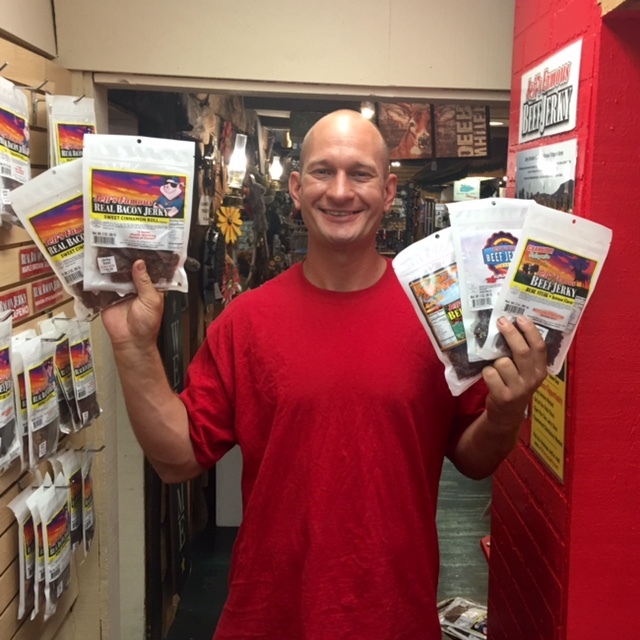 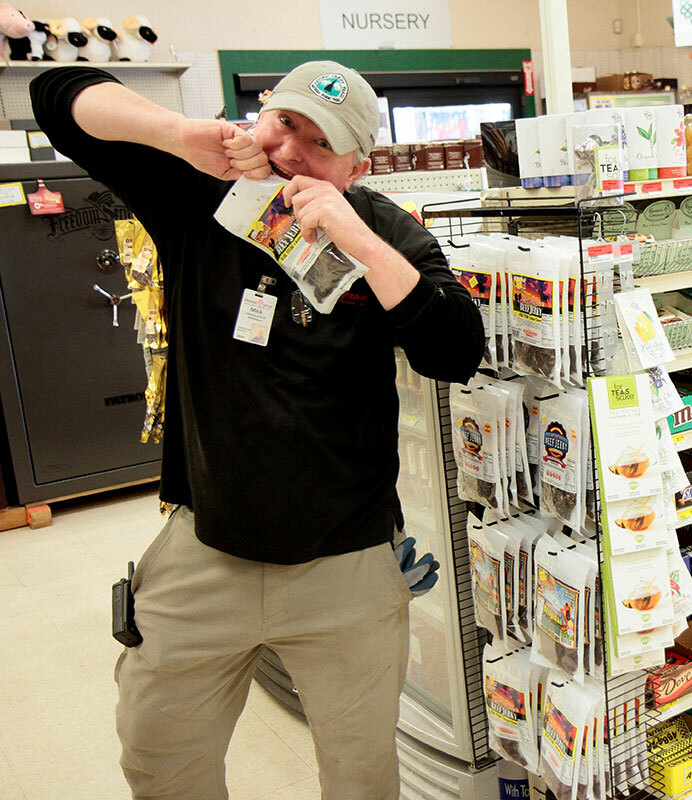 Three bags are better than one… loving Jeff’s Famous Jerky! 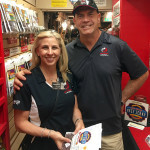 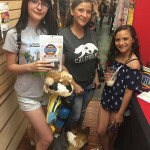 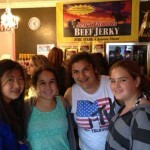 Good times at Jeff’s Famous Jerky in Big Bear Lake! 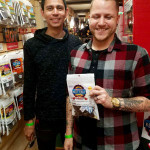 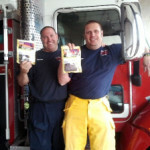 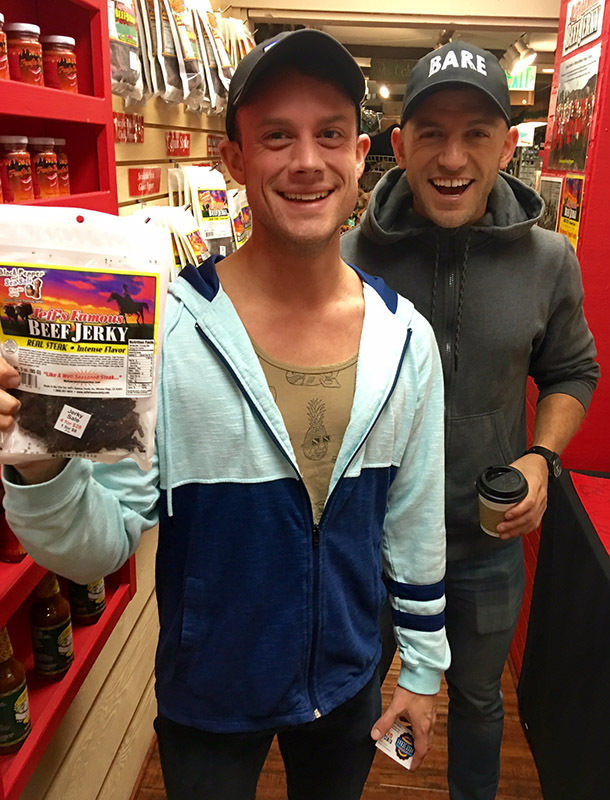 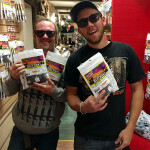 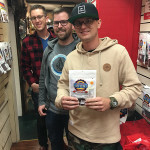 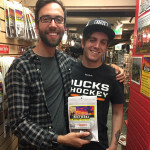 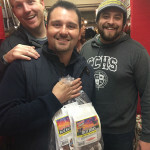 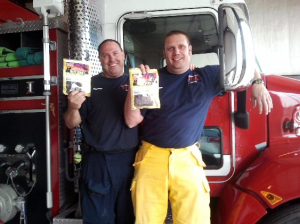 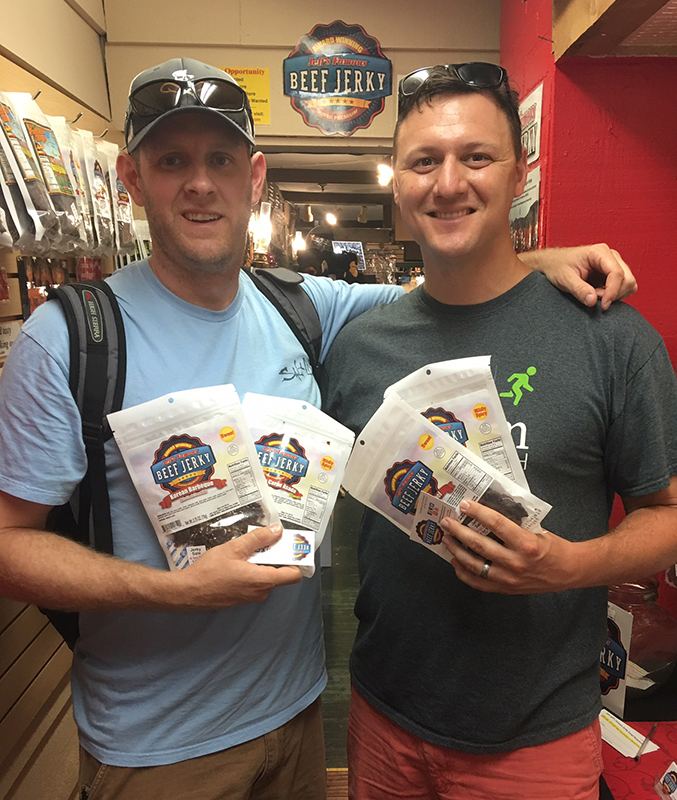 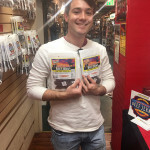 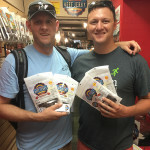 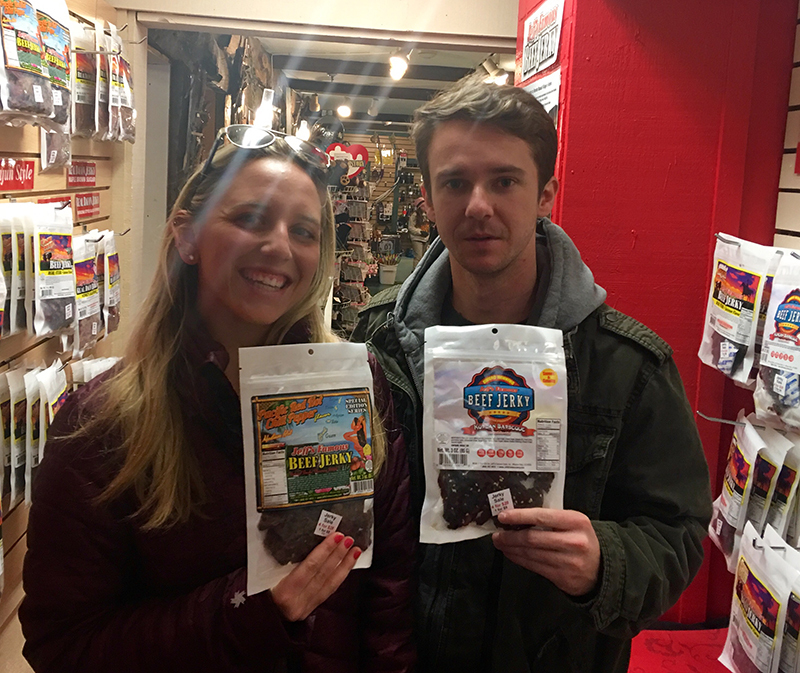 Tom Jara and Jordan Drake can’t get enough Jeff’s Famous Jerky! 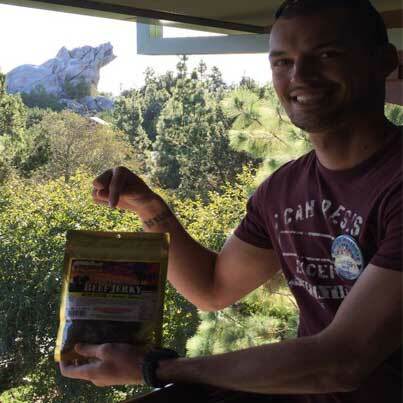 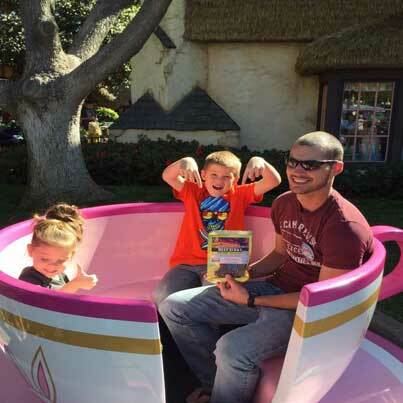 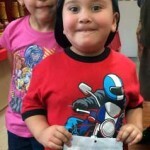 Marine …Jordan Drake gets some well deserved time off at Disneyland with his kids. 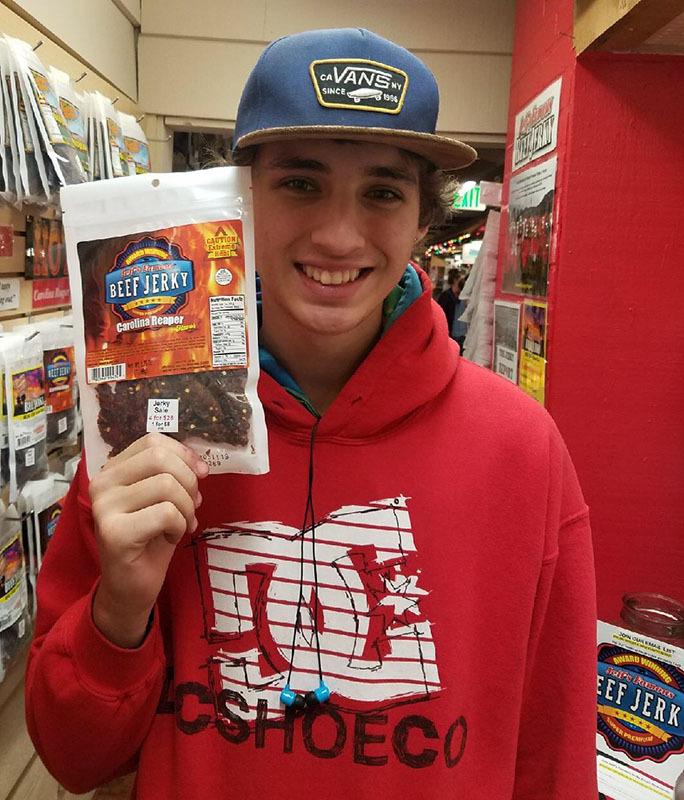 Go Jordan! 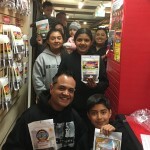 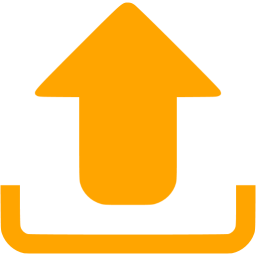 Go Kids! 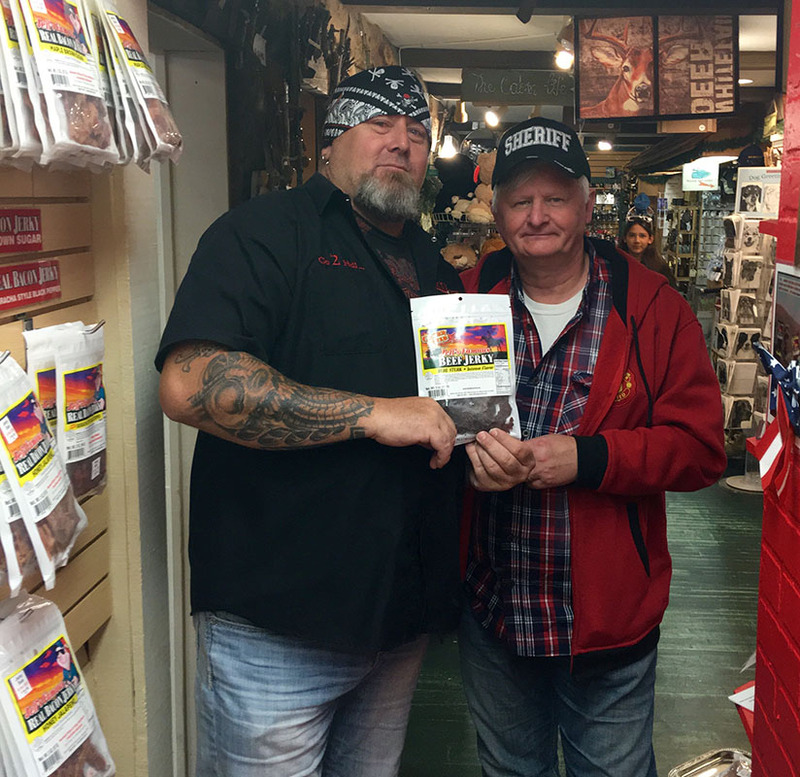 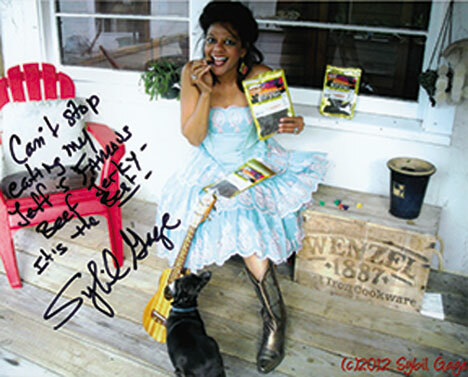 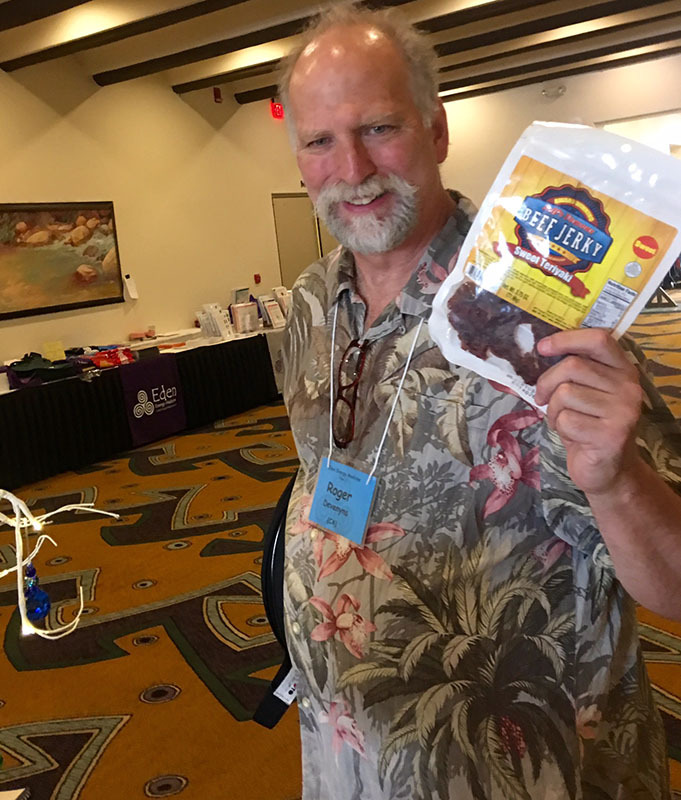 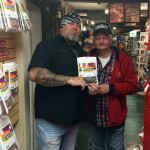 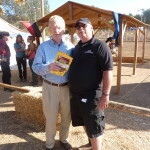 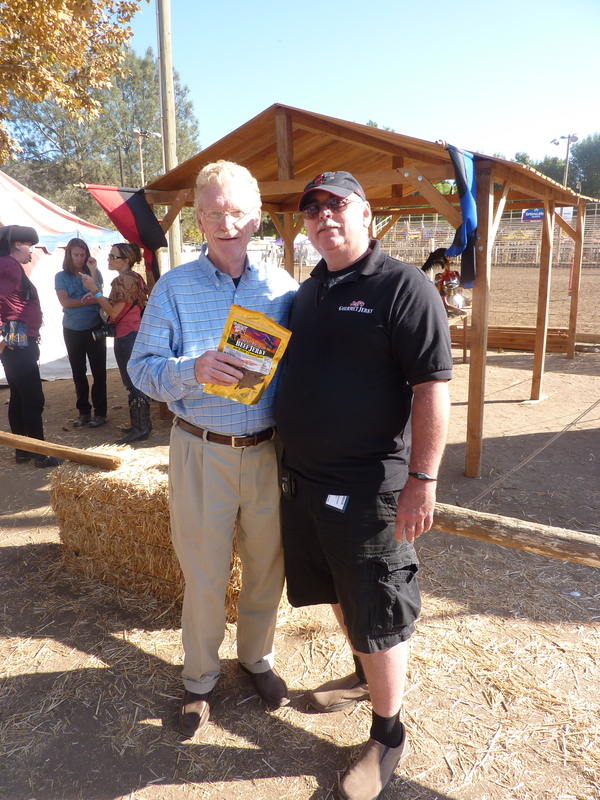 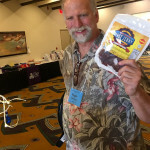 William “Bill” Geist a famous American author, columnist, and television journalist was caught with our Jerky! 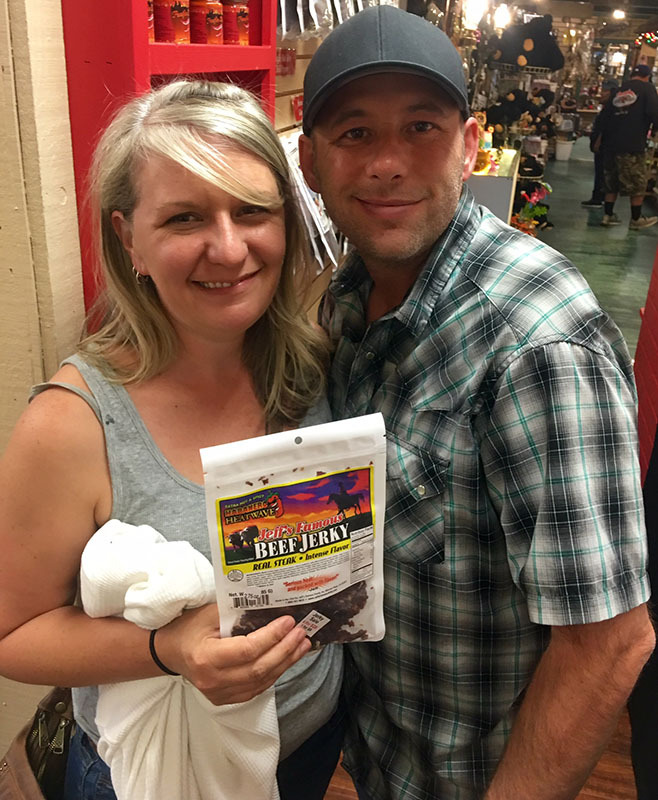 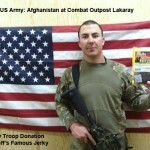 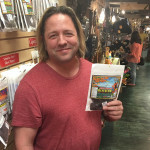 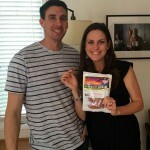 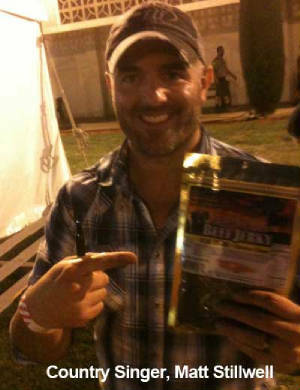 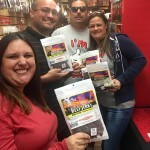 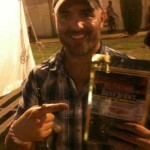 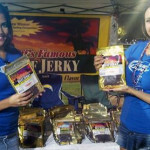 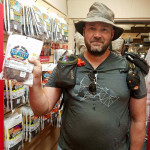 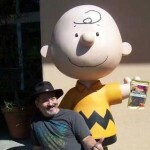 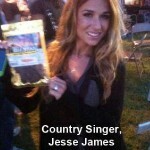 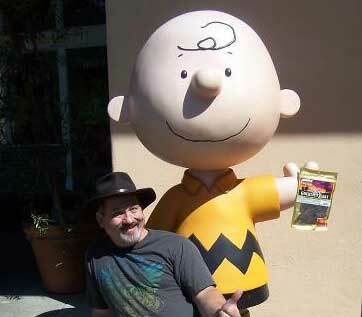 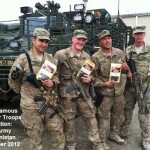 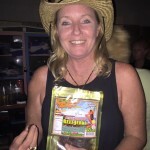 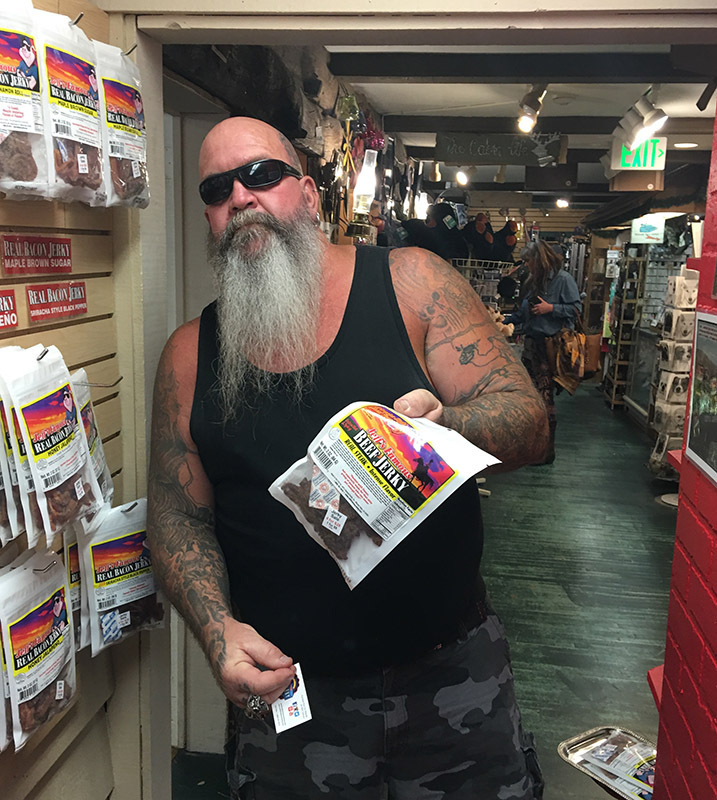 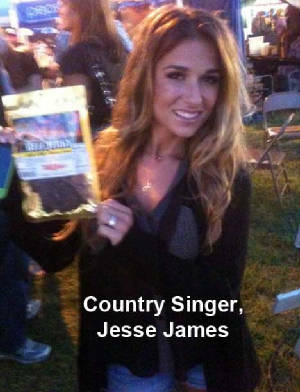 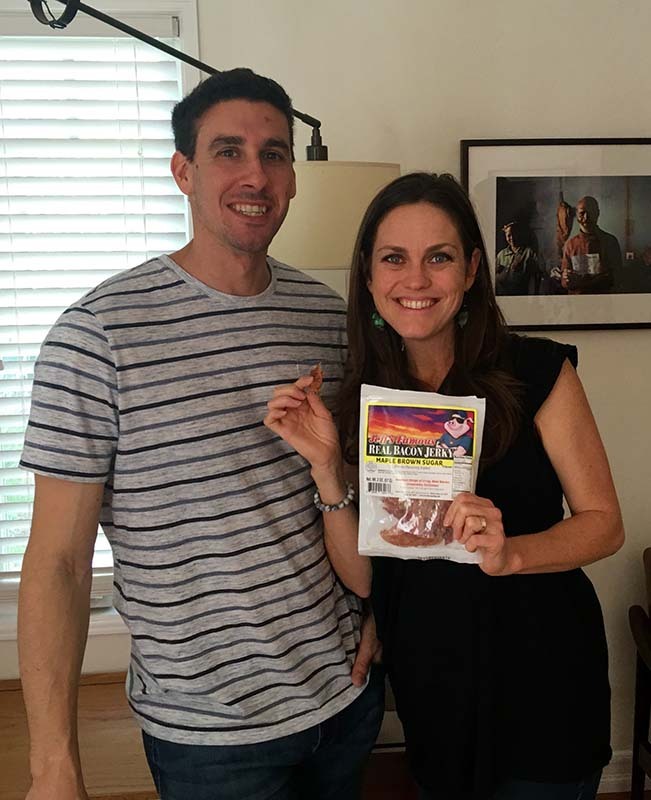 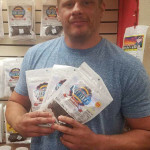 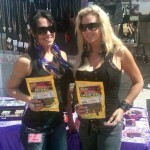 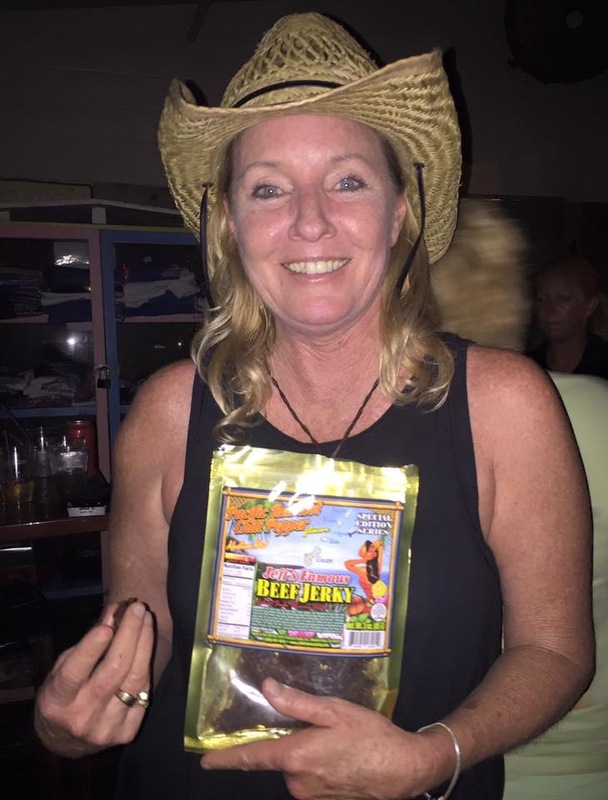 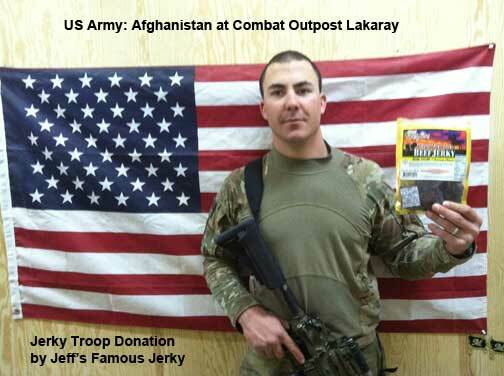 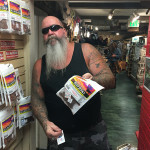 Favorite gourmet jerky… Jeff’s Famous Jerky! 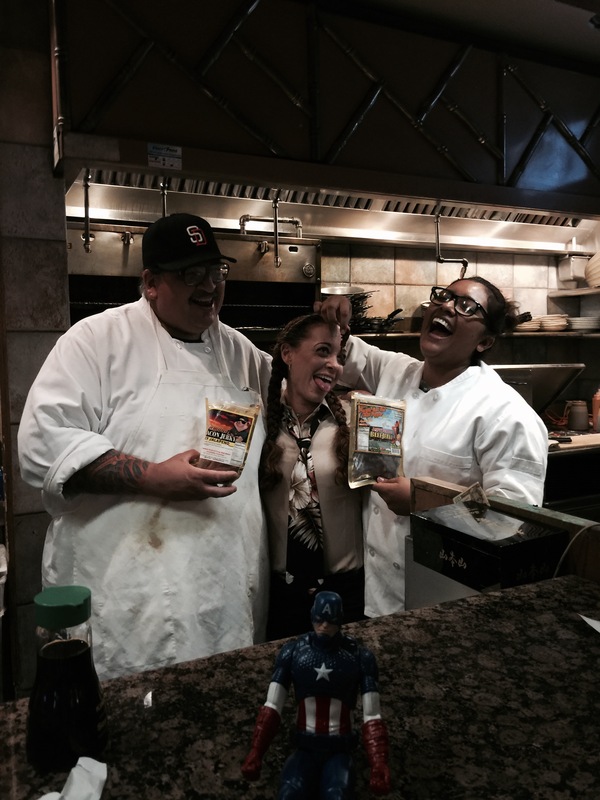 George and staff from the Sushi Bar in the Crown Plaza Hotel in Hotel Circle… San Diego, California.